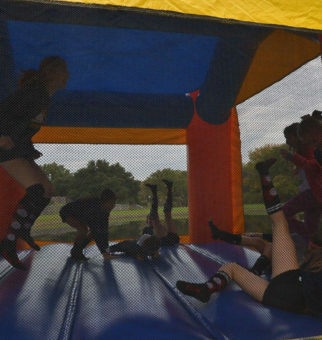 Browse our archive of Stupid Strong events, click below to view info and photo galleries. 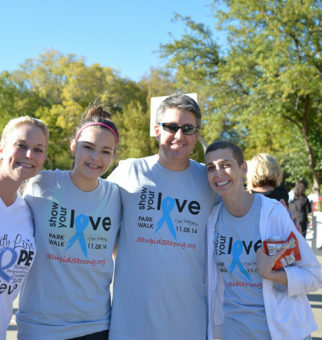 Grantmaking is a critical component of our mission to support gastric cancer research and encourage innovation in patient care. 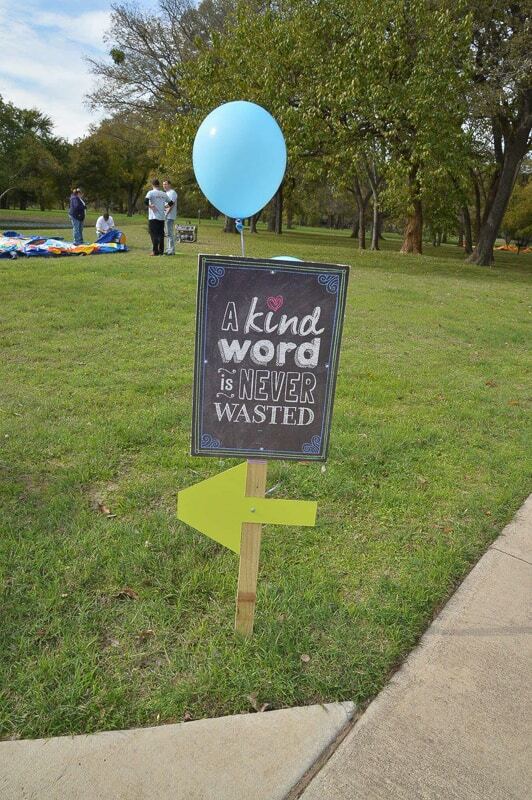 Stay tuned for more details. 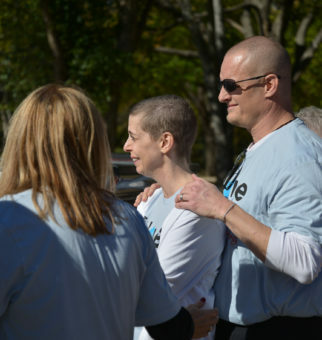 Grantmaking is a critical component of our mission to support gastric cancer research and encourage innovation in patient care. 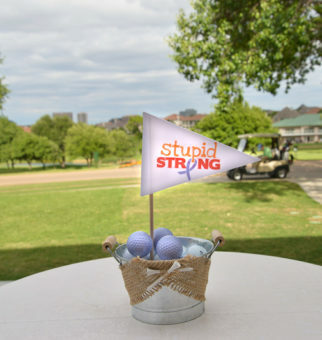 Stupid Strong proudly welcomes you to share in the success of our 2018 Charity Golf Classic! 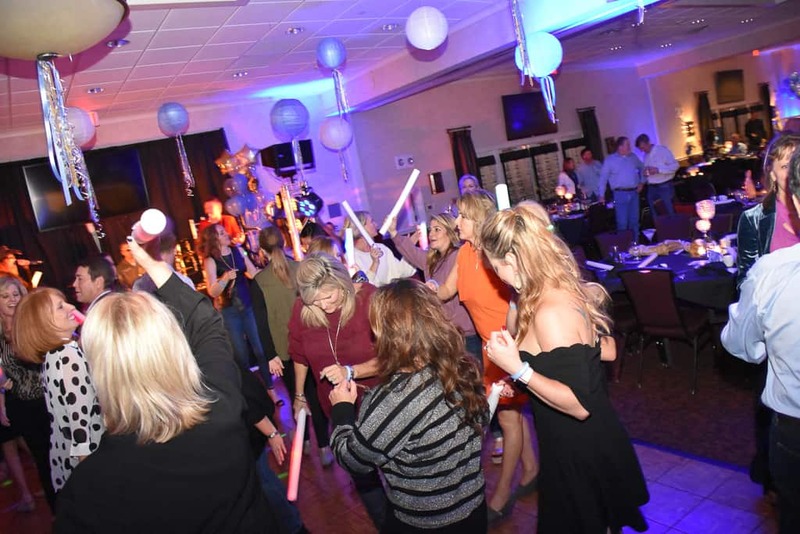 We are so thankful for everyone who joined and look forward to an even better event in 2019. 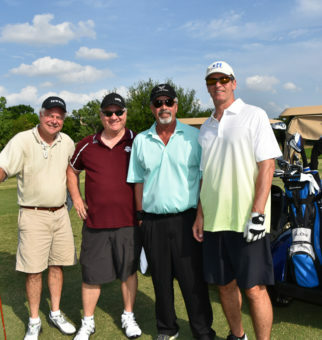 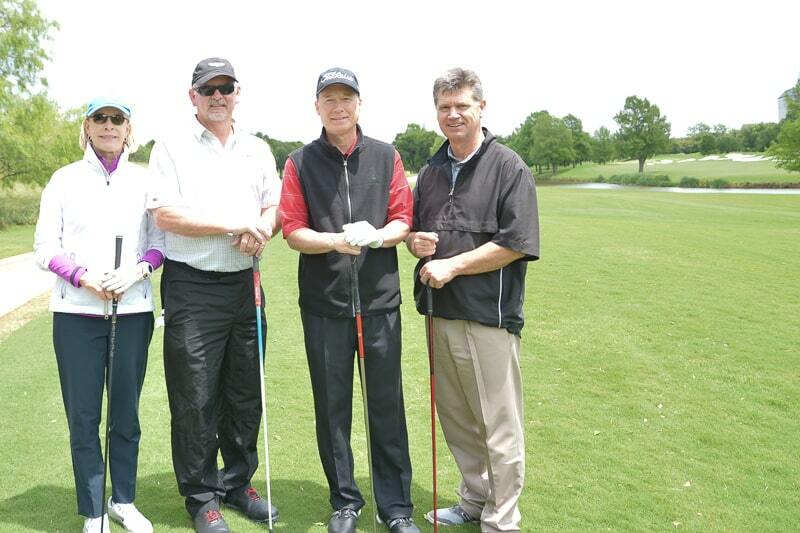 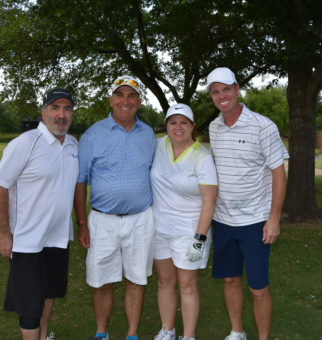 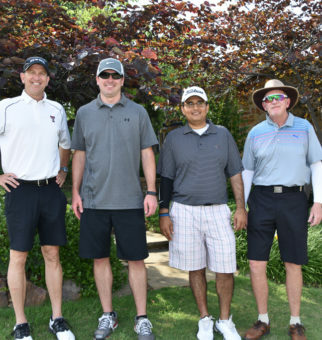 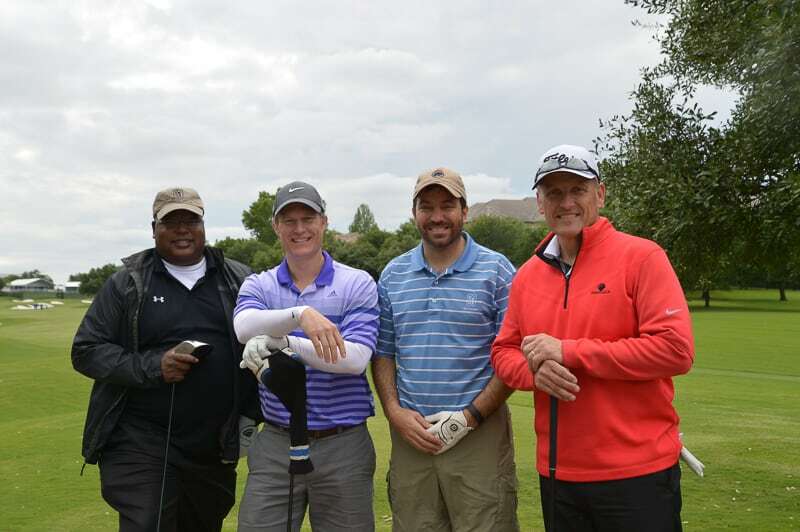 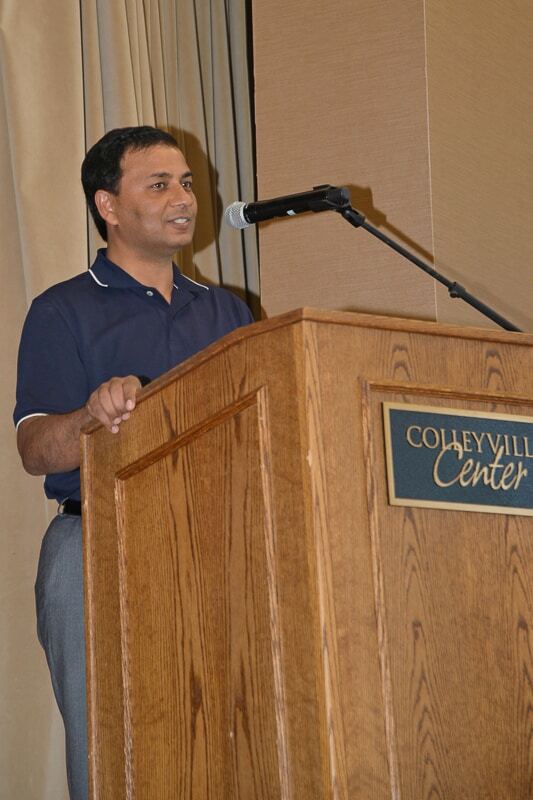 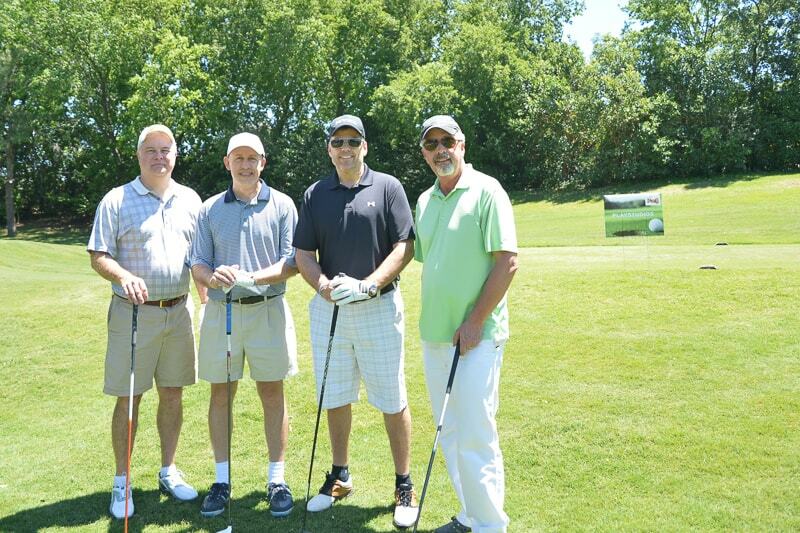 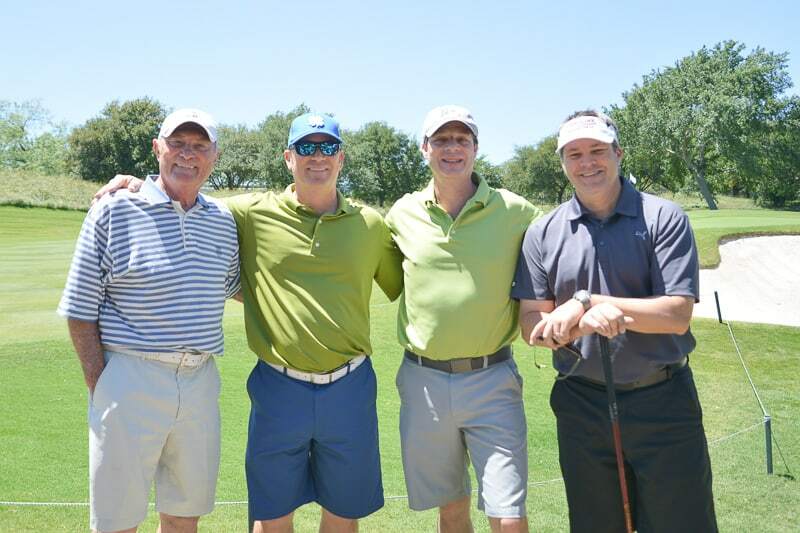 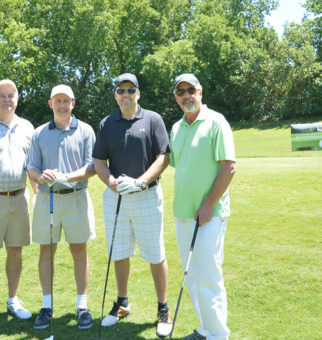 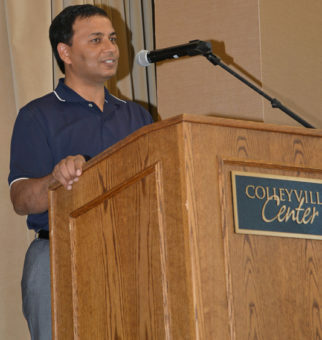 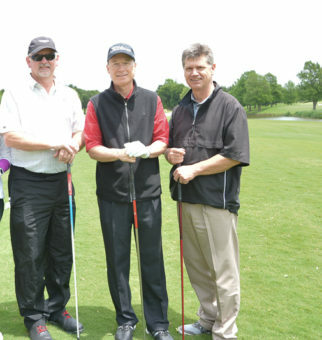 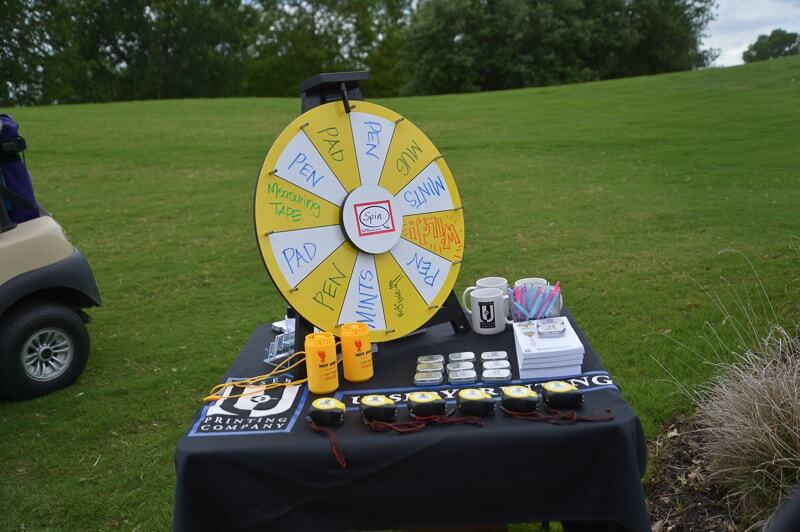 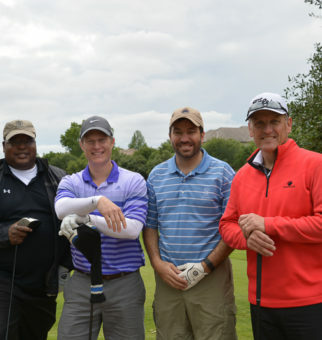 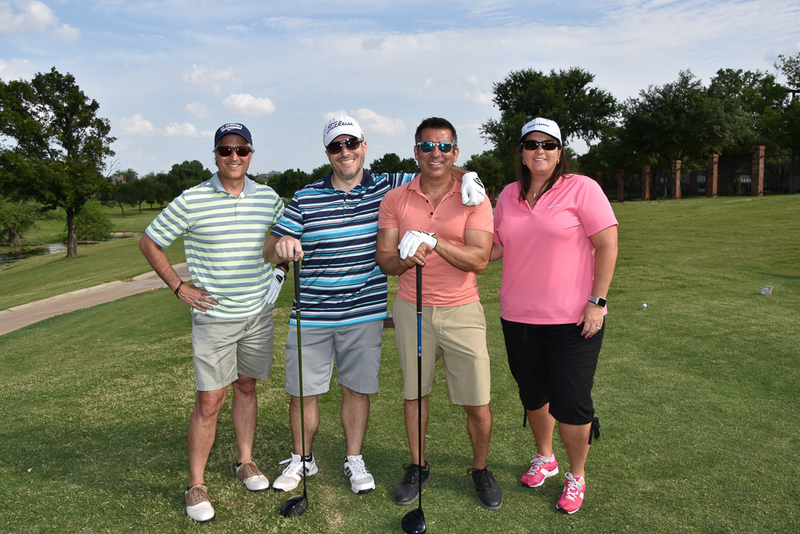 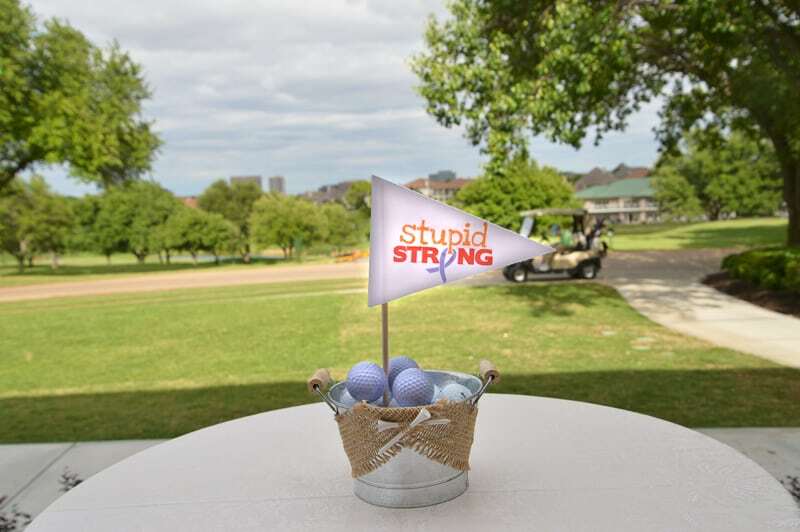 Stupid Strong hosted the 3rd Annual Charity Golf Event at a new venue Hackberry Creek Country Club in Irving. 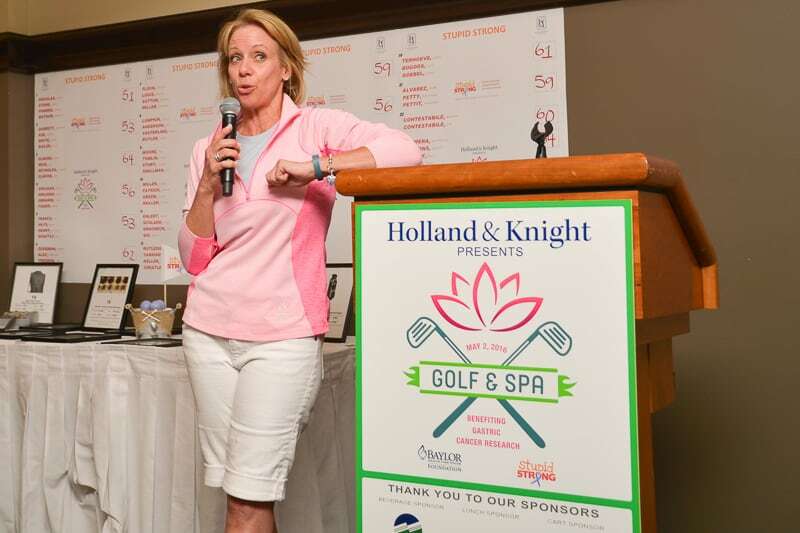 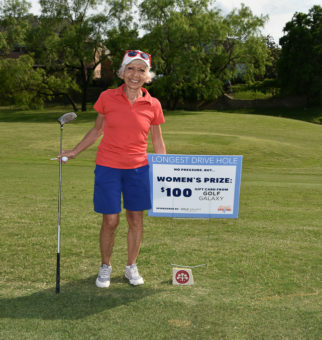 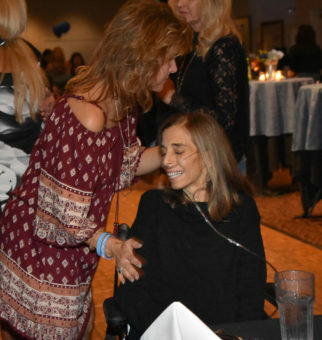 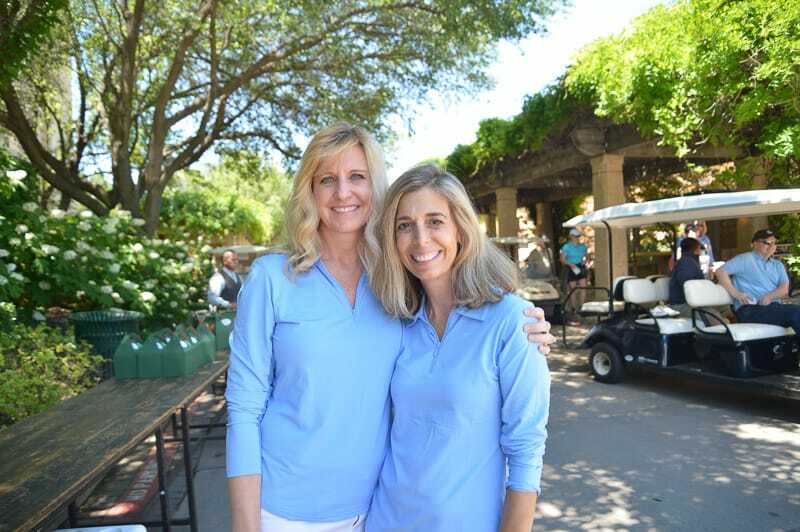 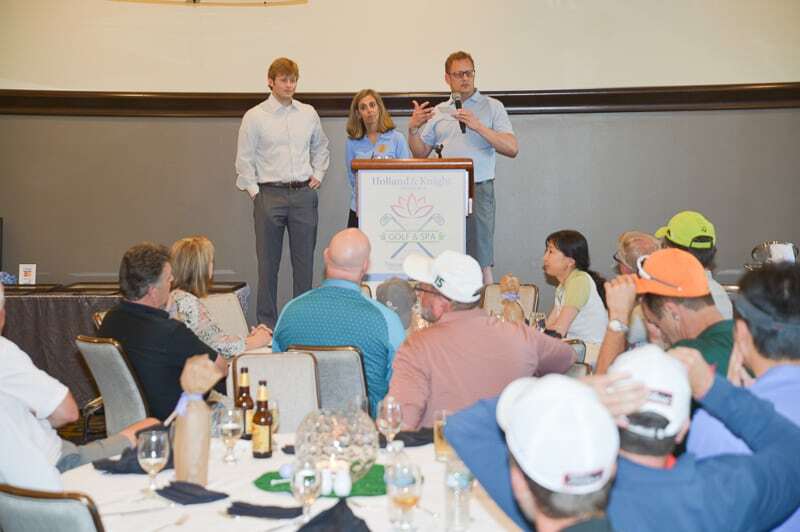 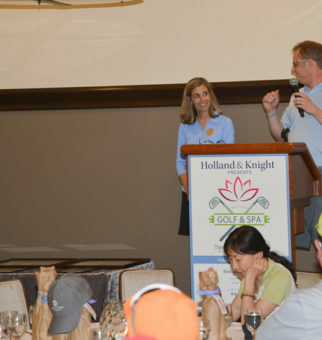 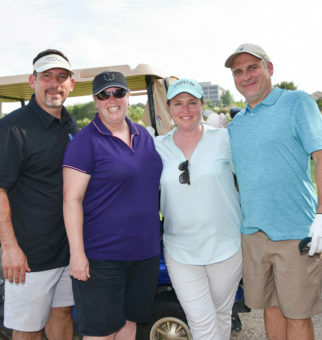 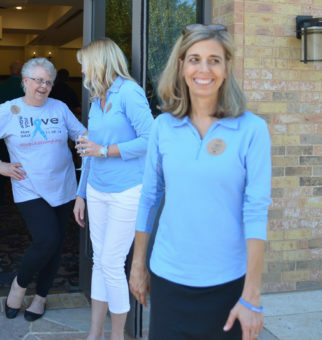 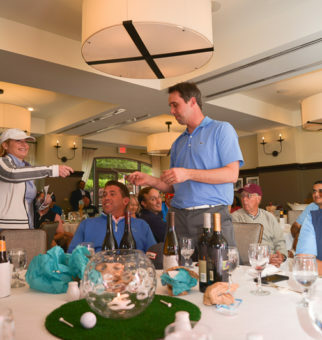 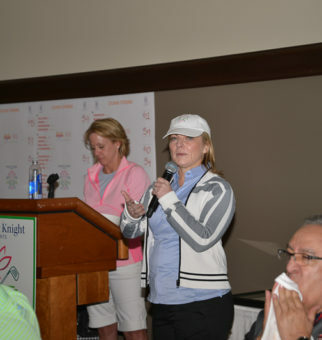 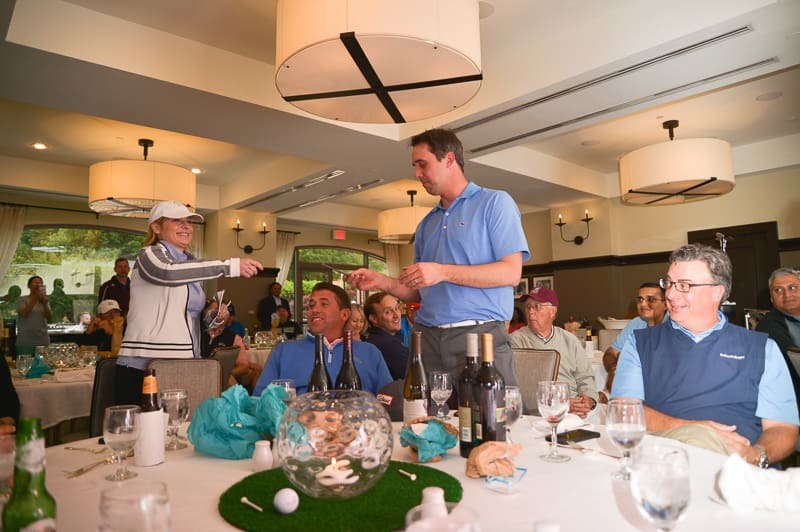 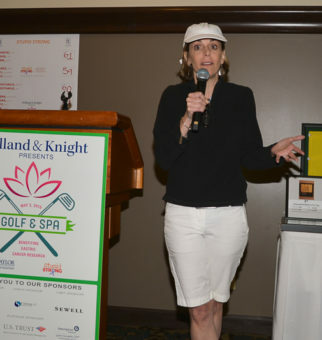 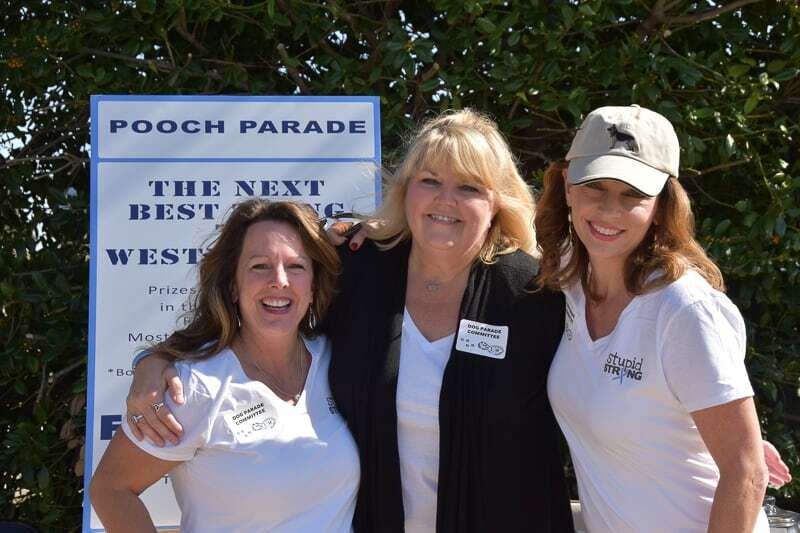 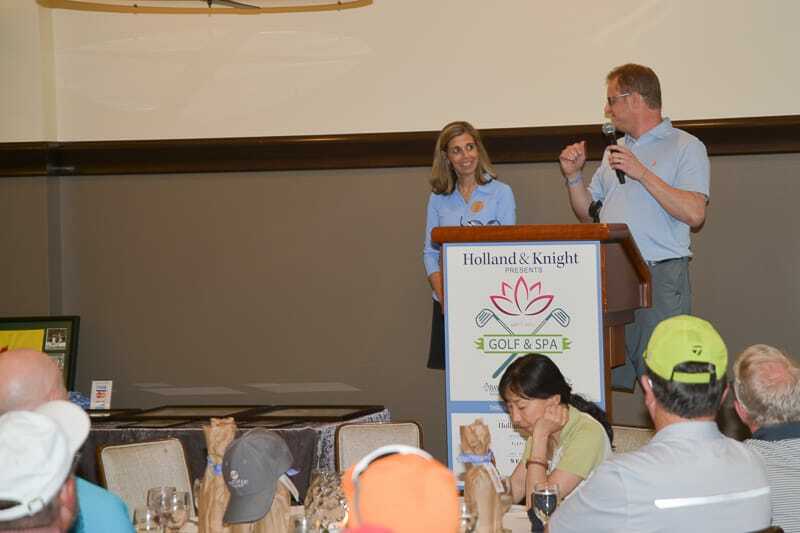 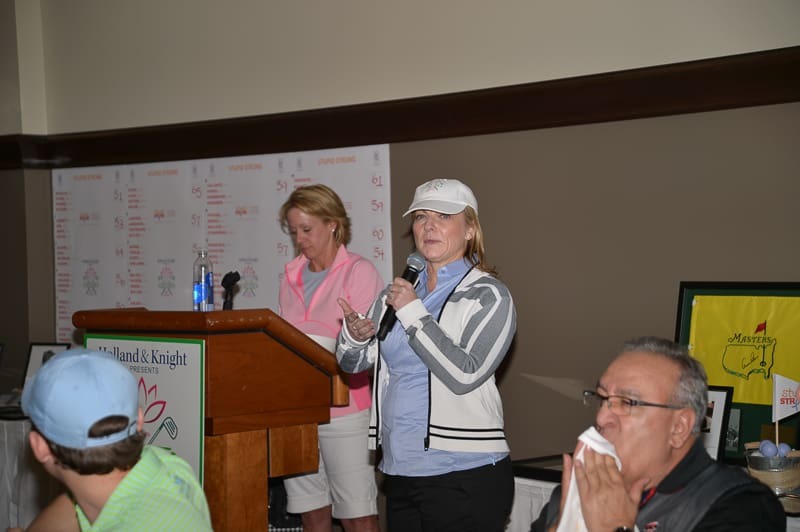 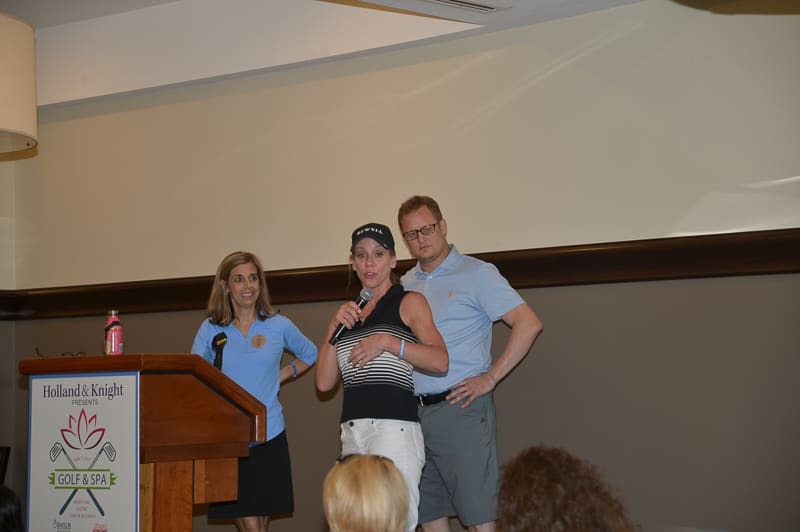 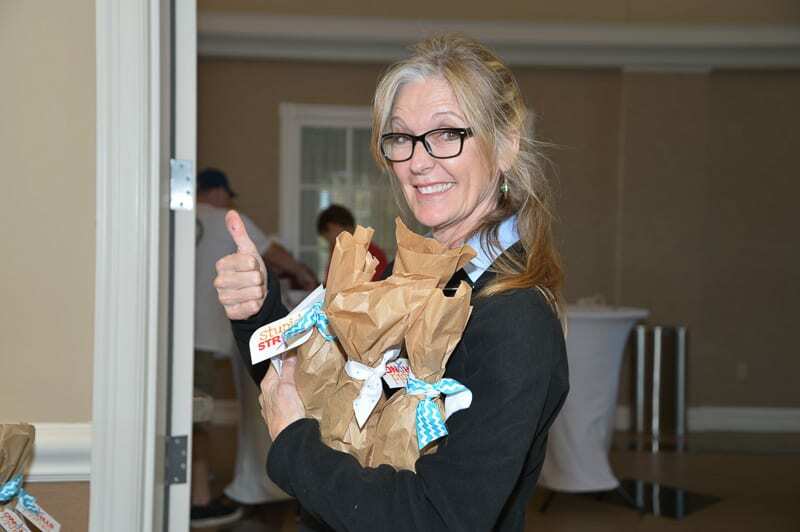 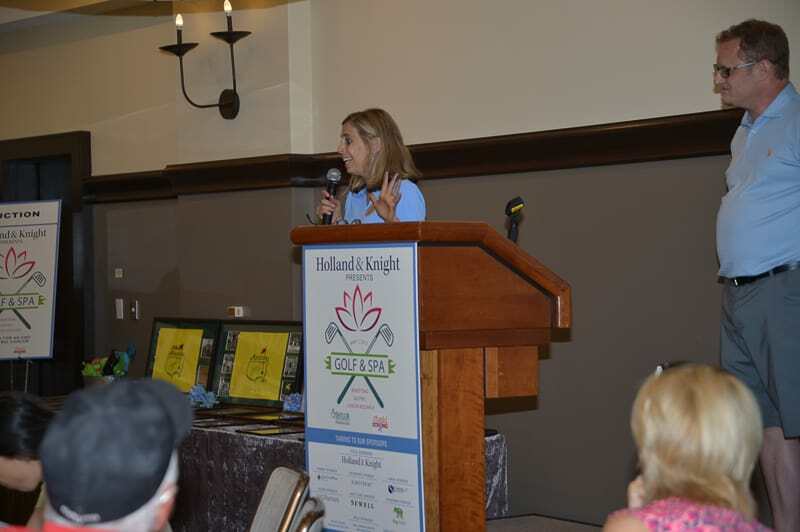 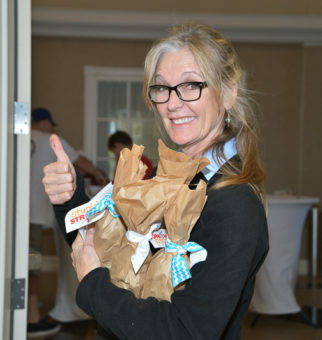 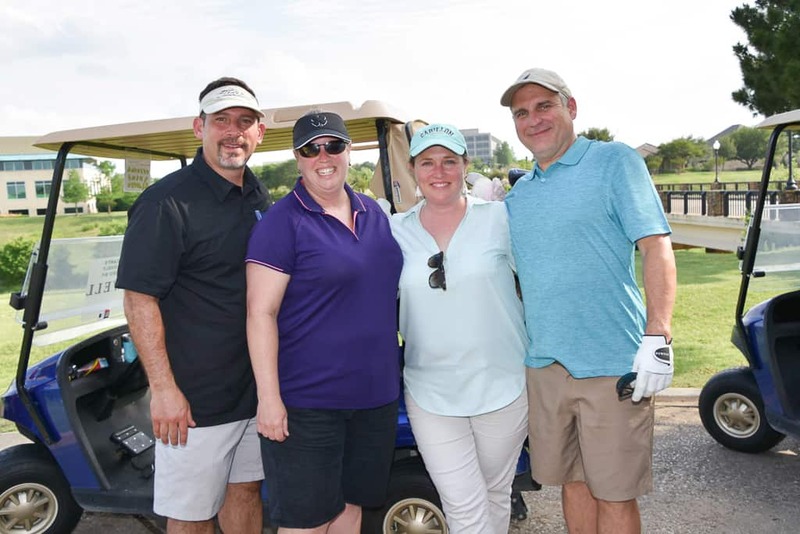 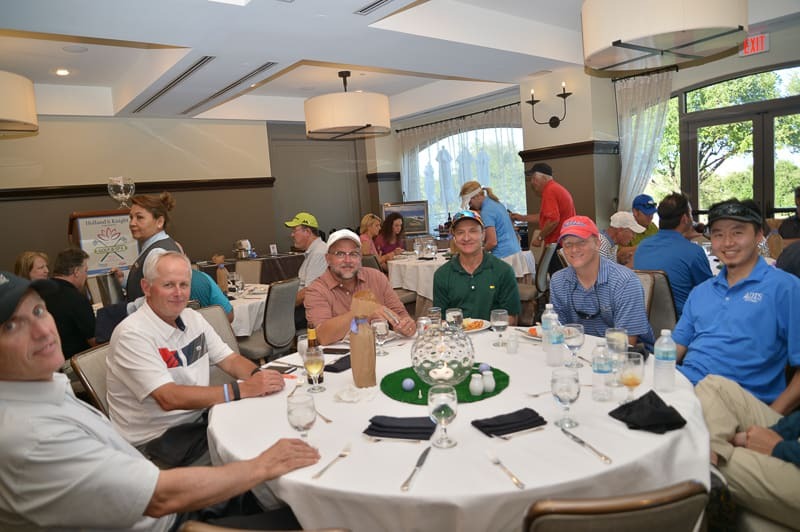 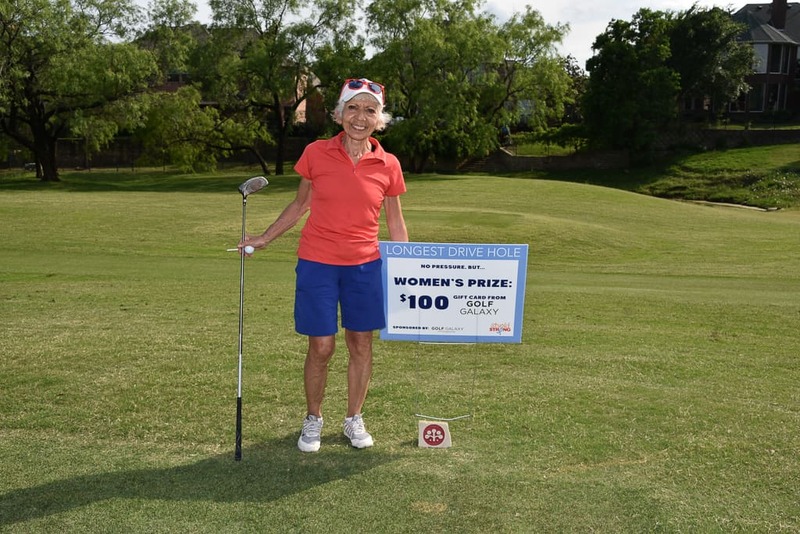 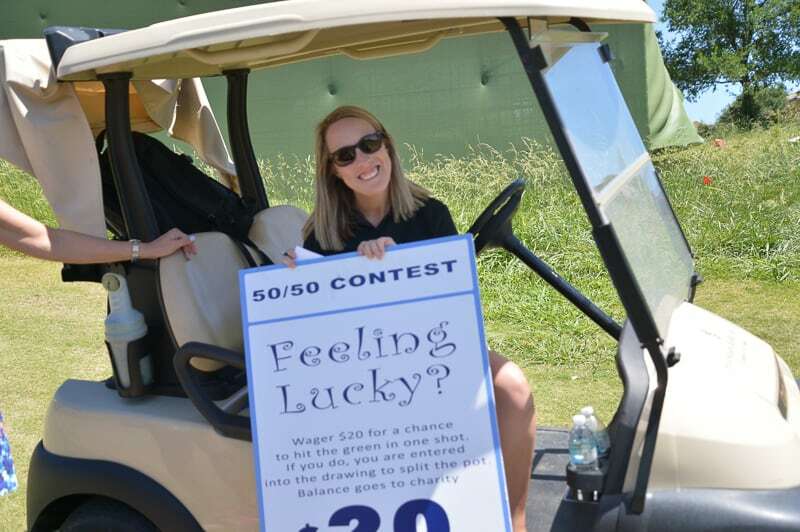 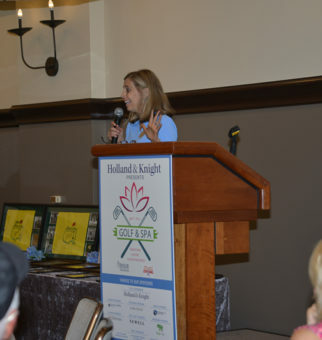 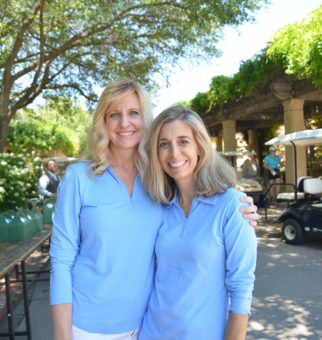 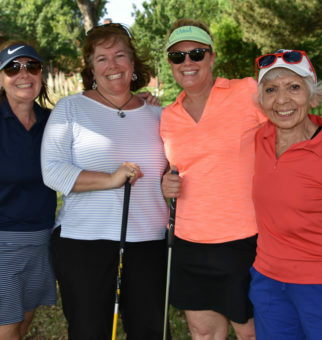 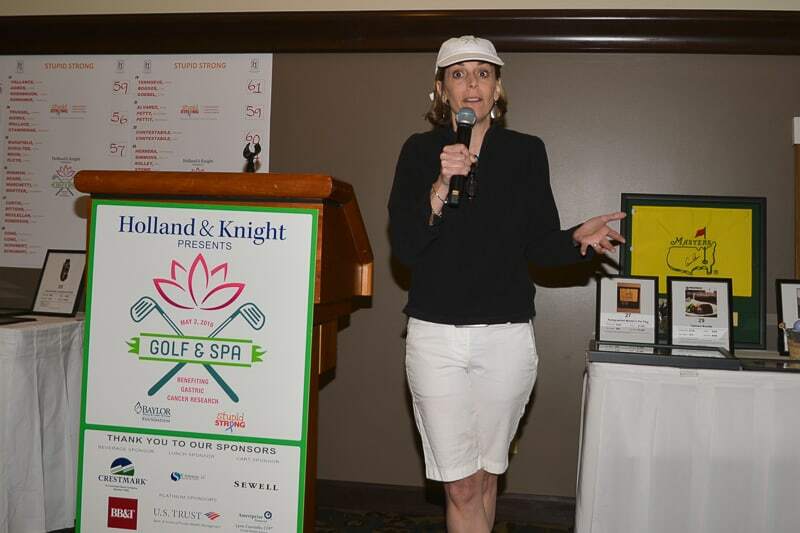 The golf day was themed as the Founder’s Tribute Event, honoring our Founder and Hero Candace Netzer was passed away the previous year. 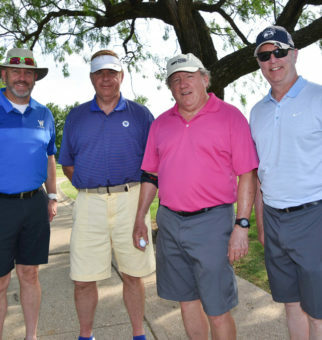 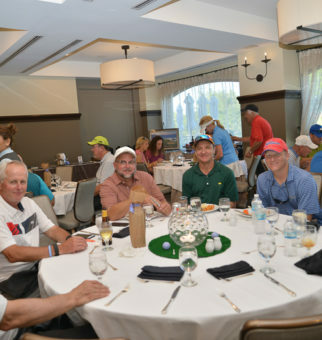 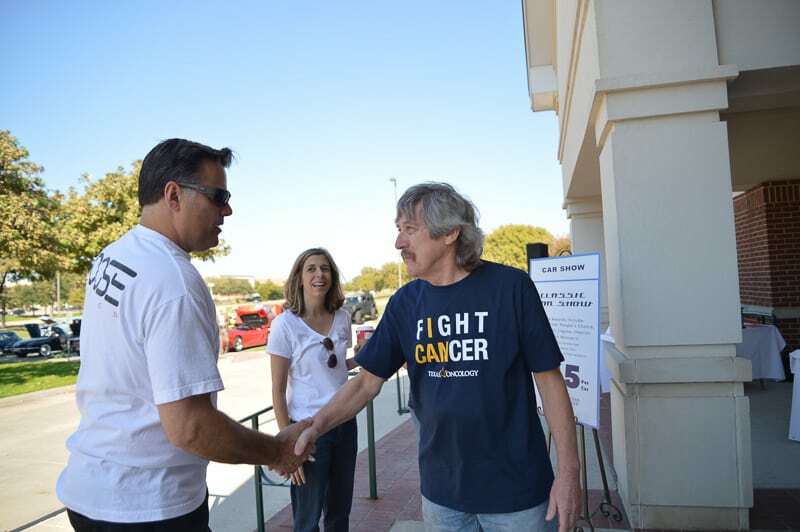 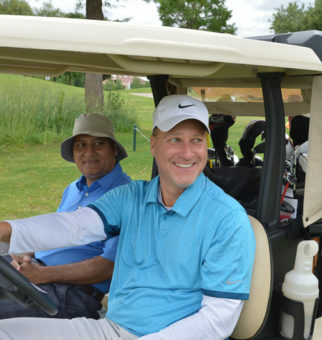 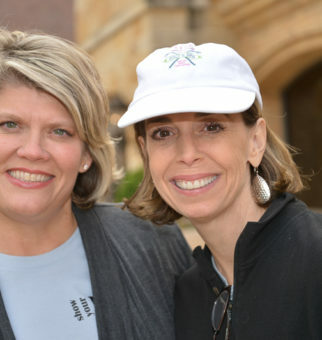 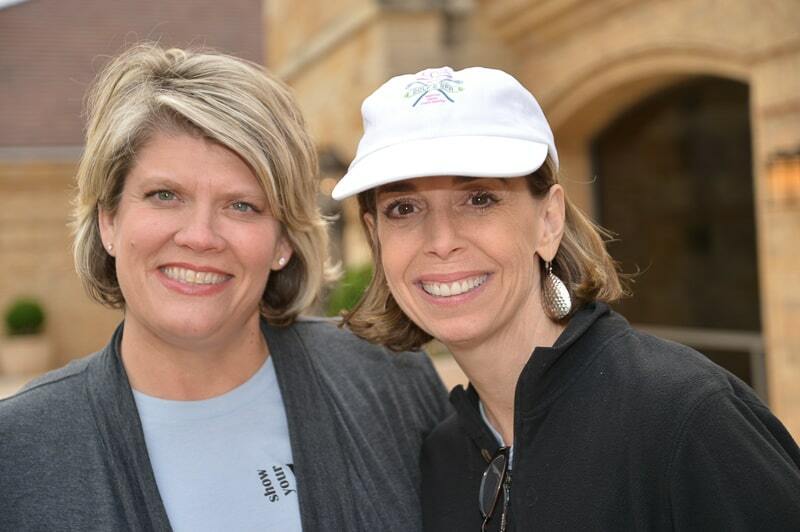 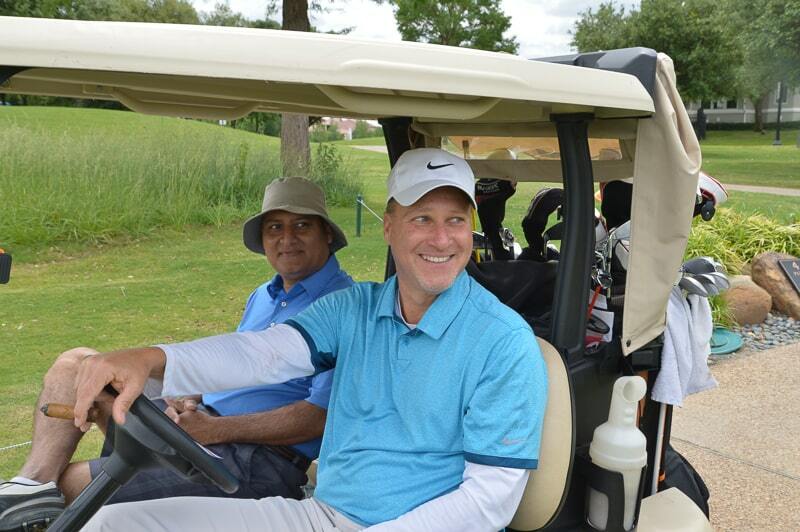 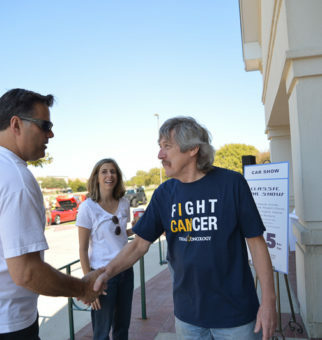 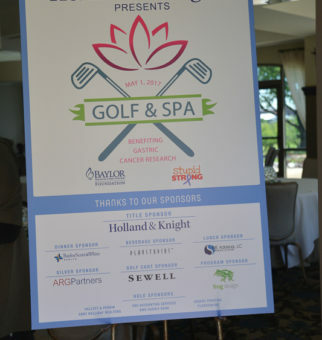 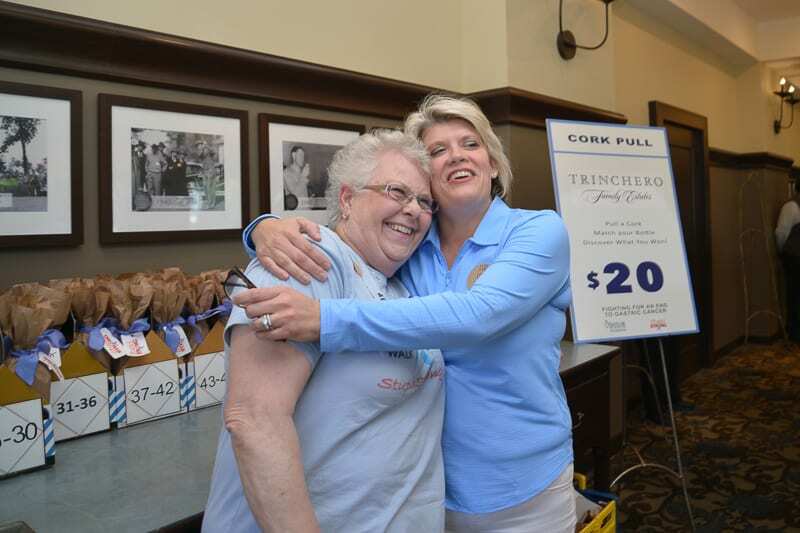 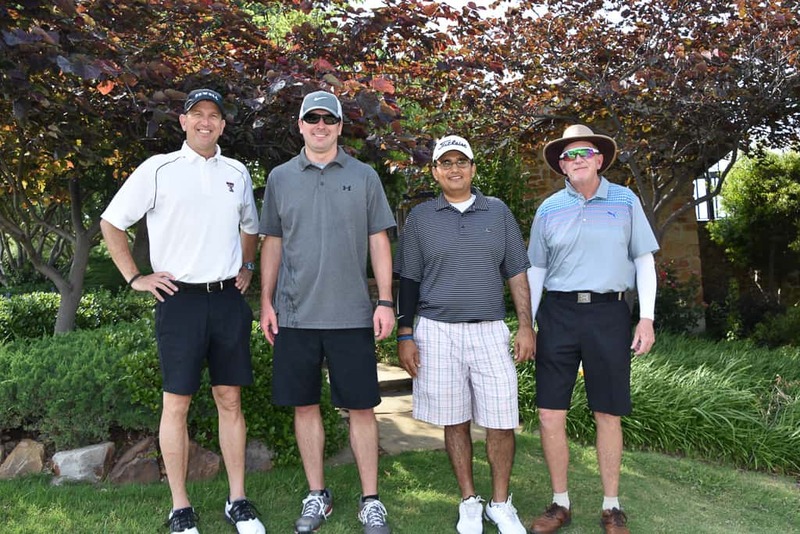 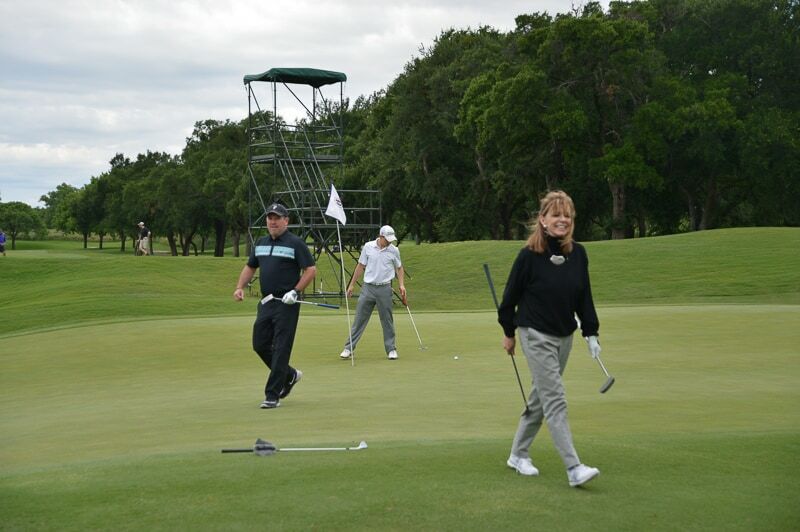 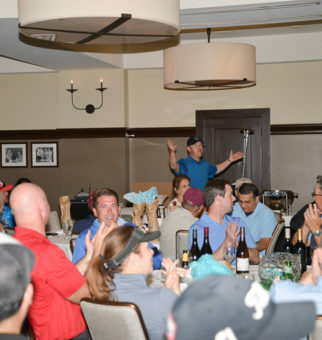 We had a record-setting number of golfers and dollars raised for cancer research. 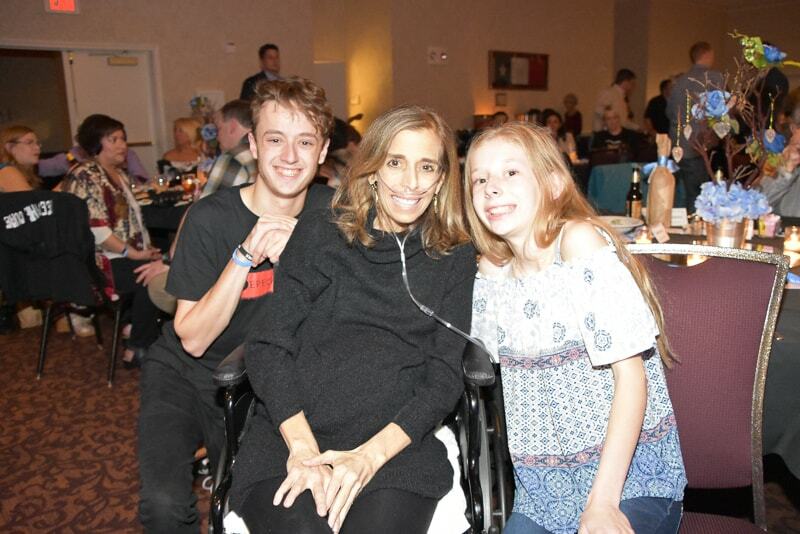 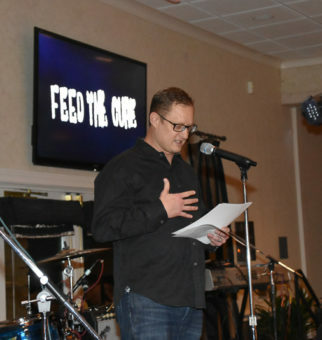 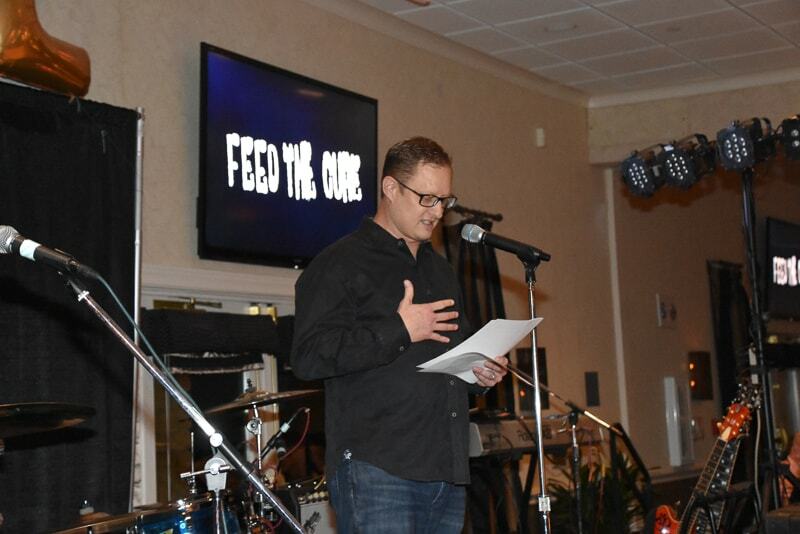 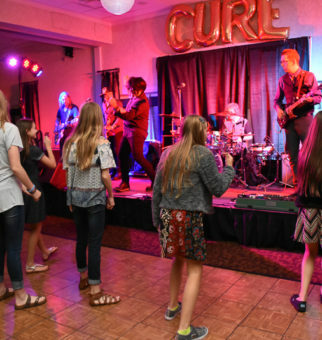 Stupid Strong changed the format of its Fall fundraiser and launched the Feed the Cure Benefit Concert at Texas Star Conference Center. 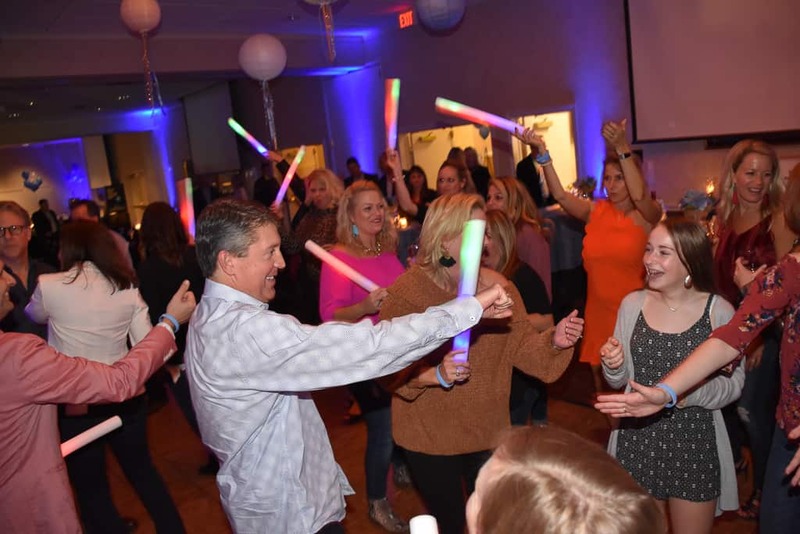 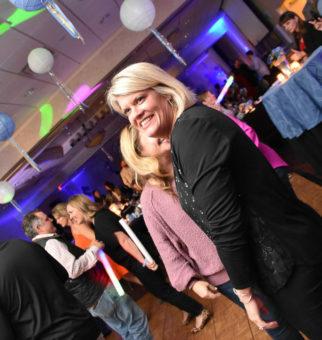 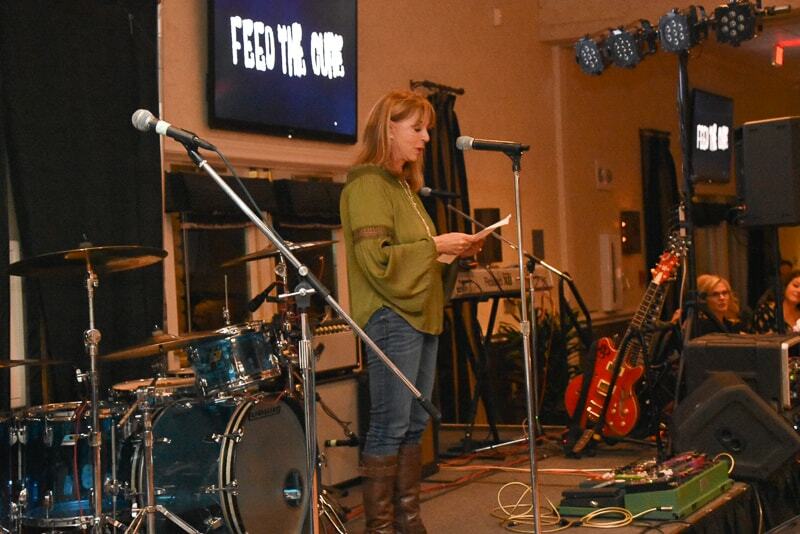 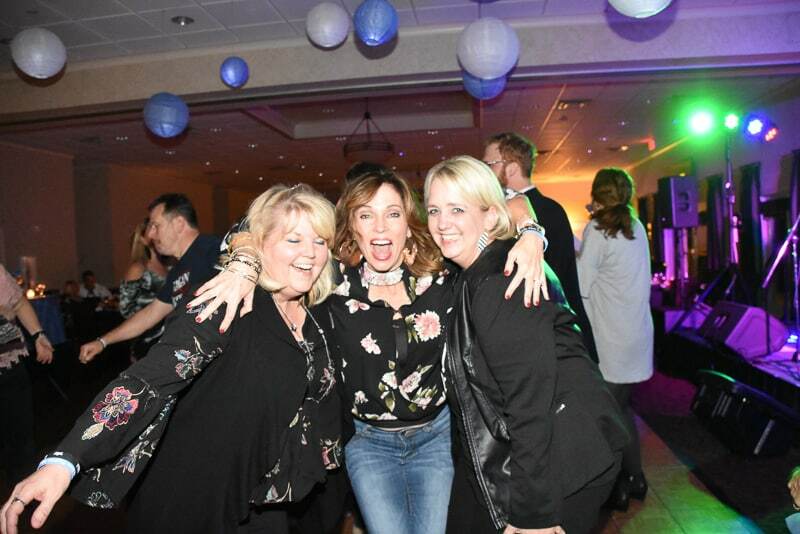 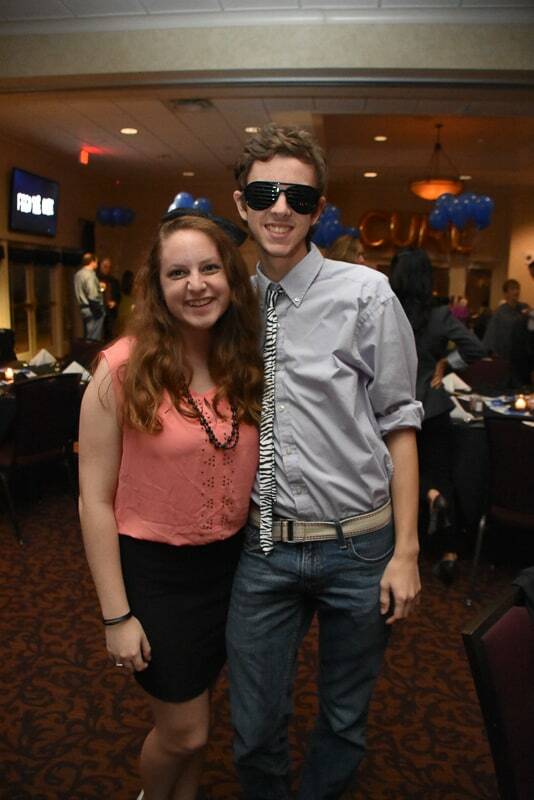 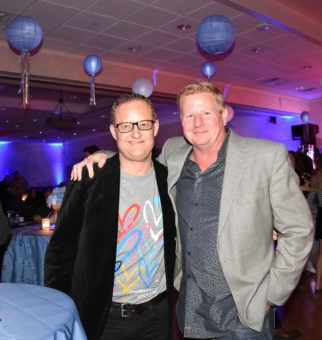 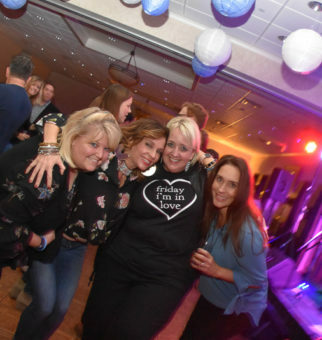 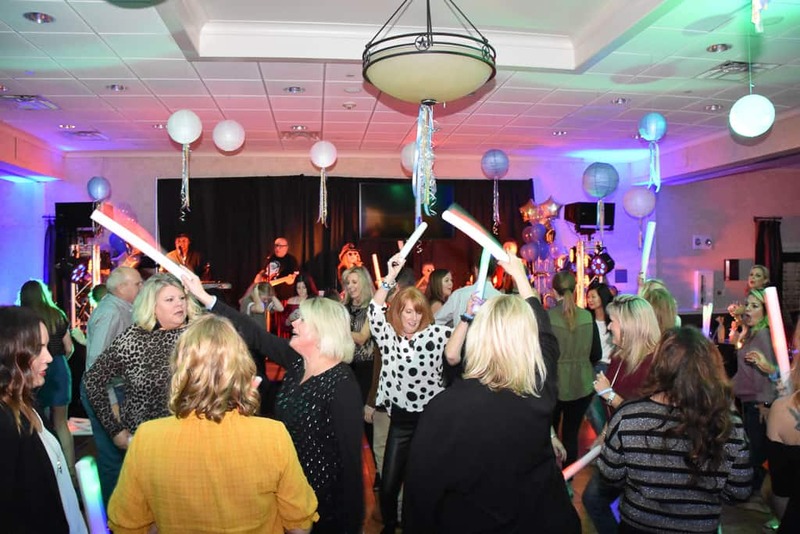 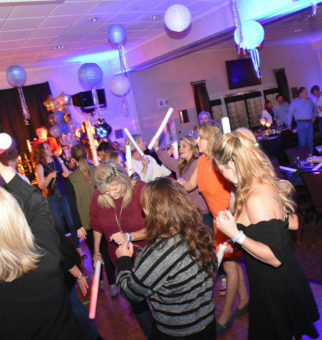 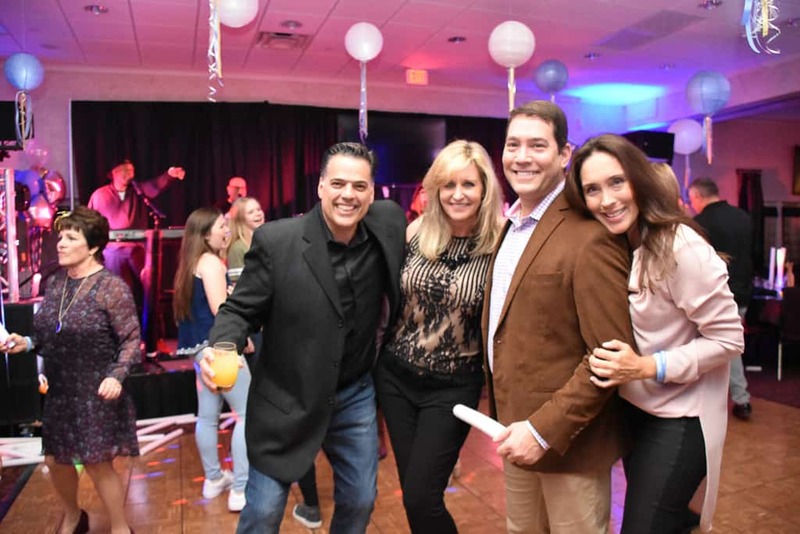 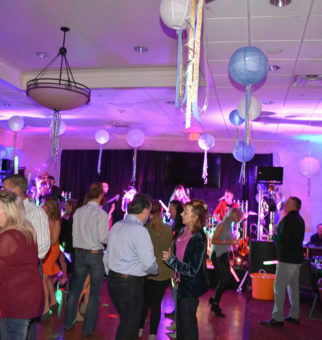 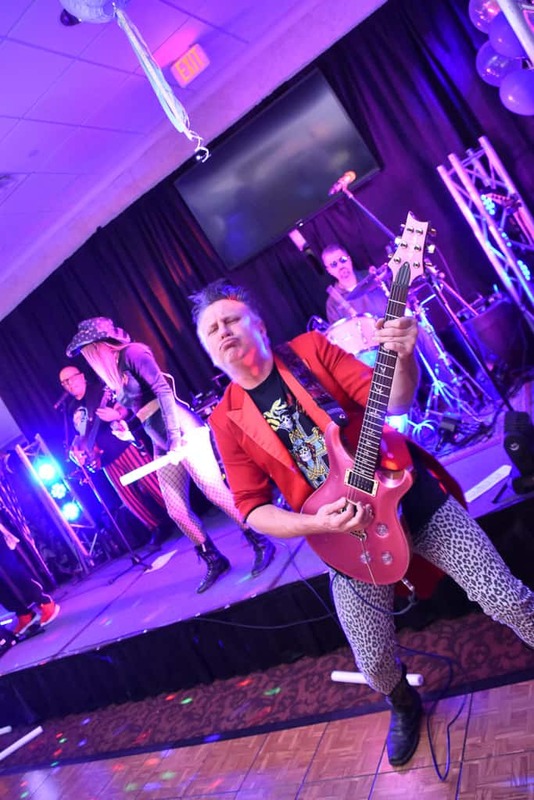 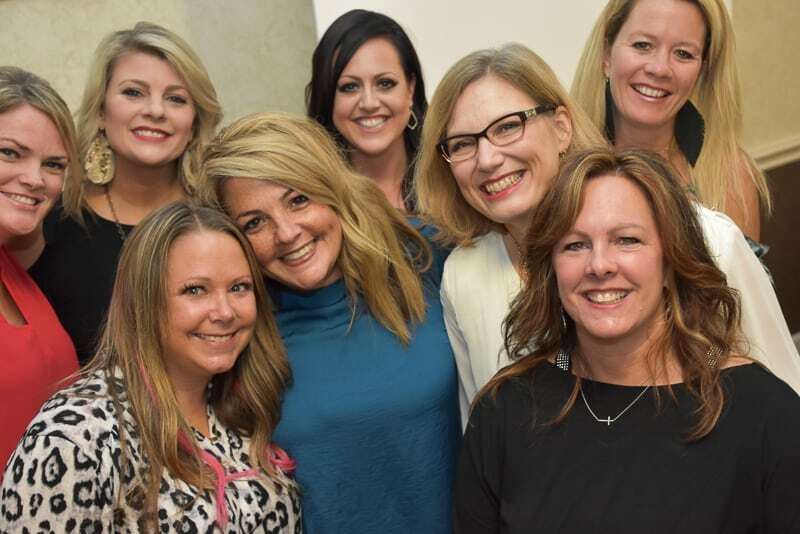 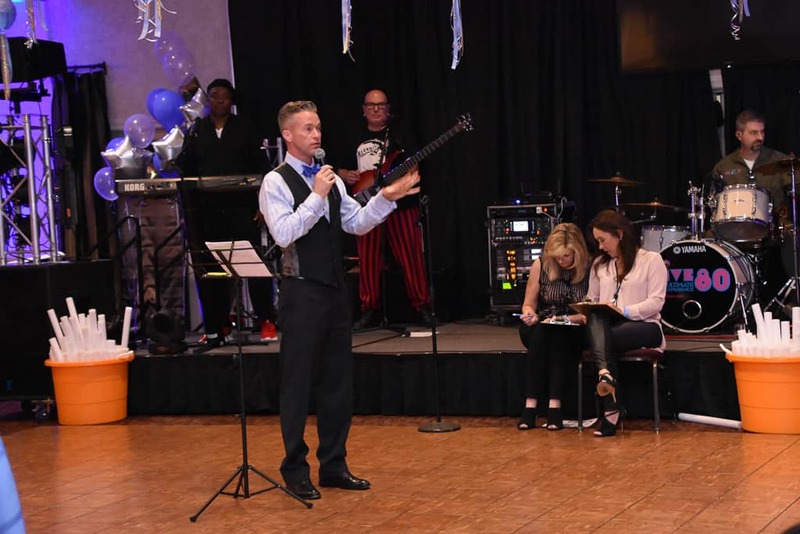 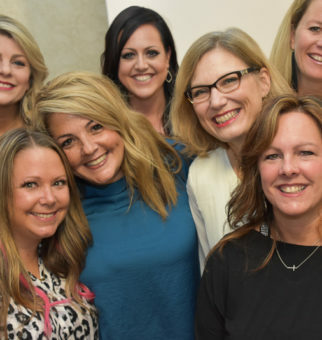 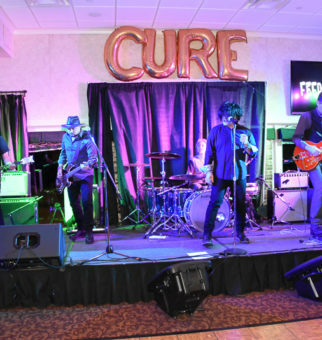 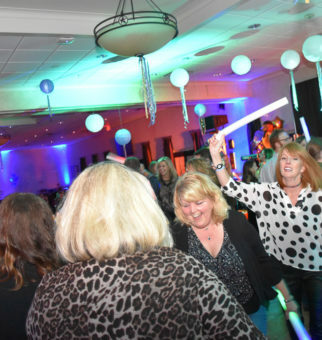 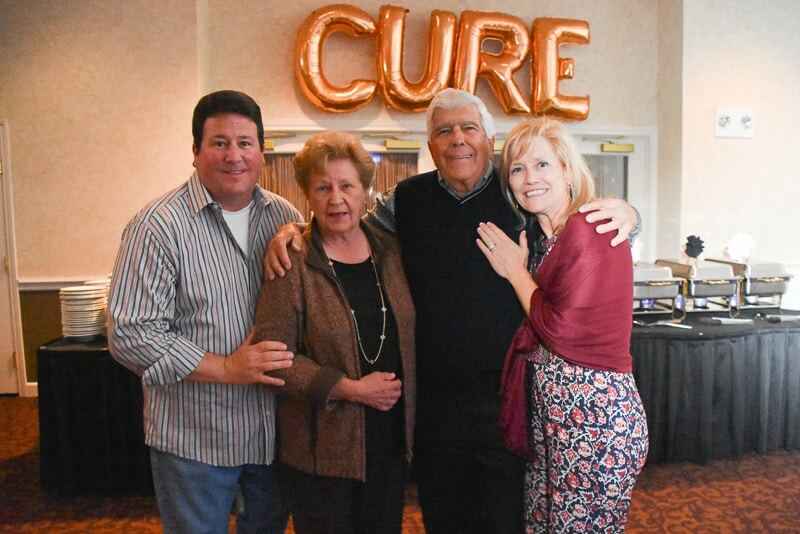 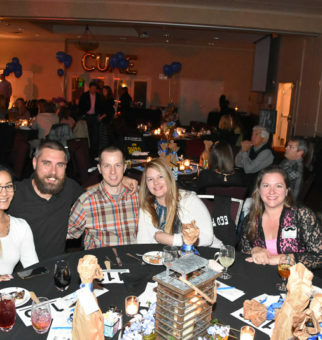 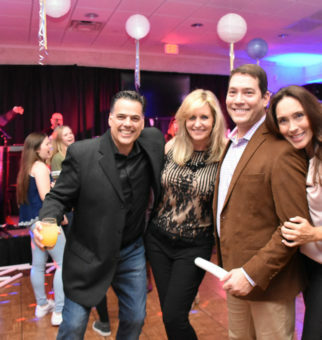 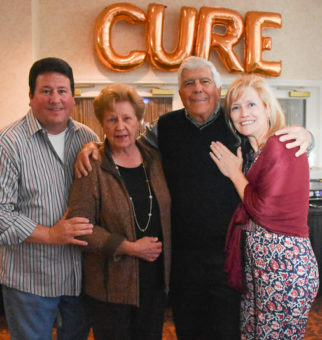 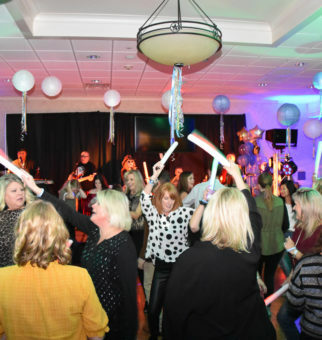 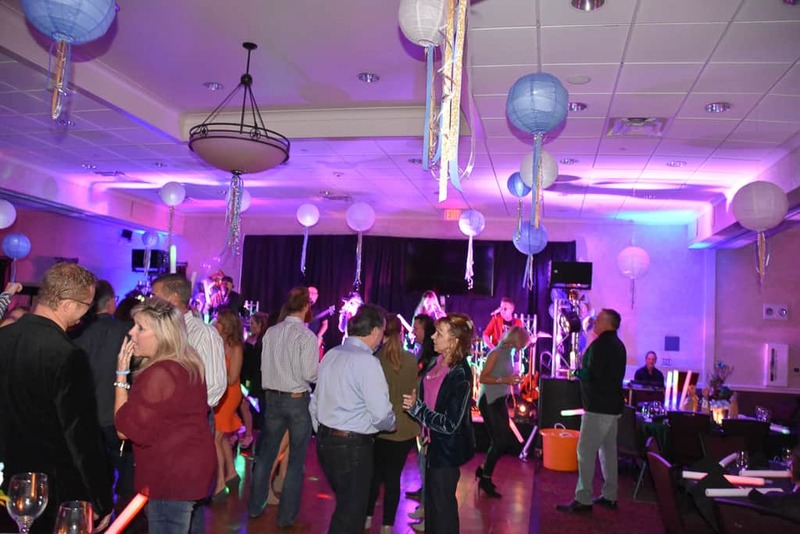 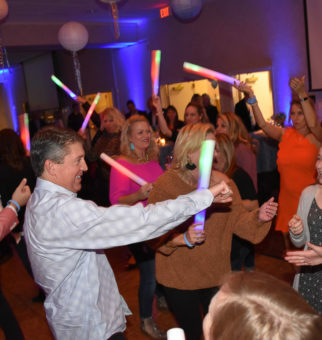 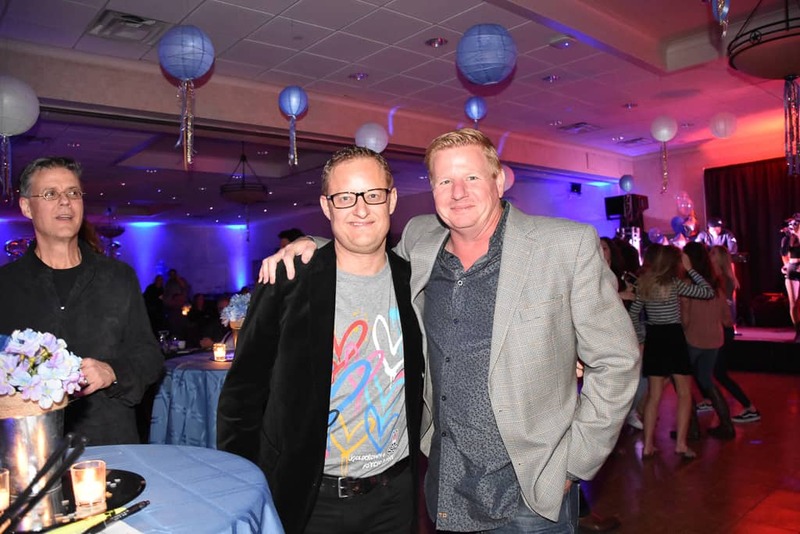 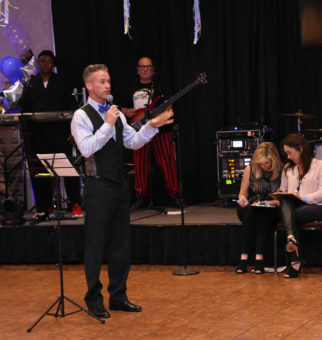 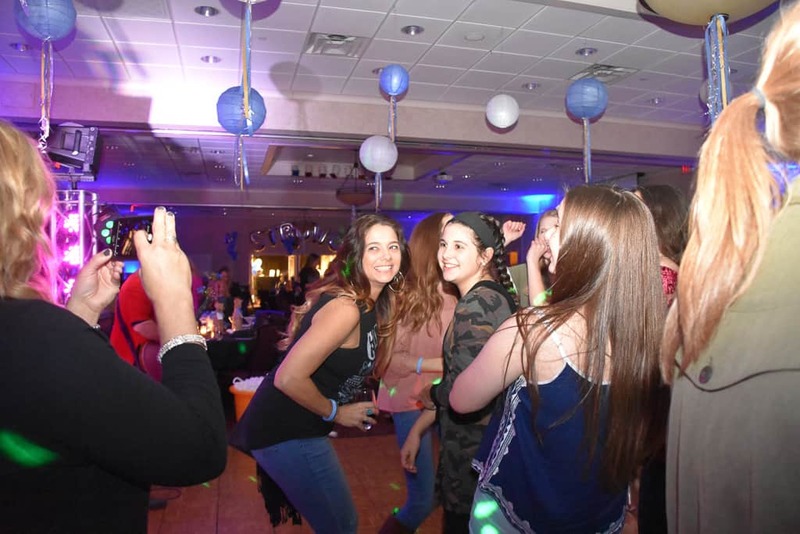 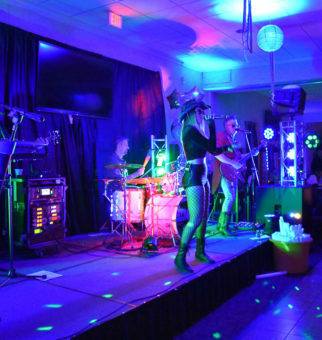 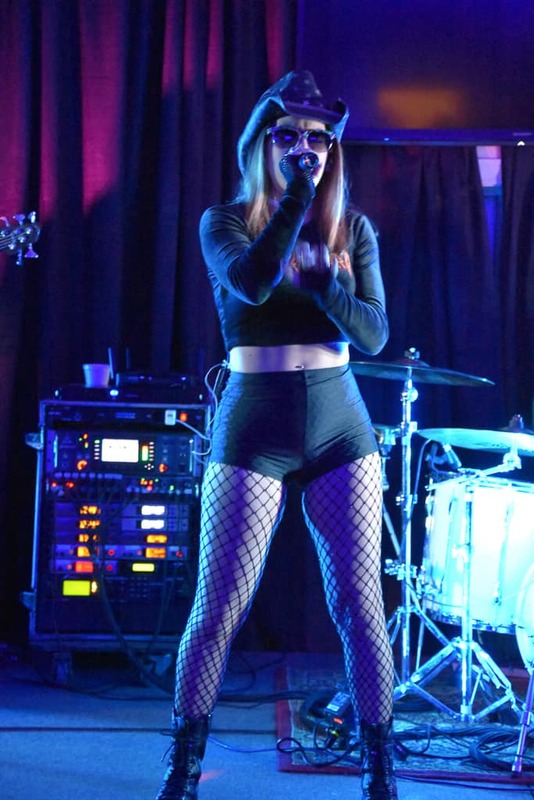 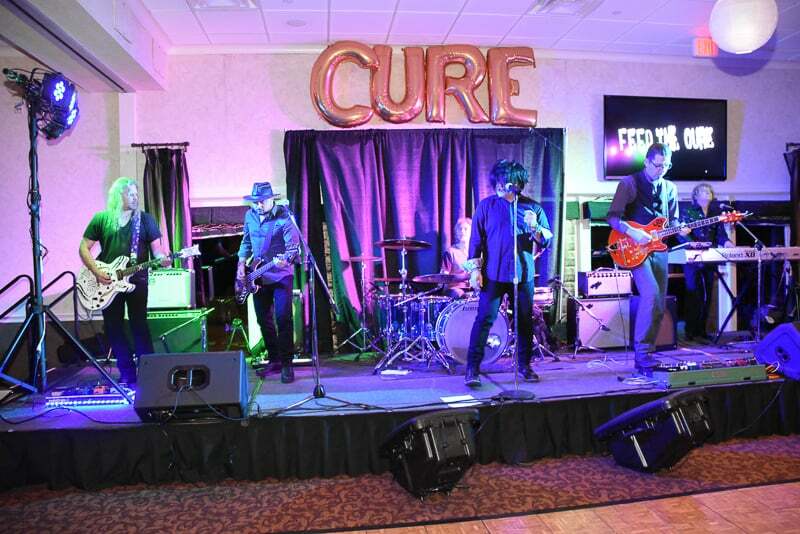 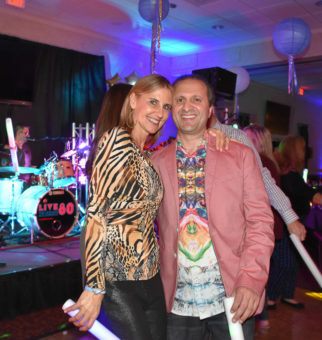 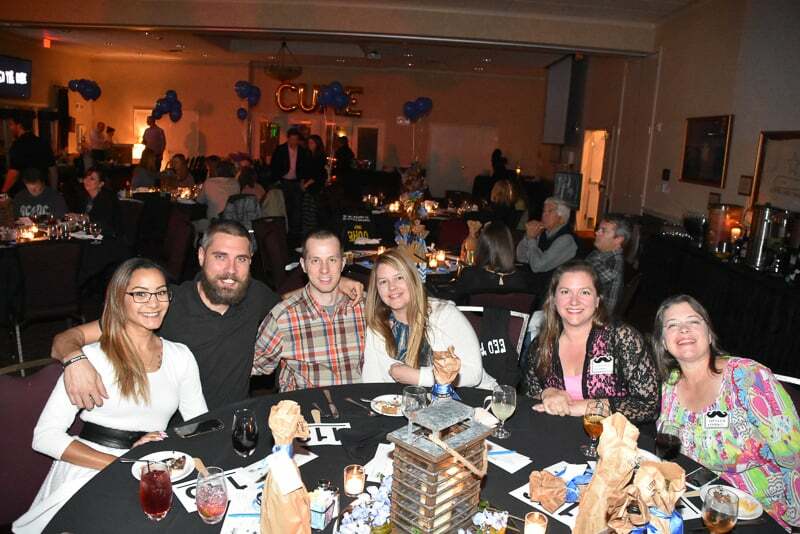 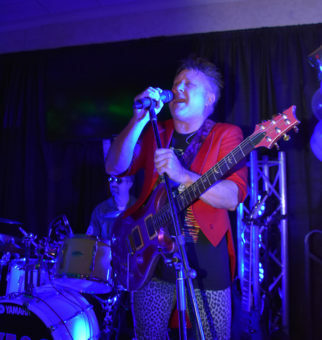 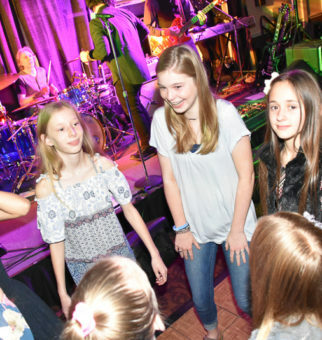 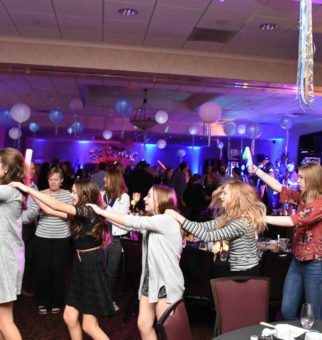 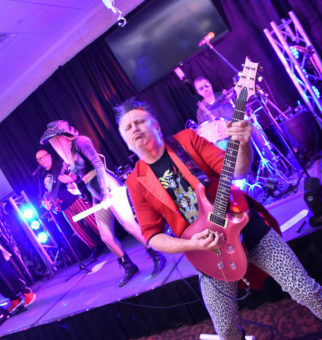 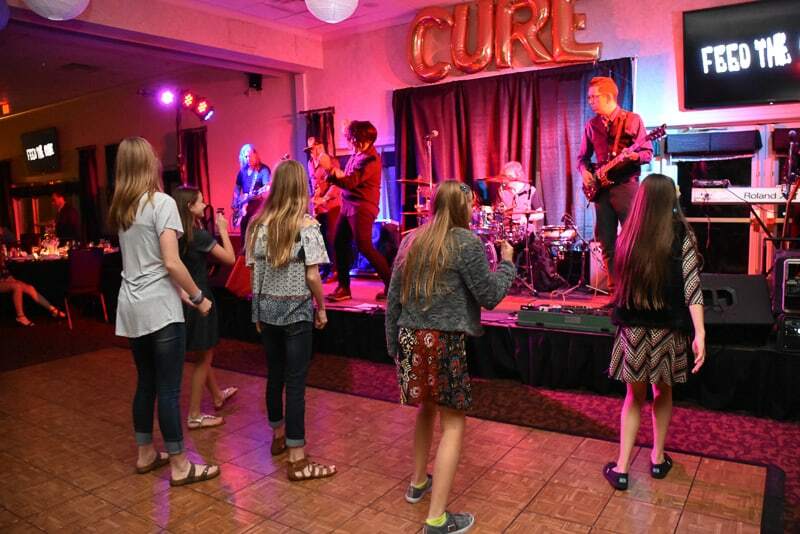 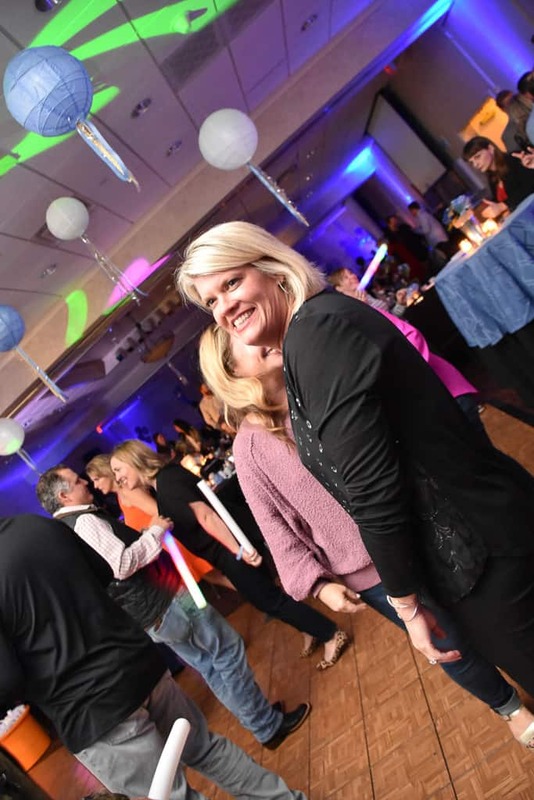 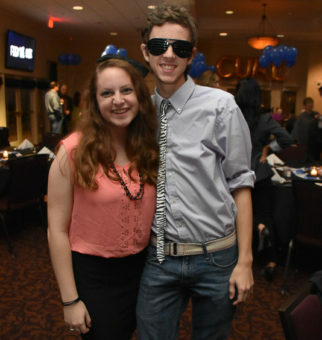 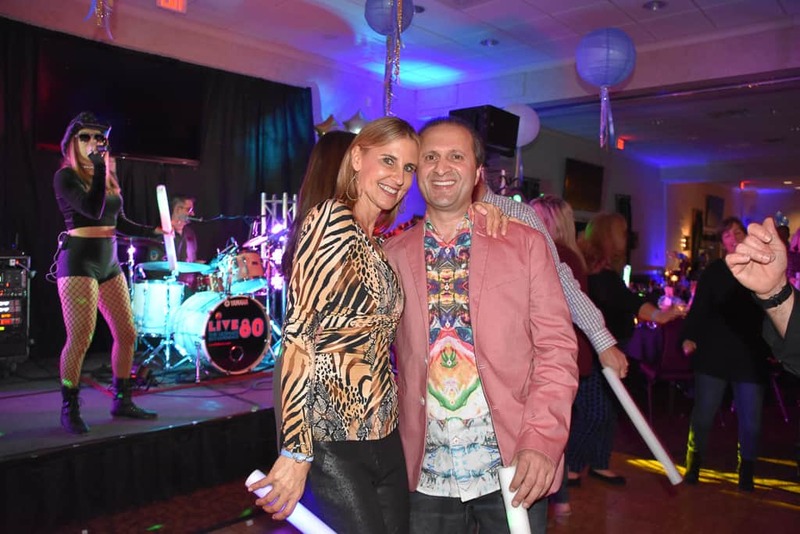 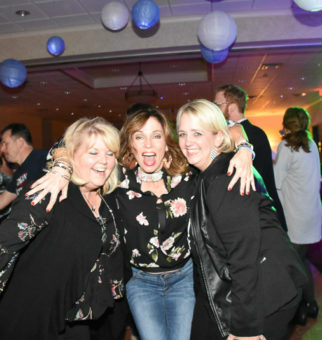 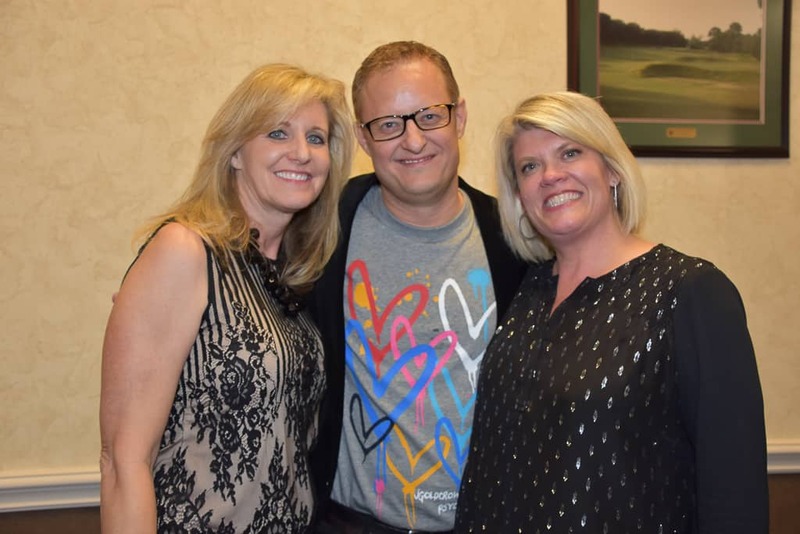 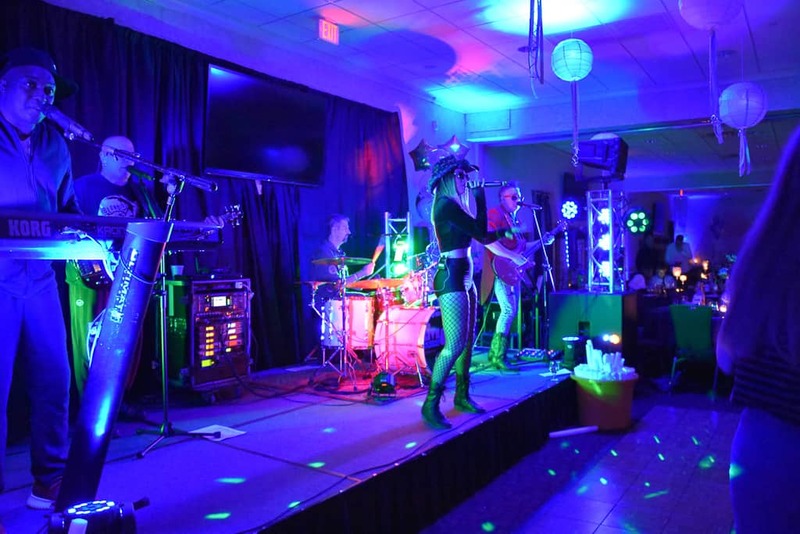 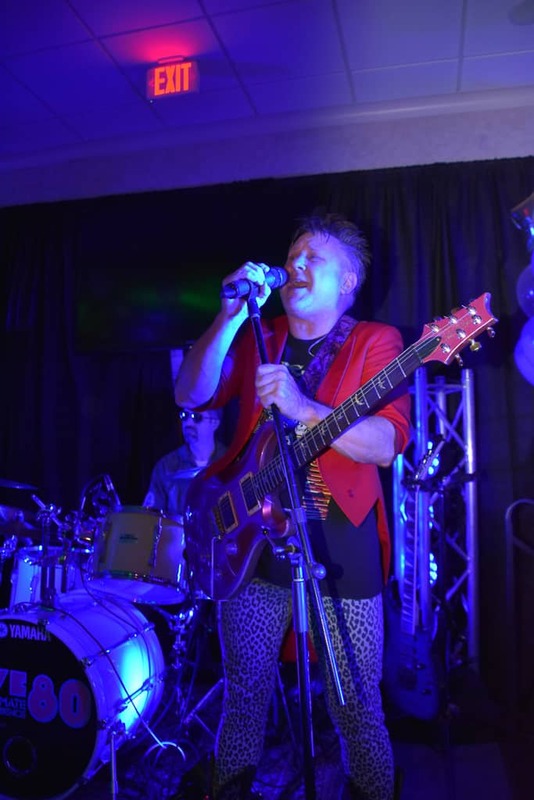 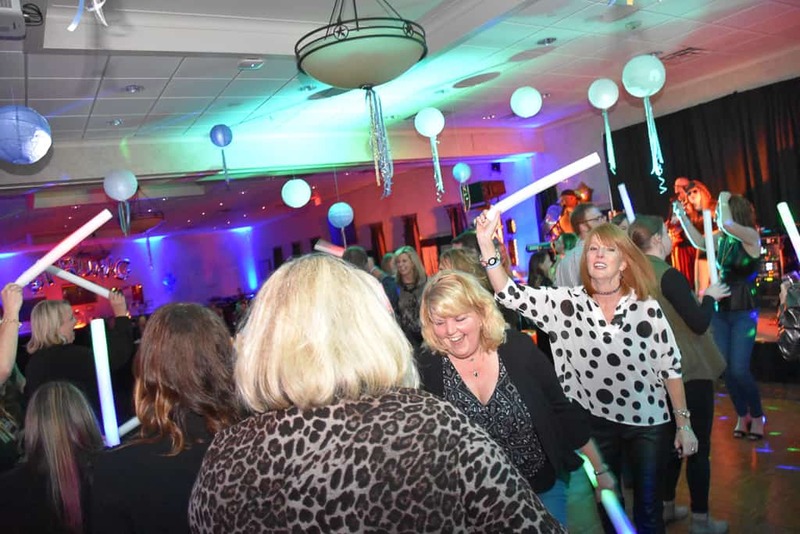 The inaugural concert event featured delicious food, silent and live auctions, a mirmir photo booth and entertainment from Dallas’ favorite 80‘s cover band Le Cure. 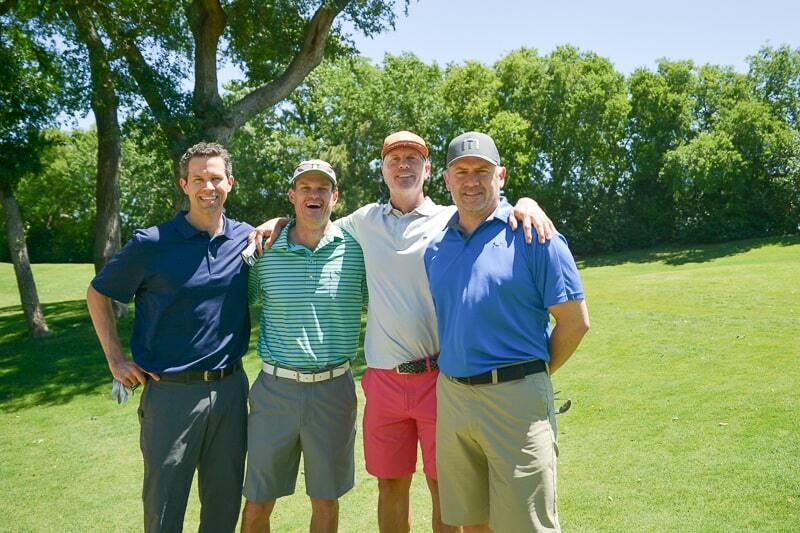 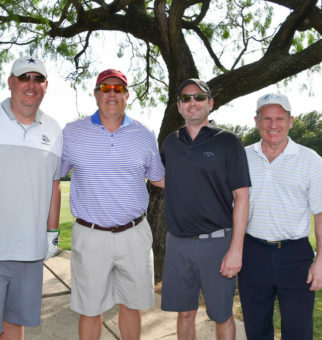 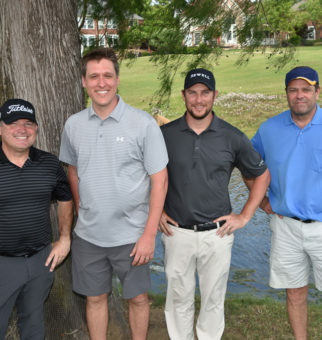 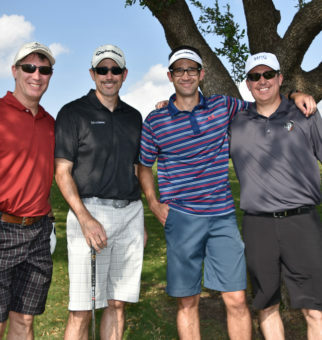 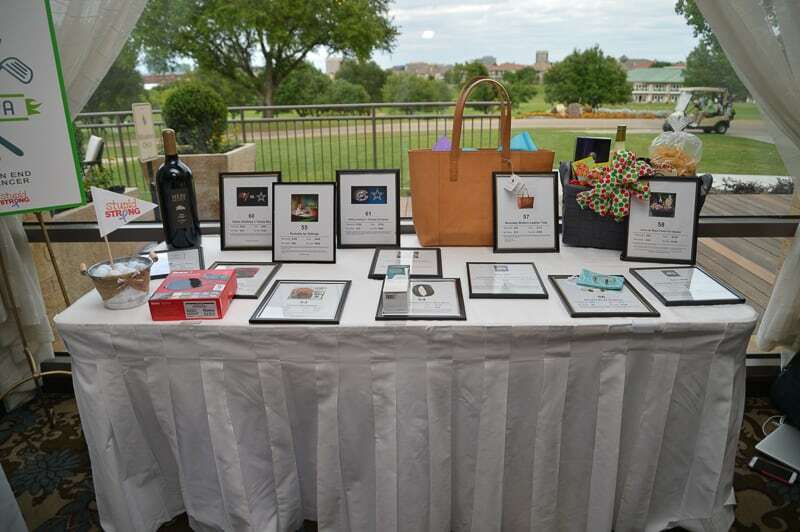 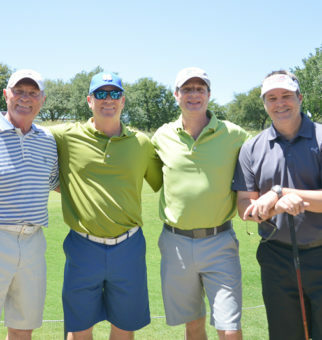 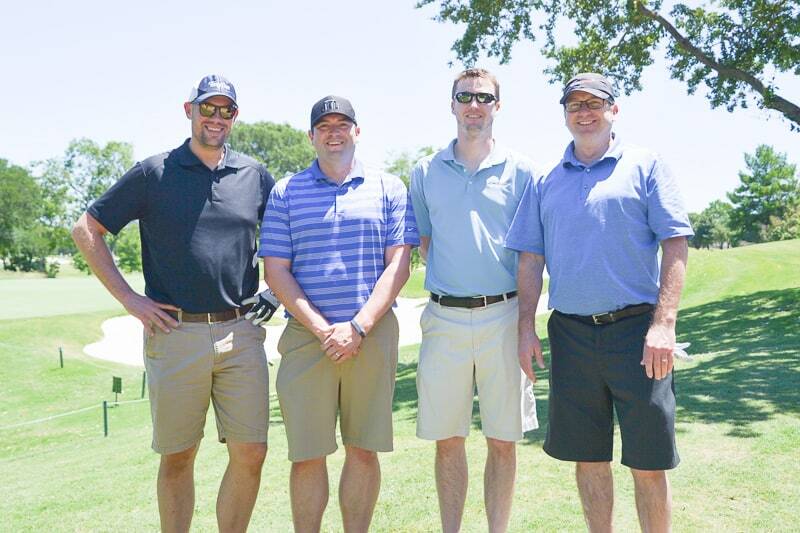 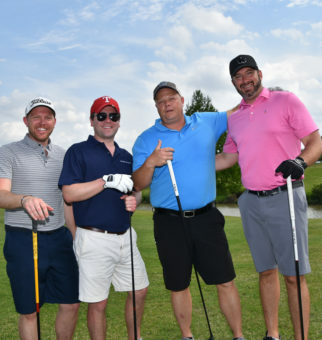 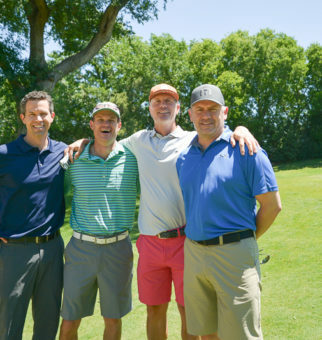 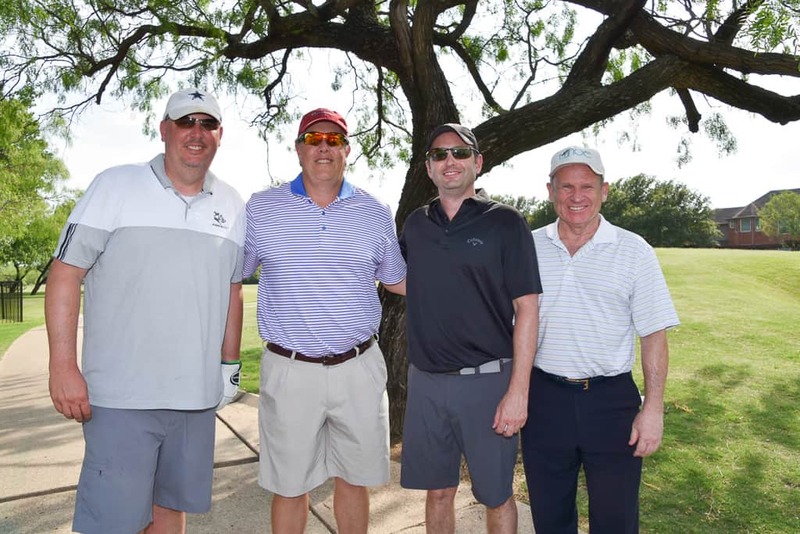 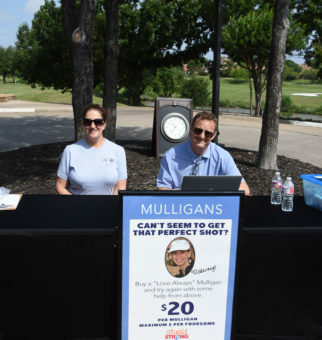 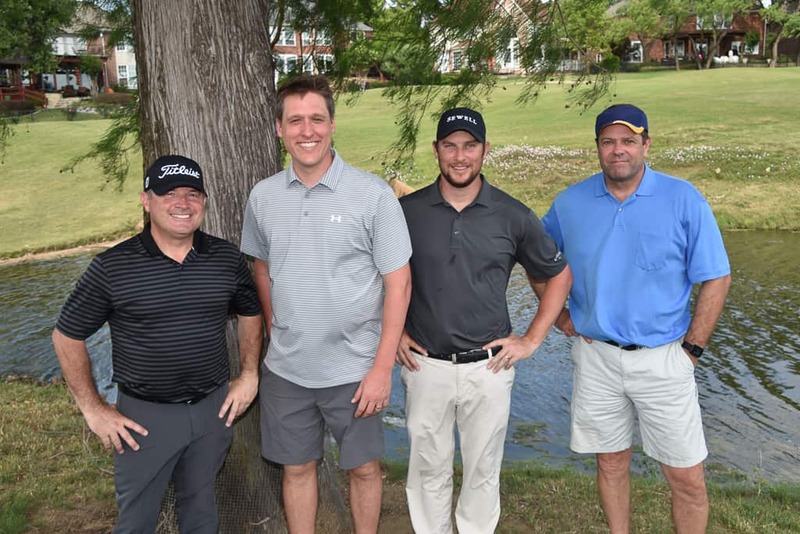 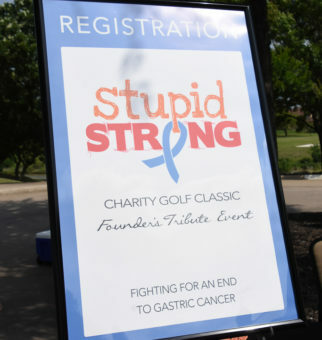 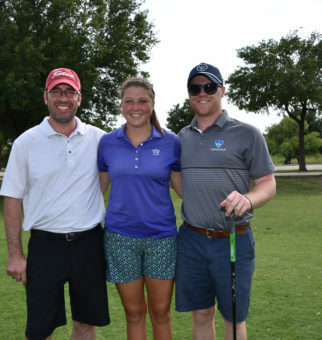 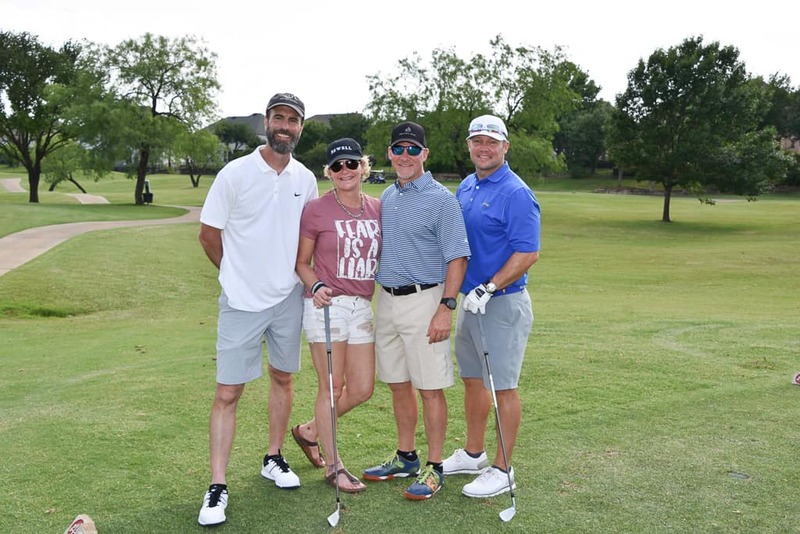 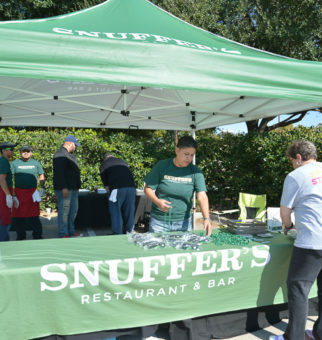 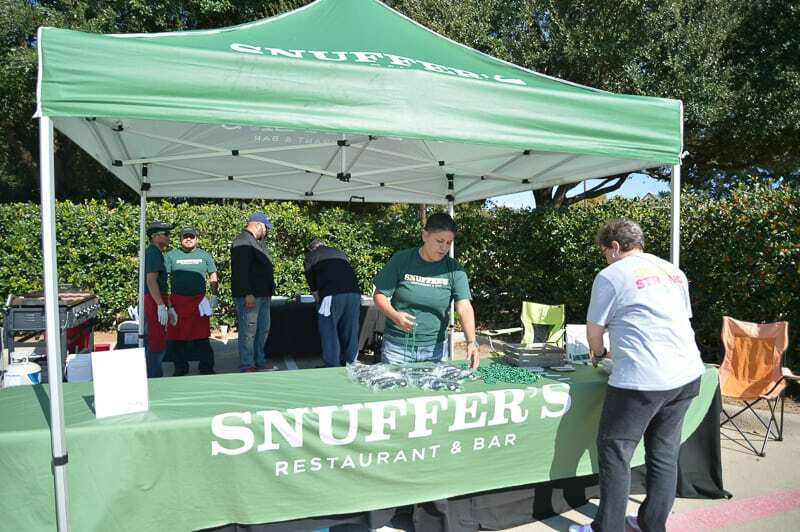 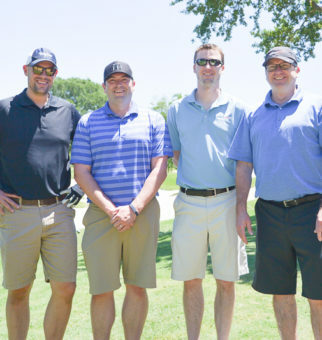 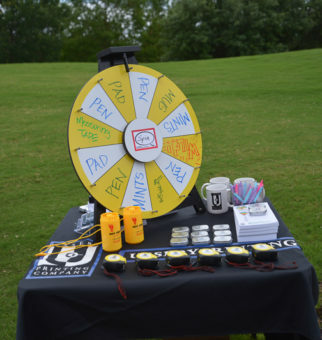 Stupid Strong returned to TPC at Four Seasons Resort and Club, Las Colinas for its 2nd Annual Charity Golf and Spa Event to support the fight against gastric cancer. 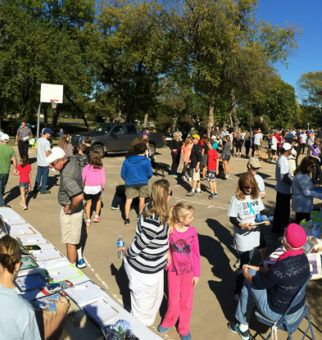 Stupid Strong expands the activities at the 3rd Annual Show Your Love Fall Fundraising Event to include a Car Show and Doggie Parade. 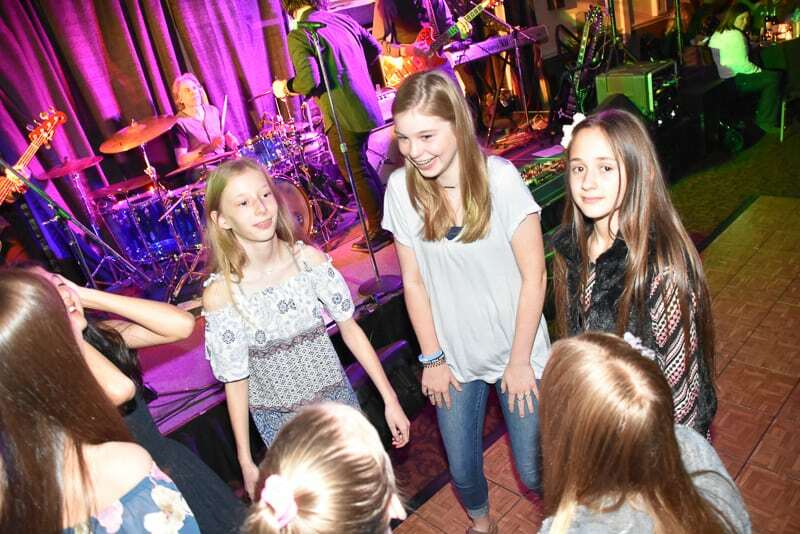 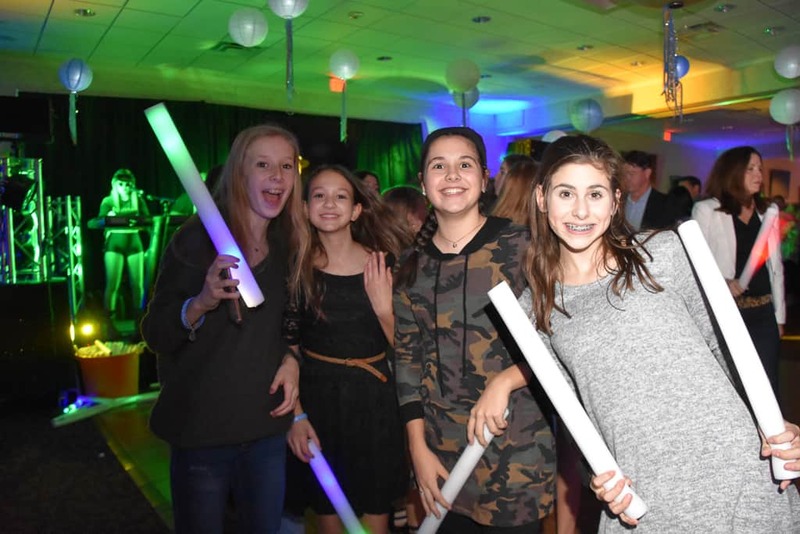 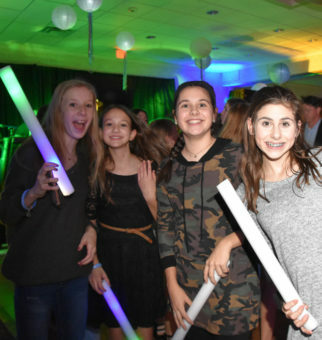 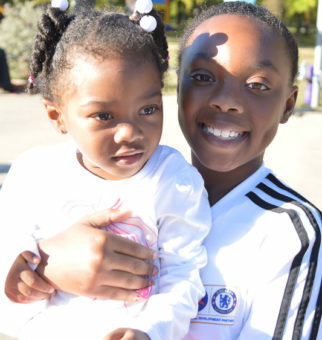 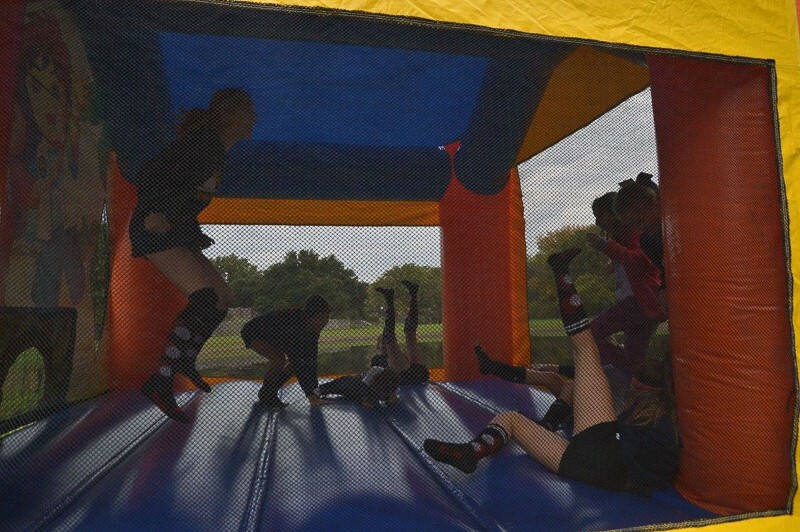 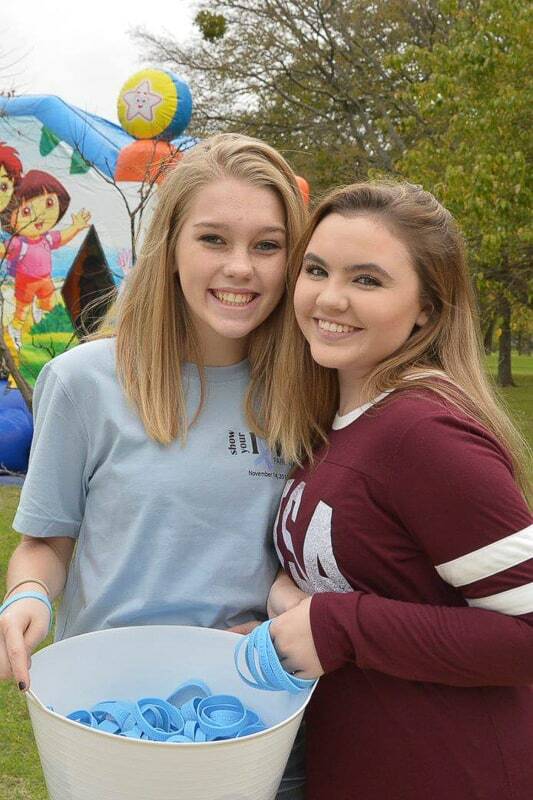 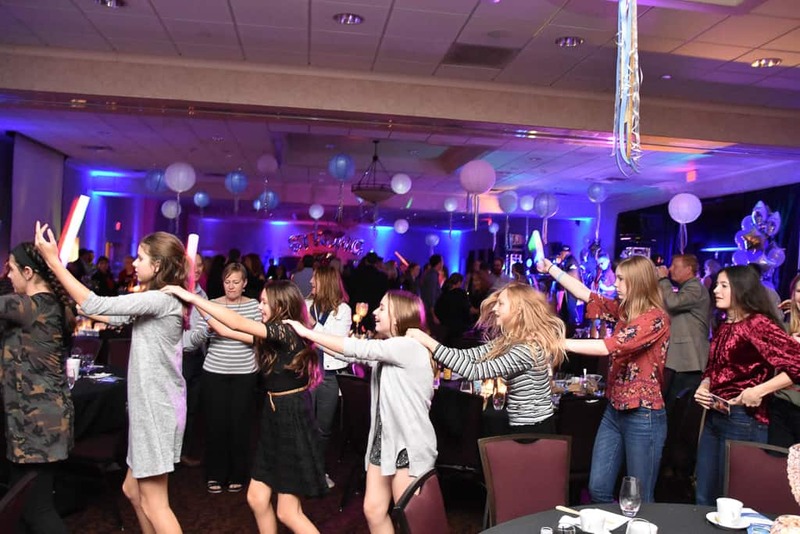 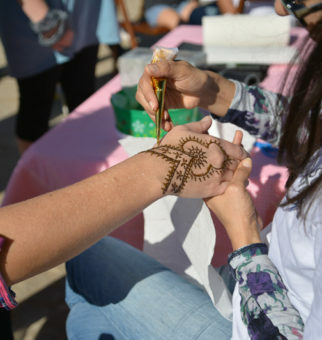 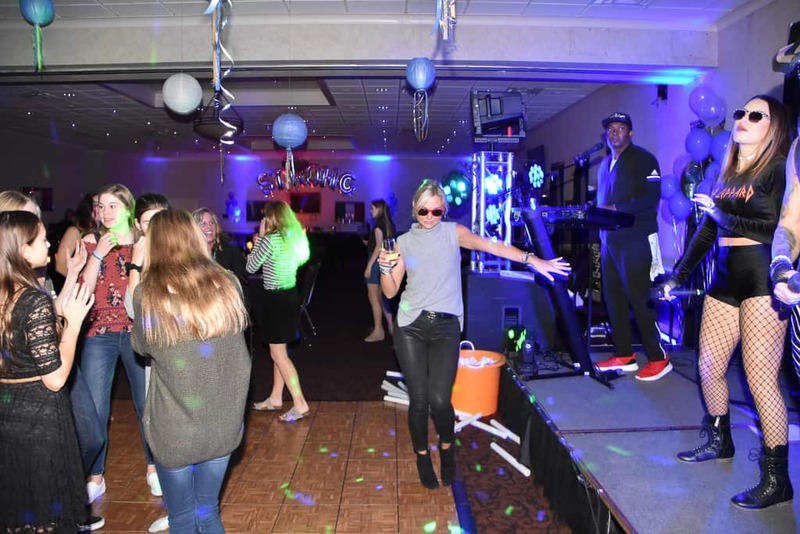 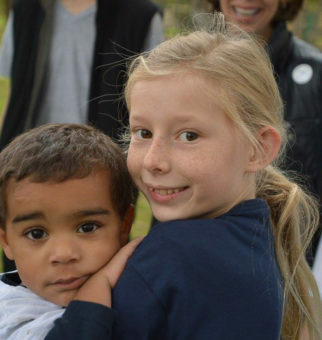 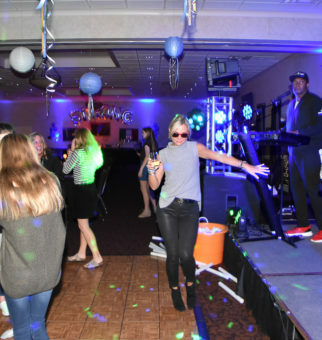 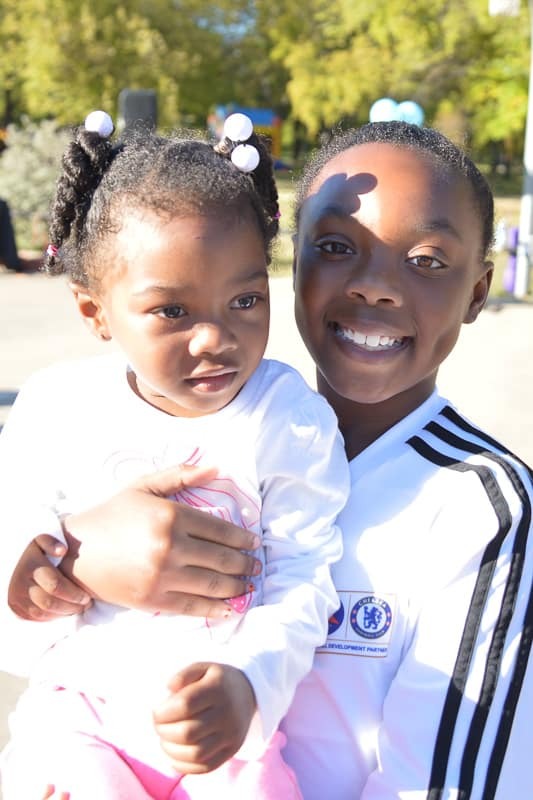 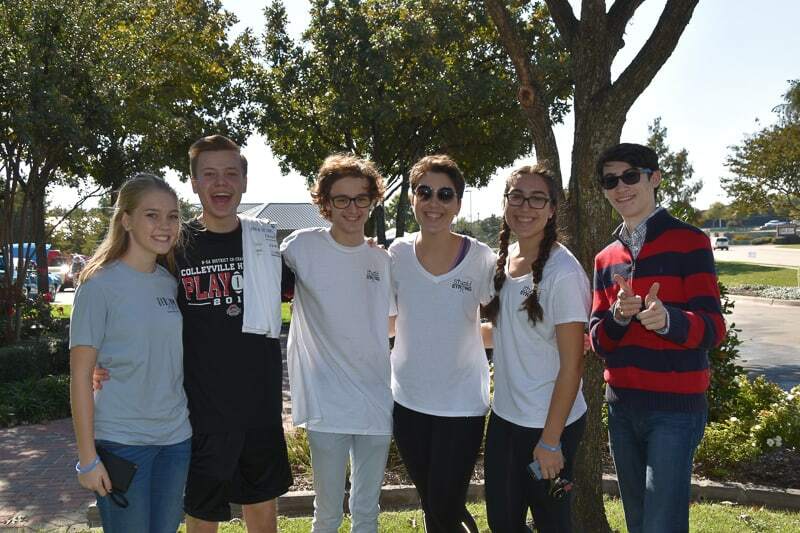 The family-friendly event had a carnival-like atmosphere with a kid’s play area, raffle, silent auction, and entertaining performances by our very own local talent including the Don Goodman Duo, Ali Williams, HMS Jazz choir, CMS Dance Squad and MP Cheerleaders. 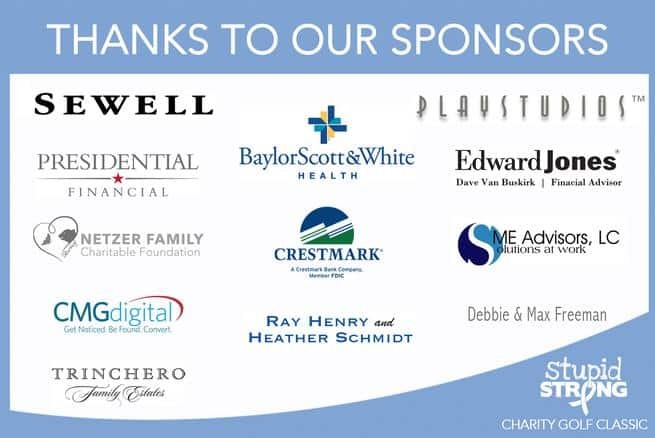 Sponsors: Sewell Automotive, Edward Jones, Sandlin Homes, Hashem Orthodontics, DX Electric, Snuffer’s Boulevard Eatz, Threadz Customized, Richard’s Jewelers, Trinchero Family Estates, Chick-fil-A Hurst, Menchies, Target, David S Stein, G Texas Catering. 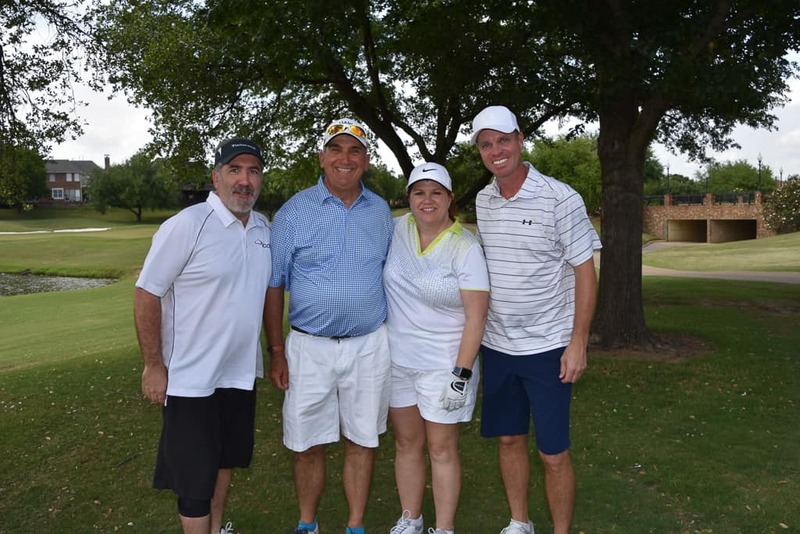 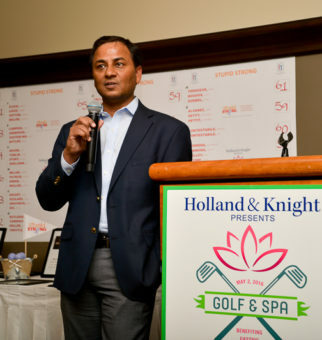 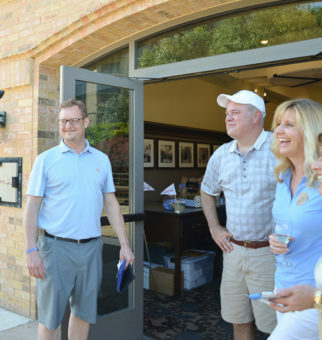 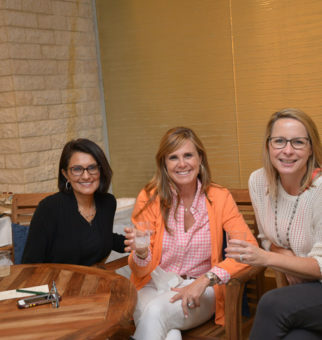 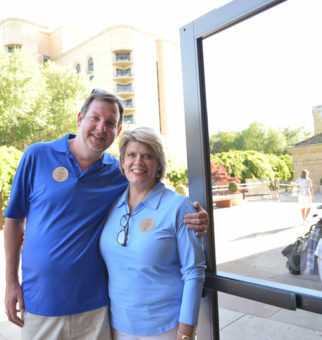 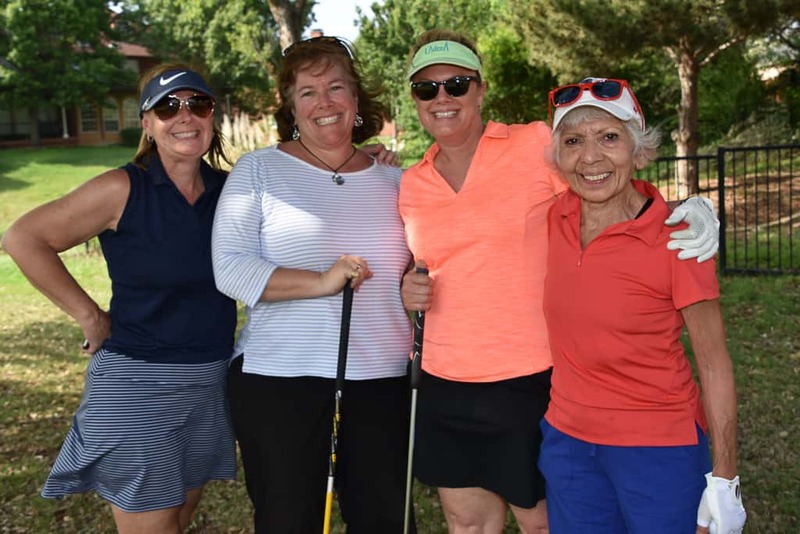 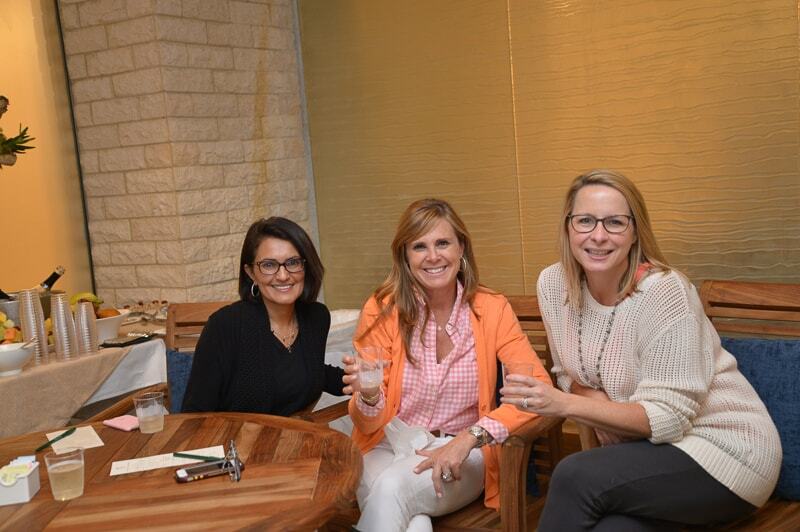 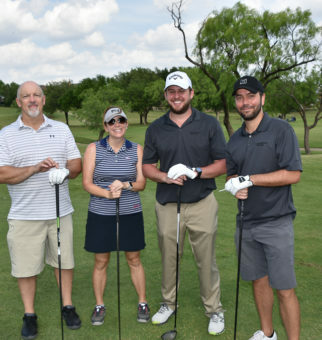 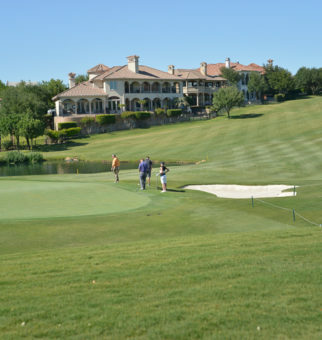 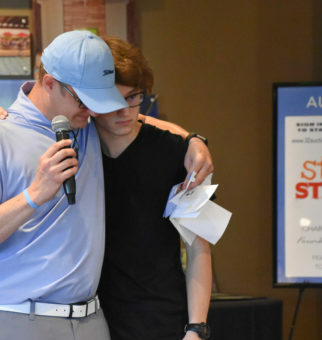 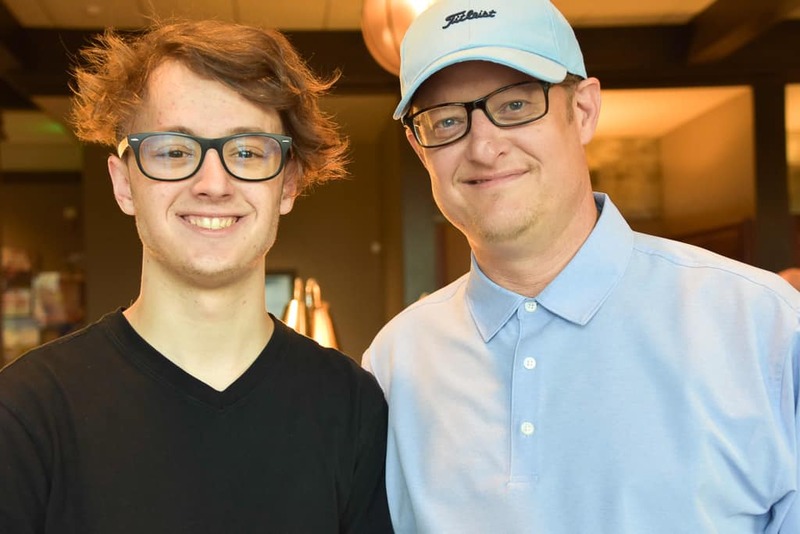 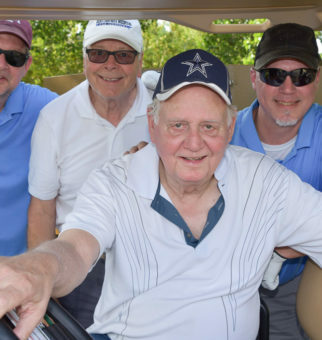 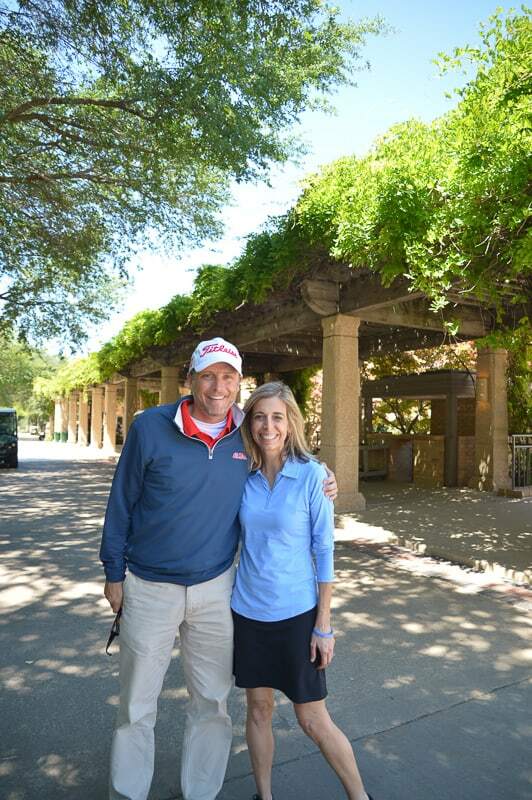 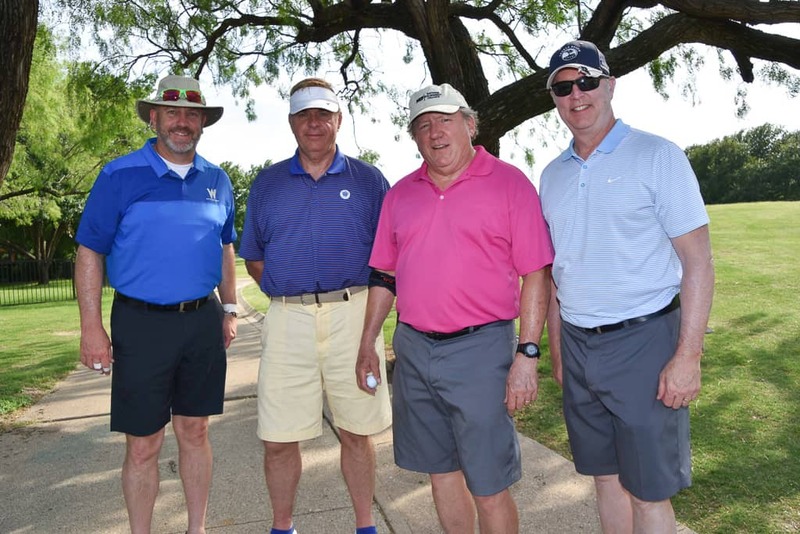 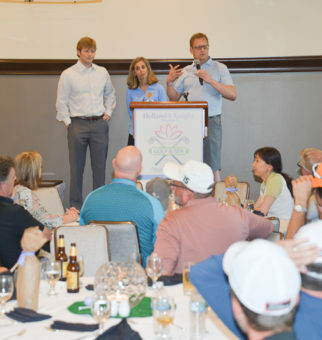 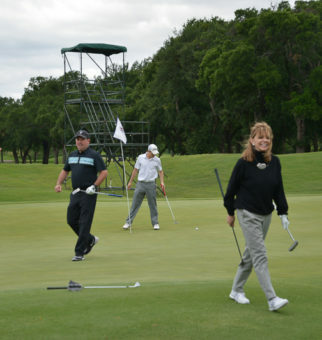 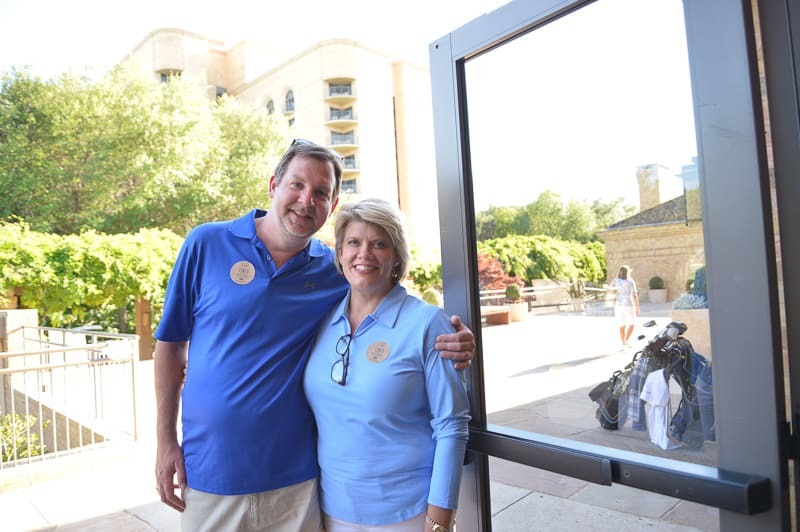 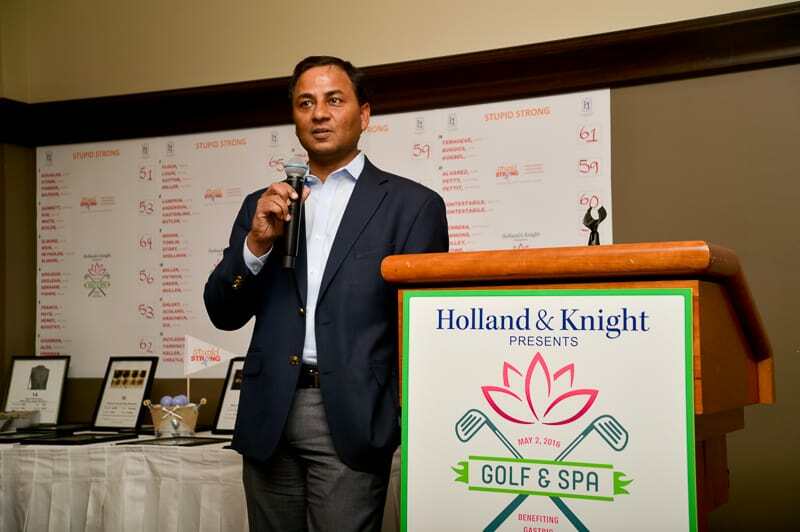 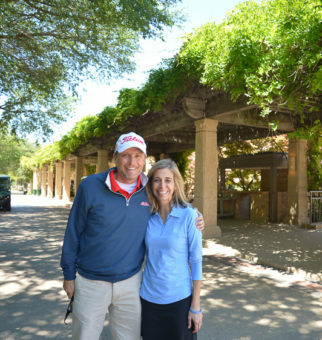 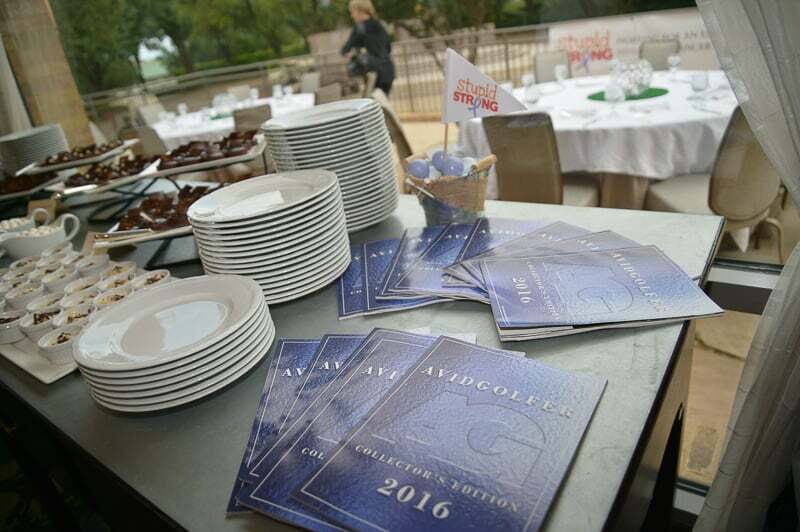 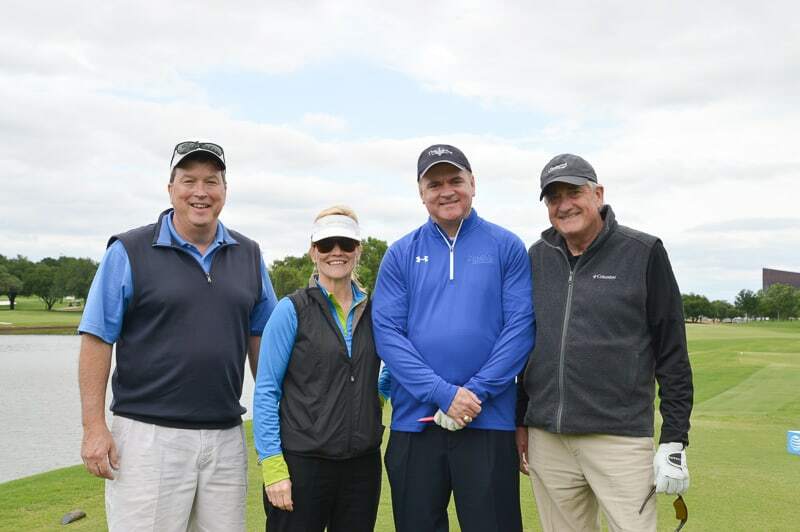 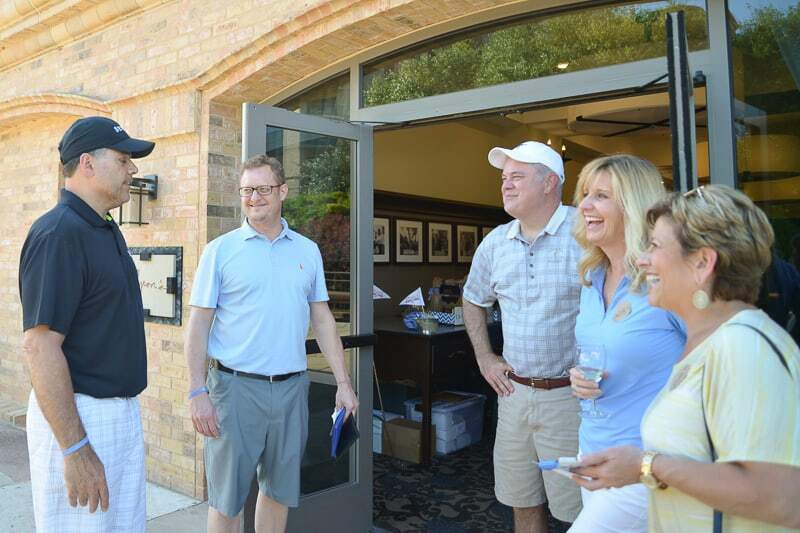 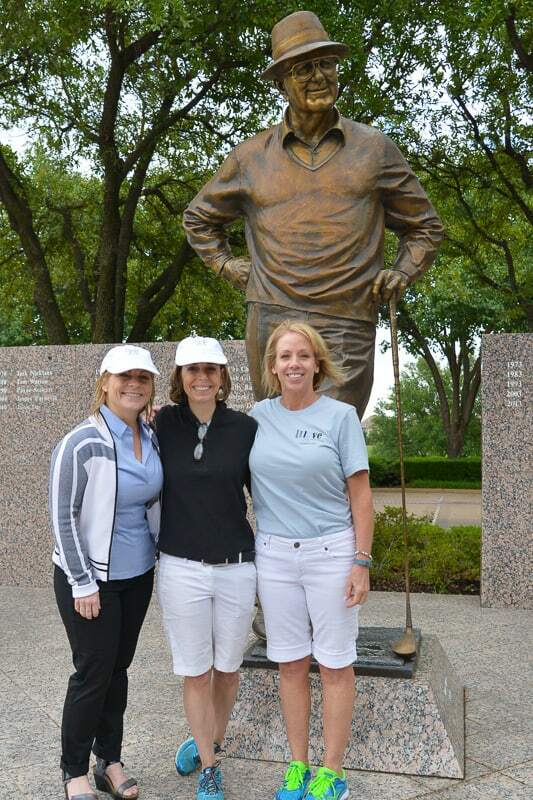 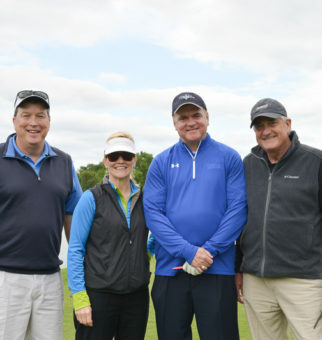 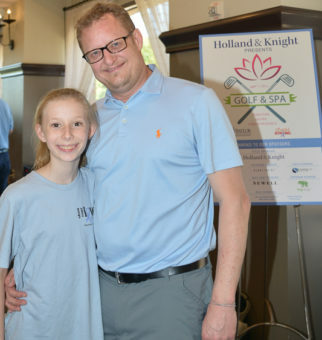 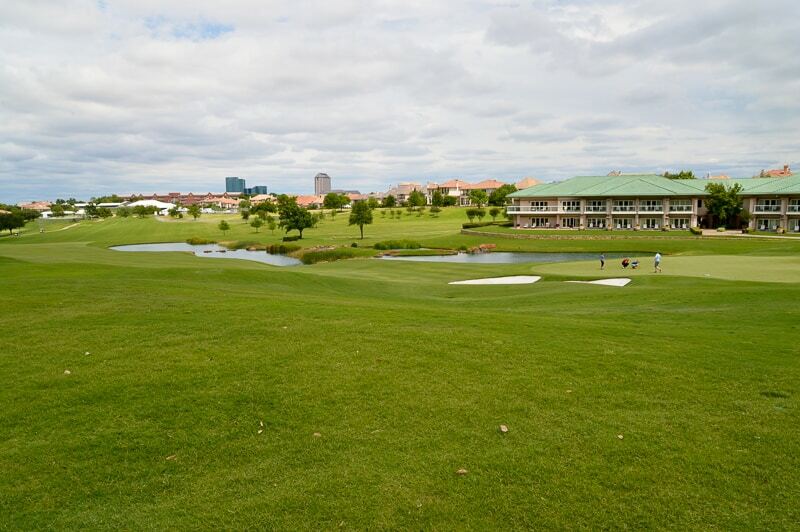 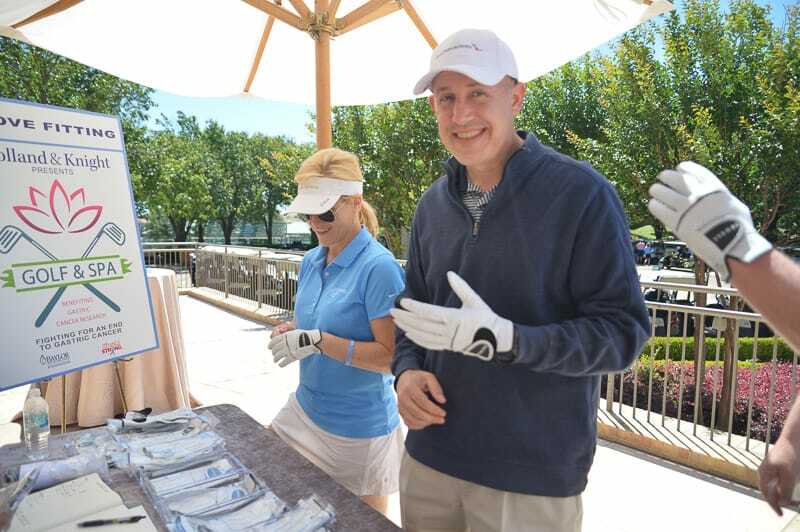 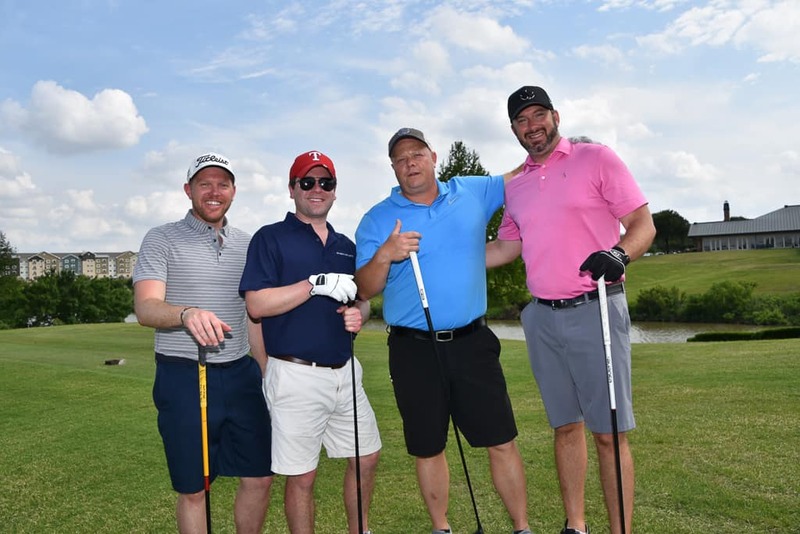 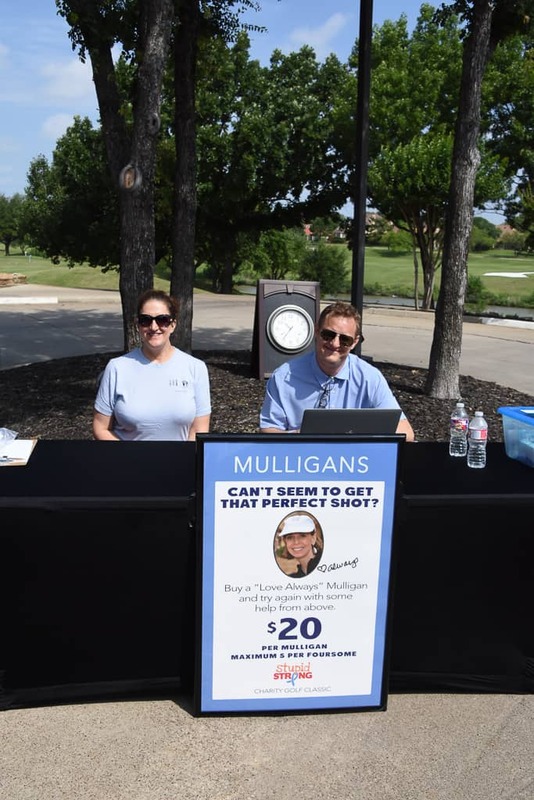 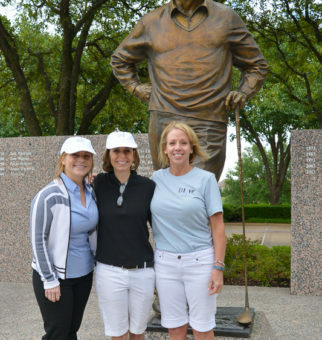 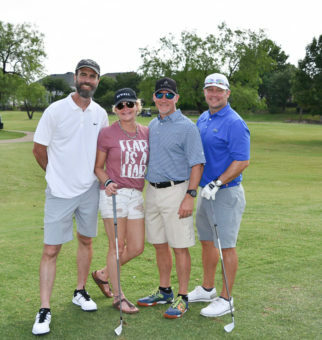 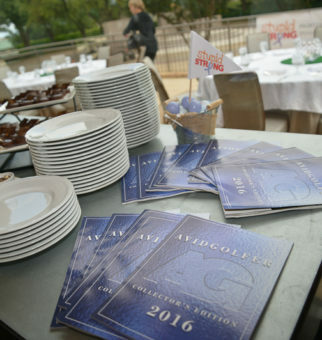 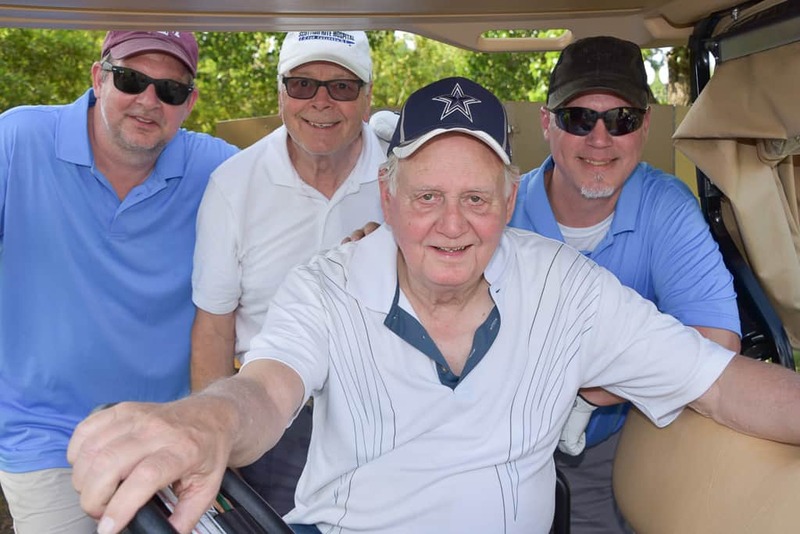 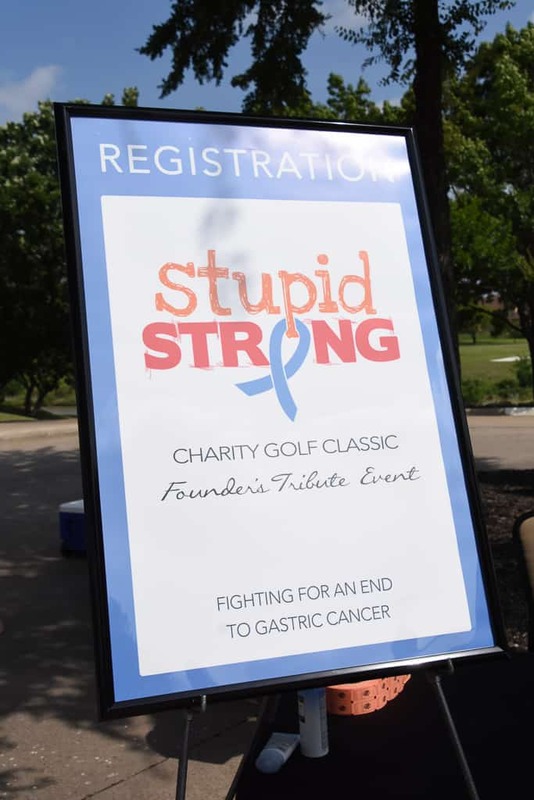 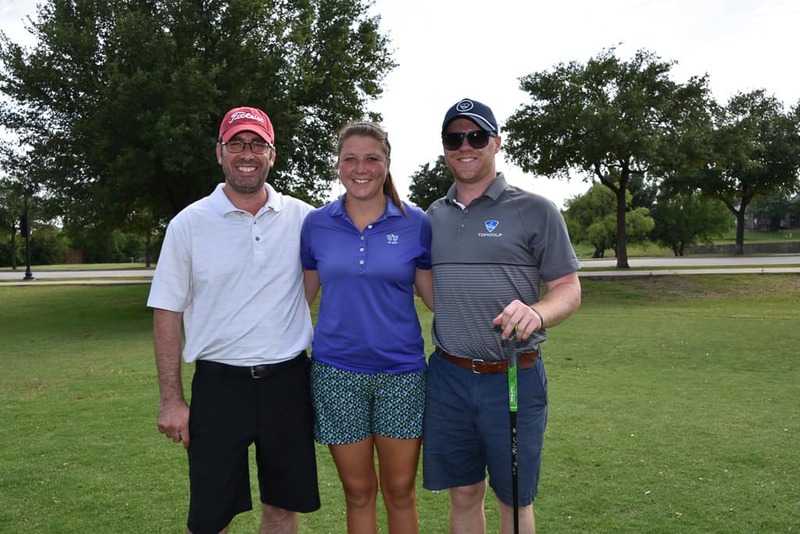 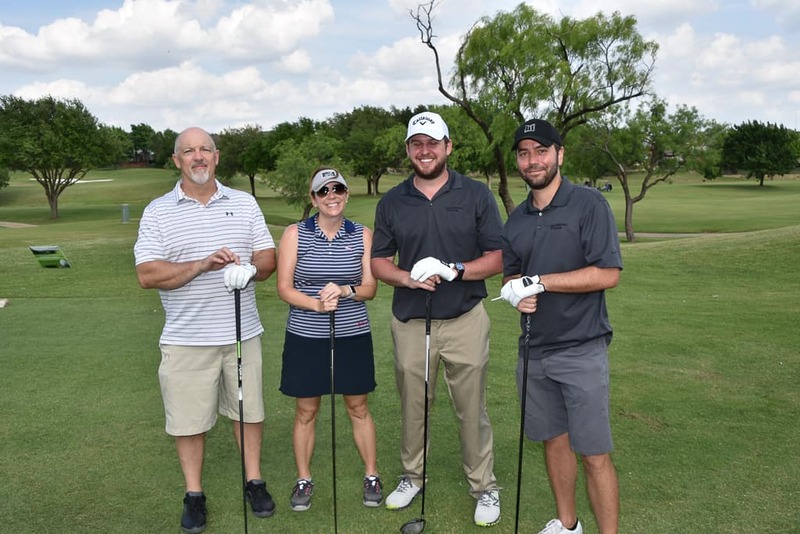 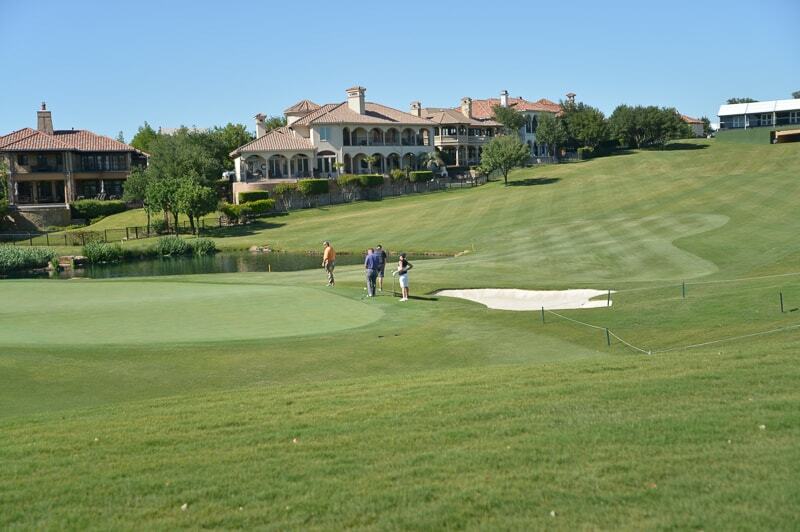 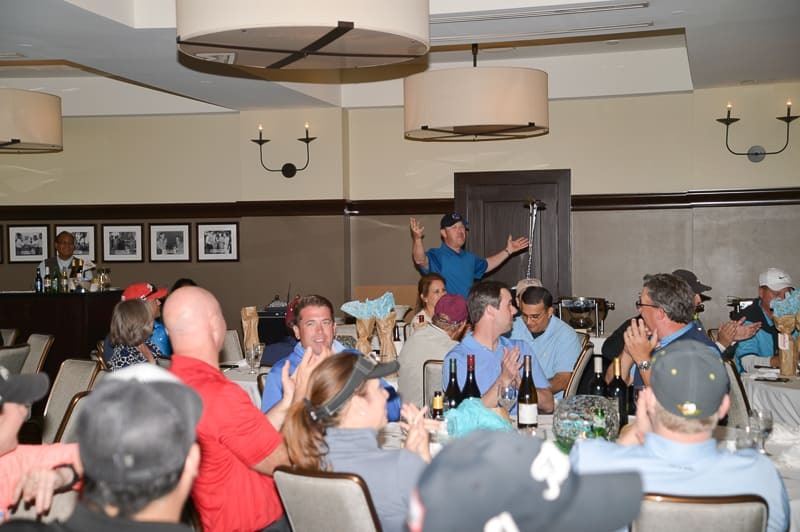 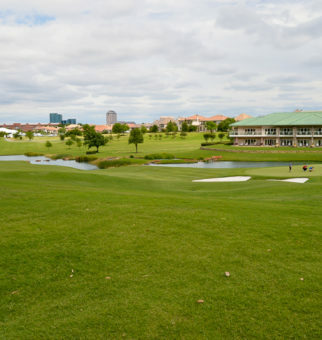 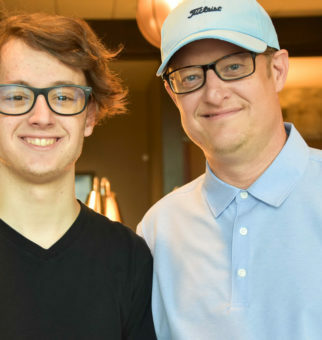 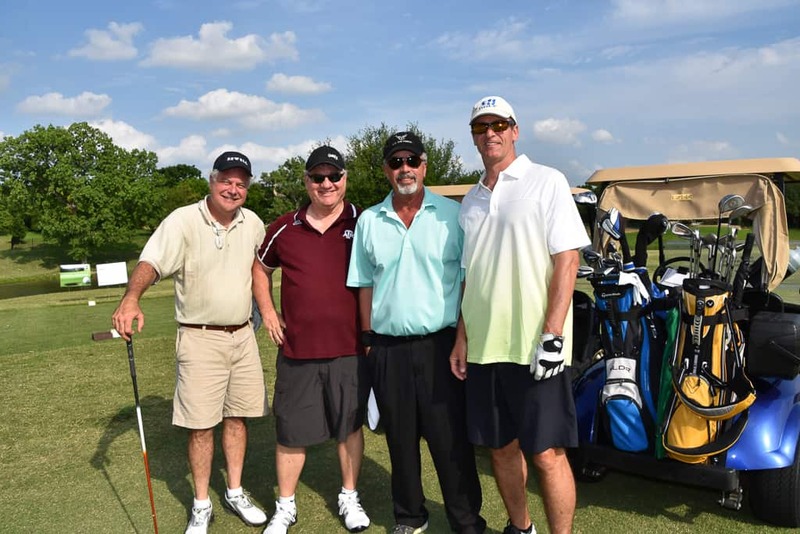 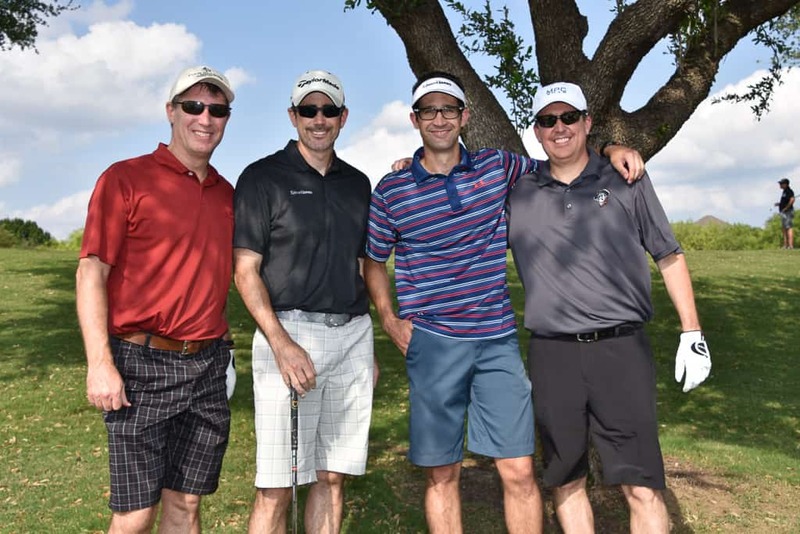 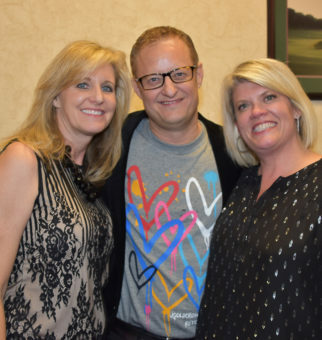 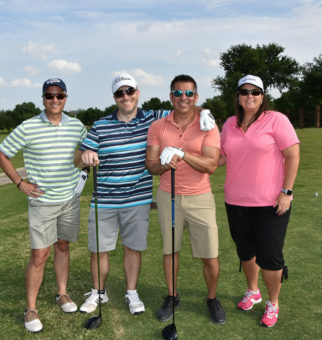 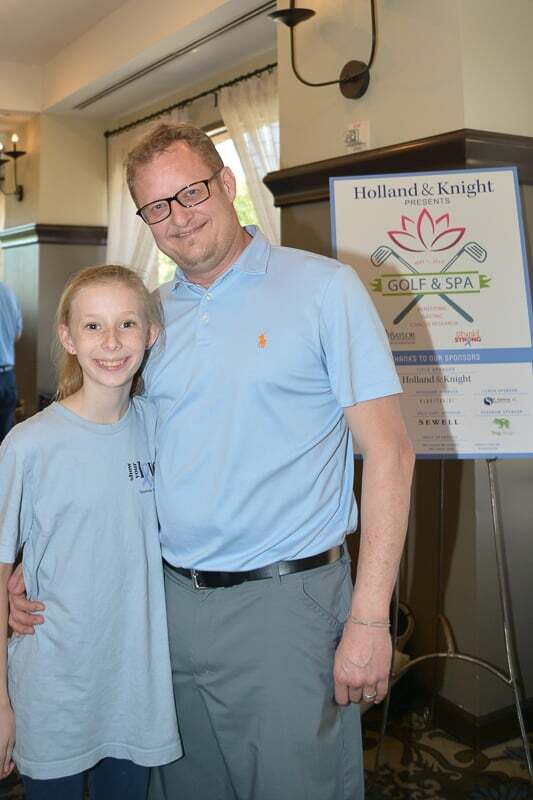 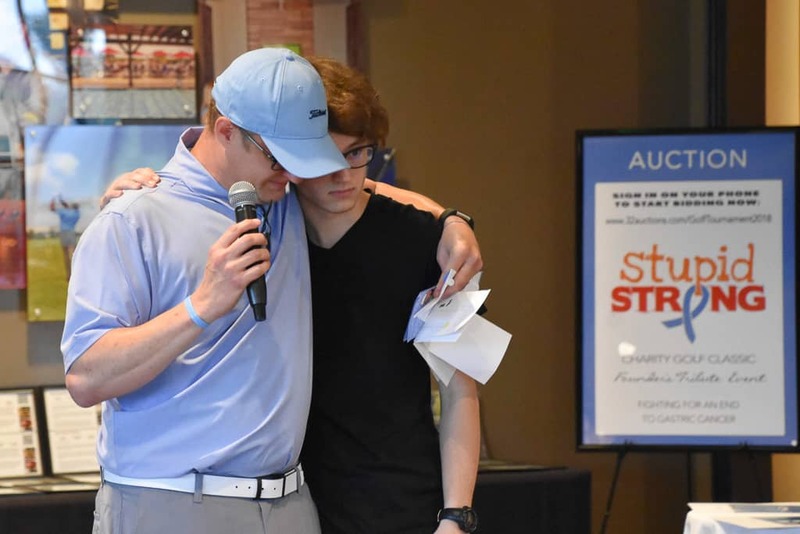 Stupid Strong launches its inaugural Charity Golf & Spa Event at TPC at Four Seasons Resort and Club, Las Colinas to support the fight against gastric cancer. 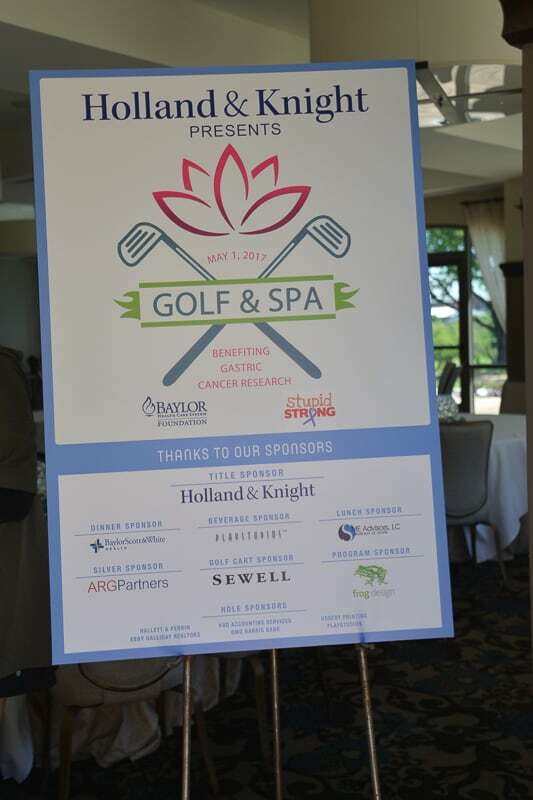 Numerous golfers and corporate sponsors helped us raise awareness about gastric cancer and raise much needed funds to help find a cure. 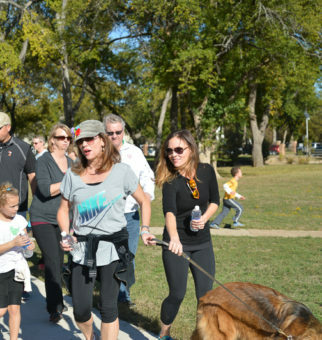 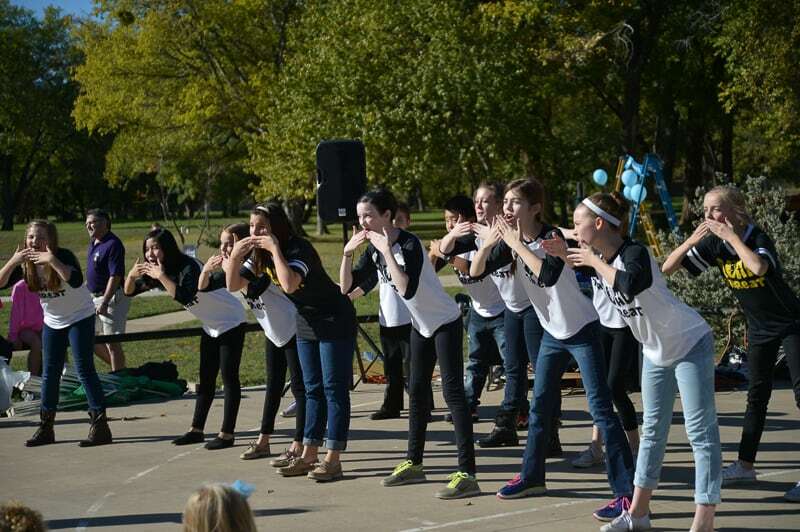 Stupid Strong celebrated the 2nd Annual Show Your Love Fundraising Walk again at Melrose Park. 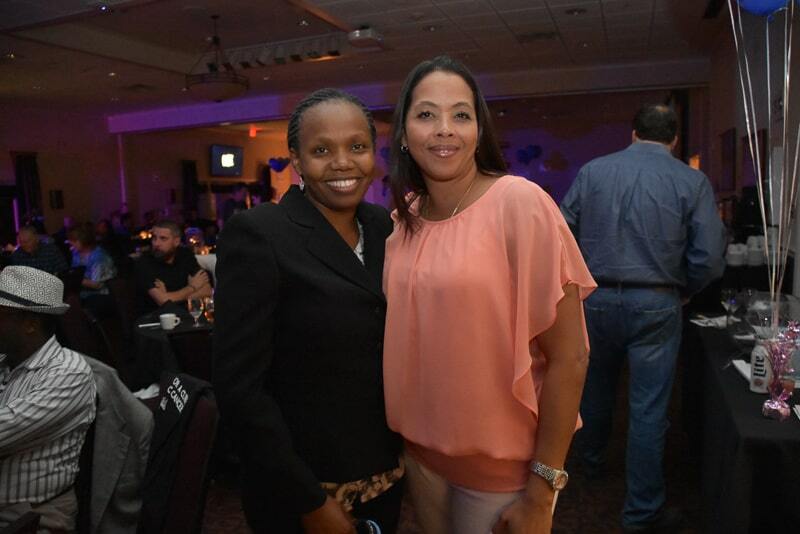 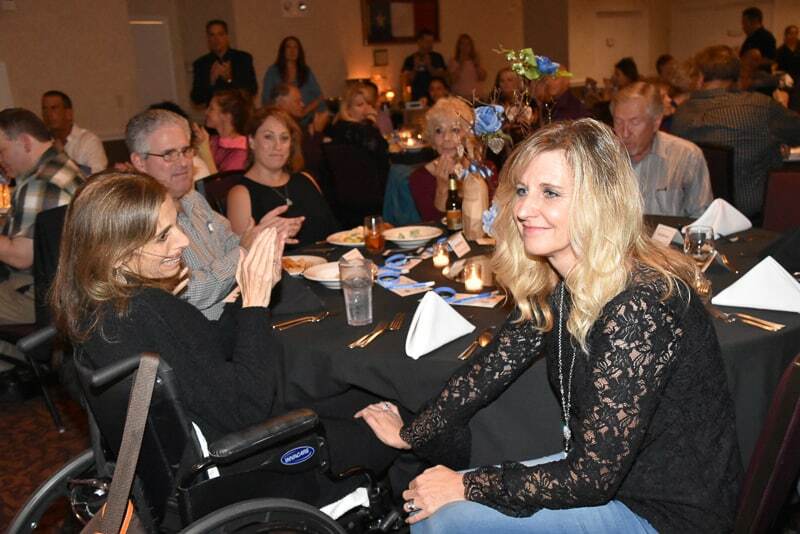 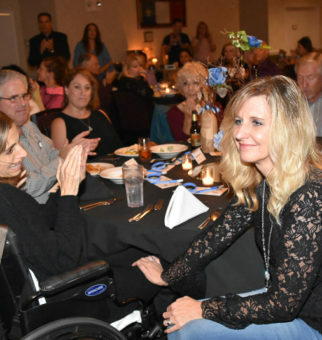 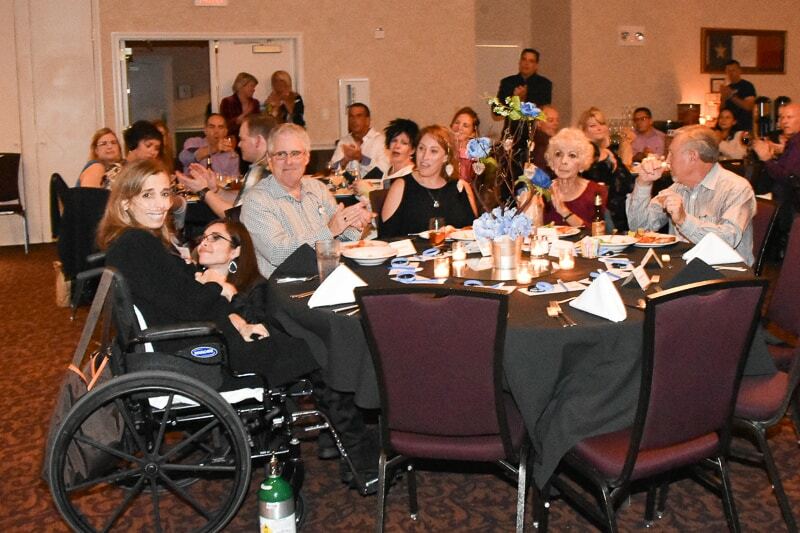 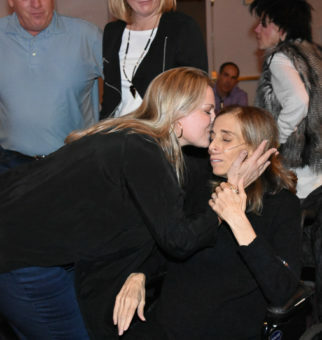 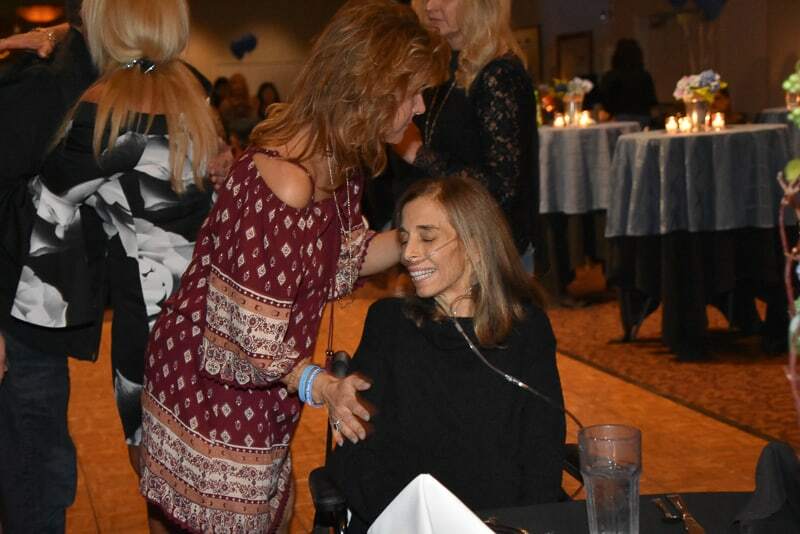 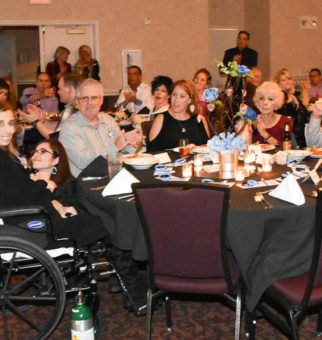 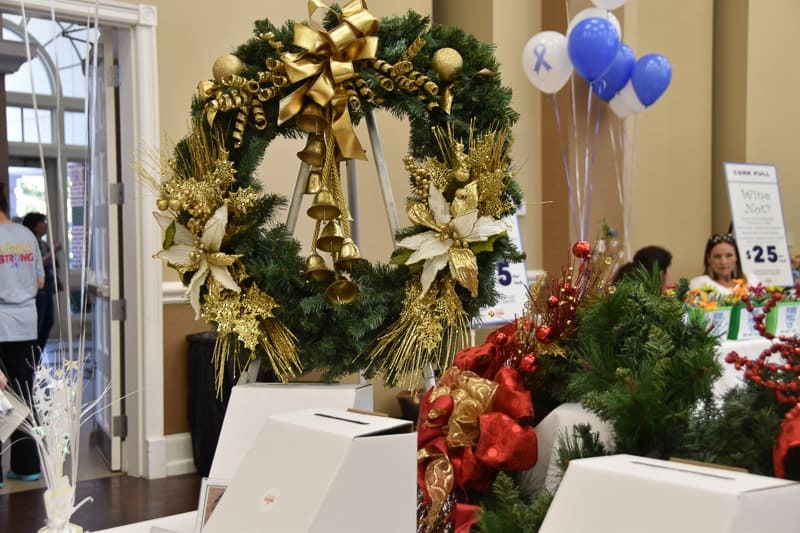 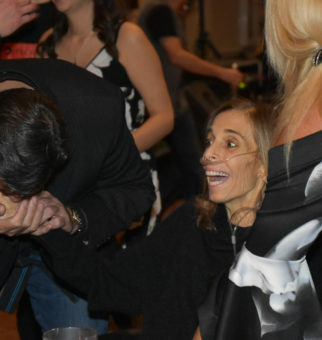 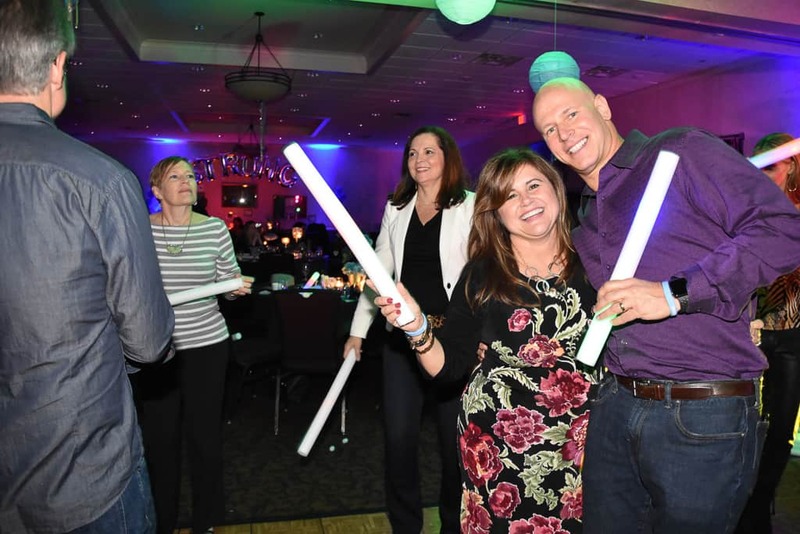 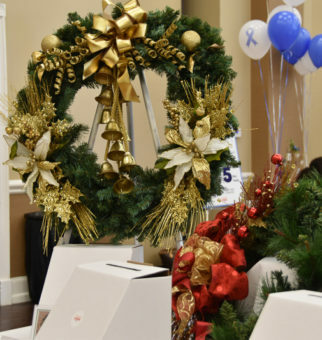 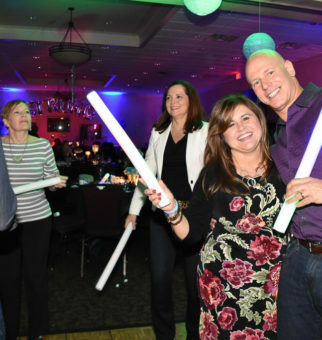 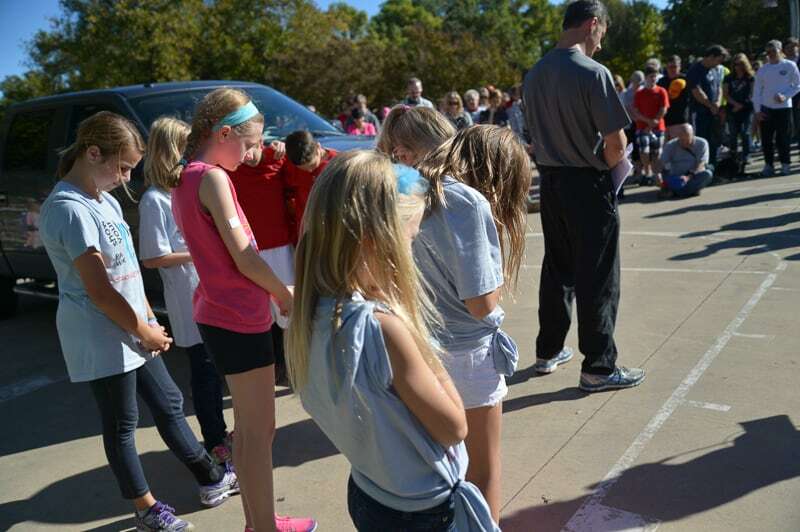 The event honored Roberta Cedillo, an employee at DX Electric Company; a family-owned business located in Irving, Texas who passed away after her battle with stomach cancer. 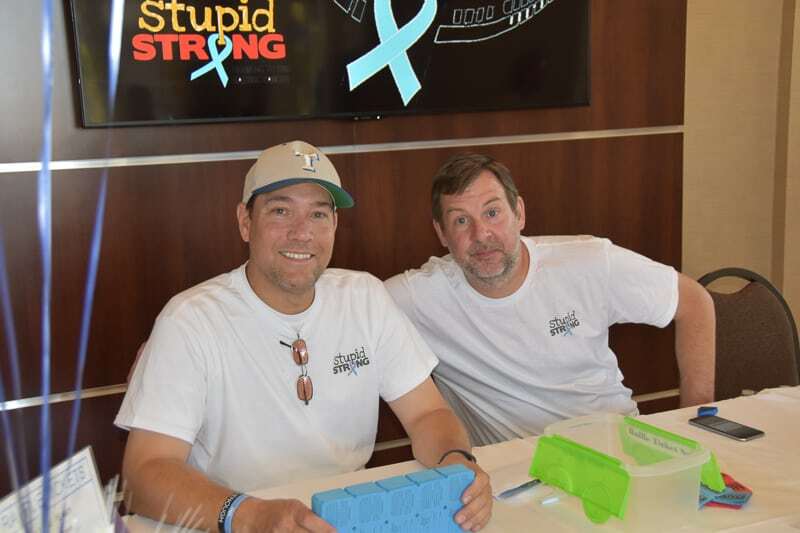 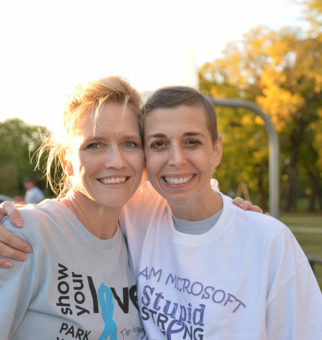 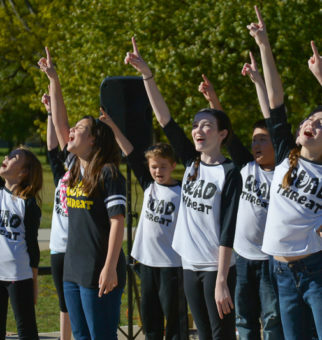 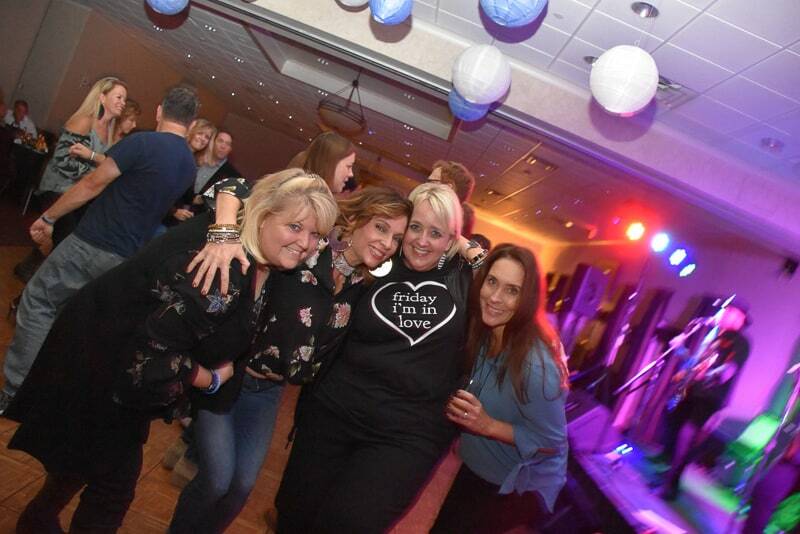 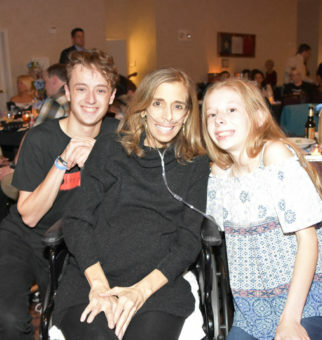 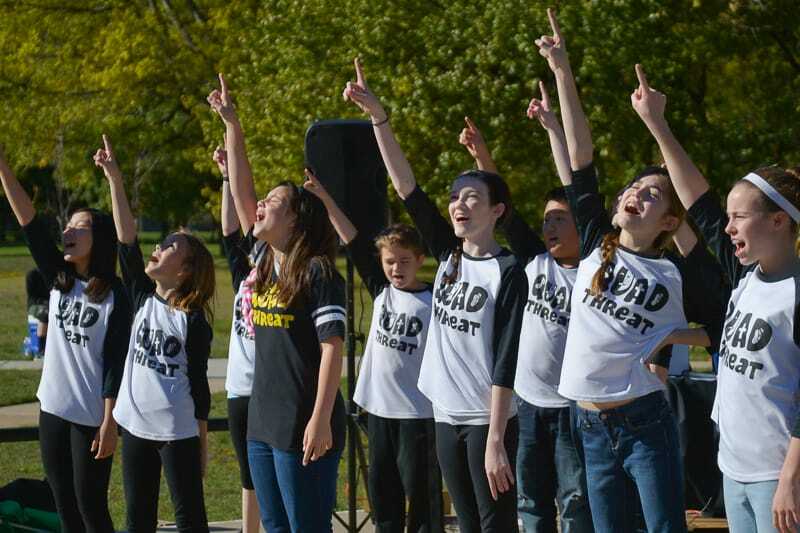 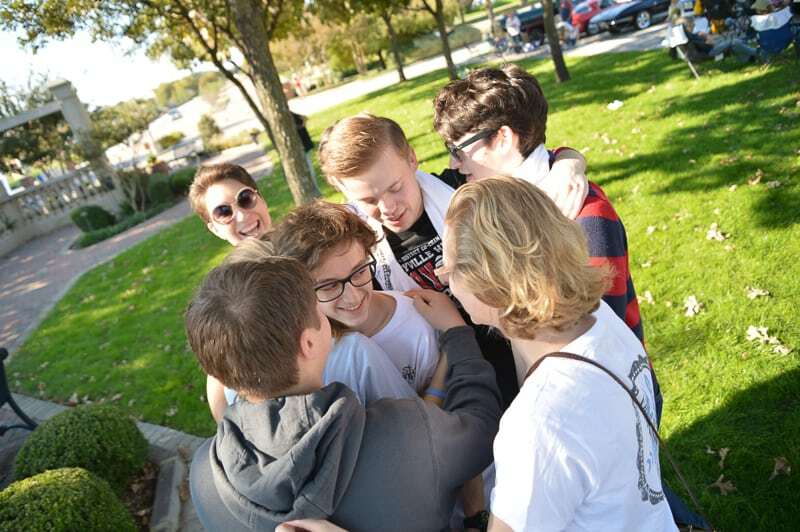 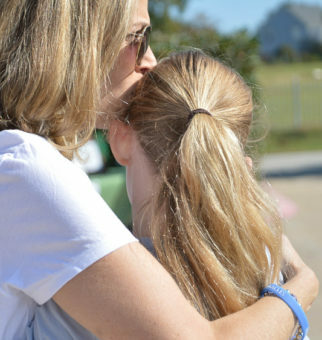 With its first official event, Stupid Strong celebrated its inaugural Show Your Love fundraising Walk to show support of our Founder after her recent diagnosis. 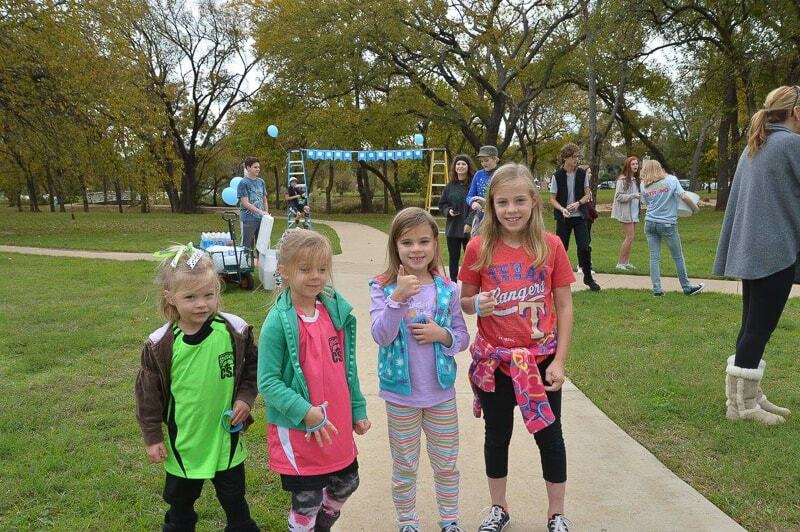 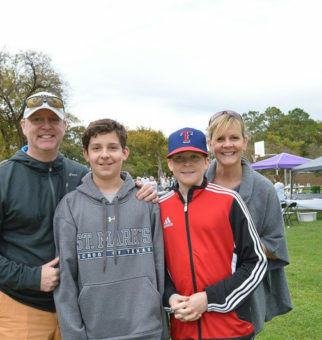 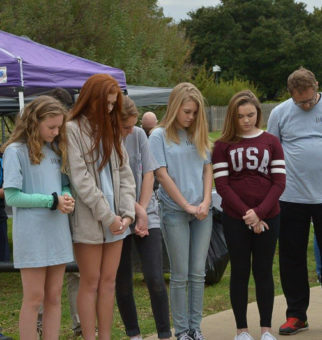 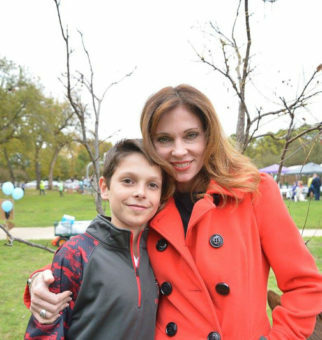 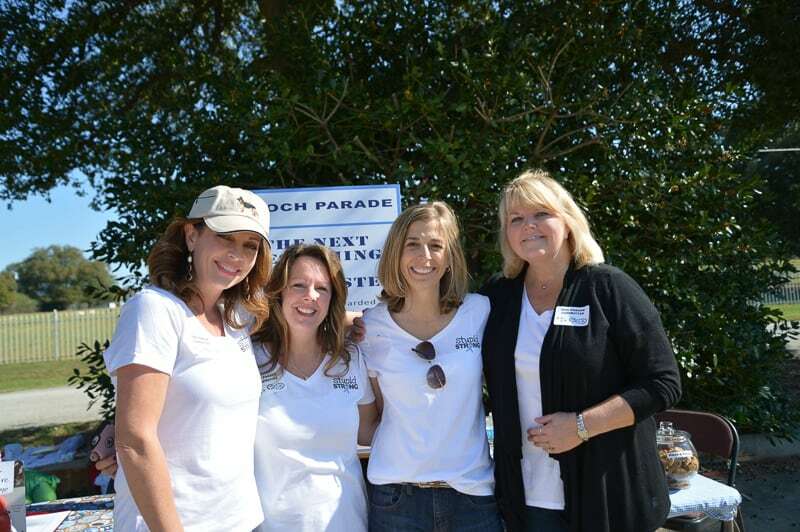 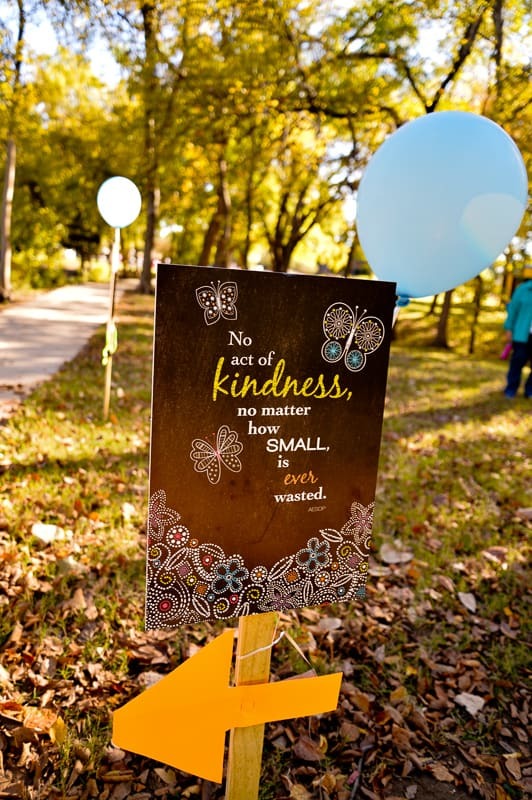 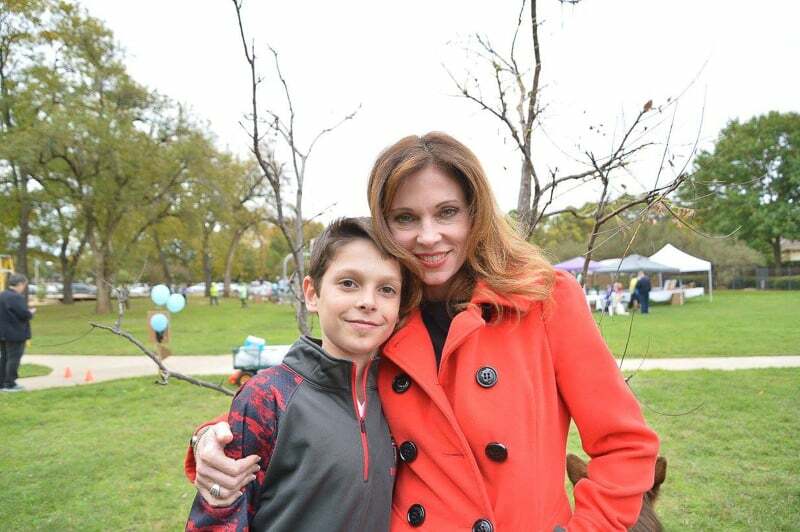 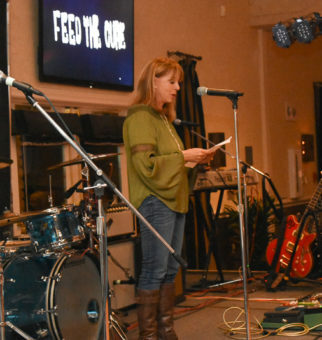 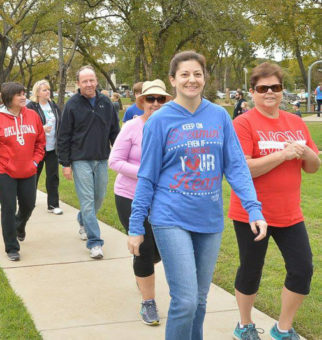 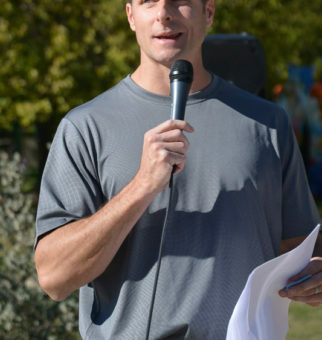 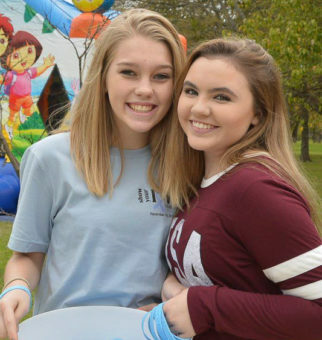 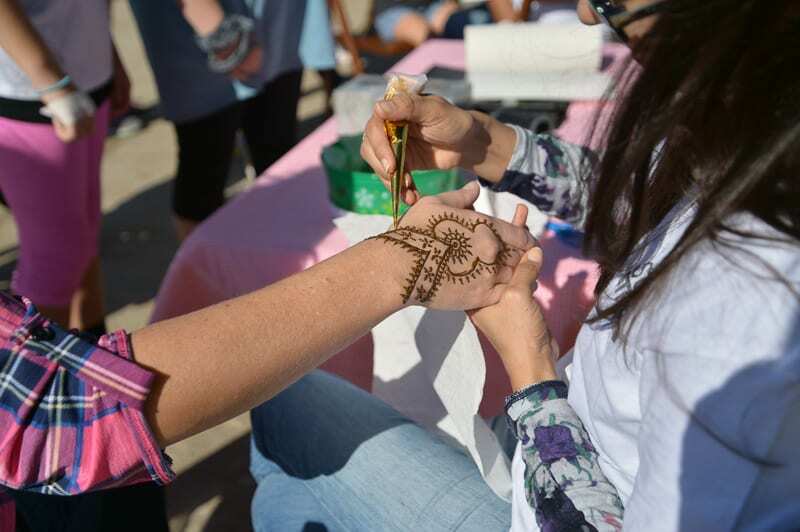 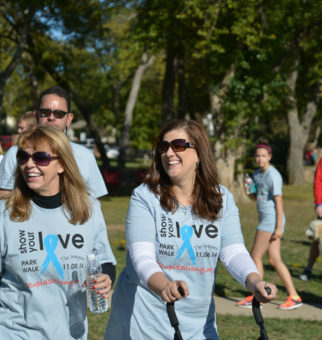 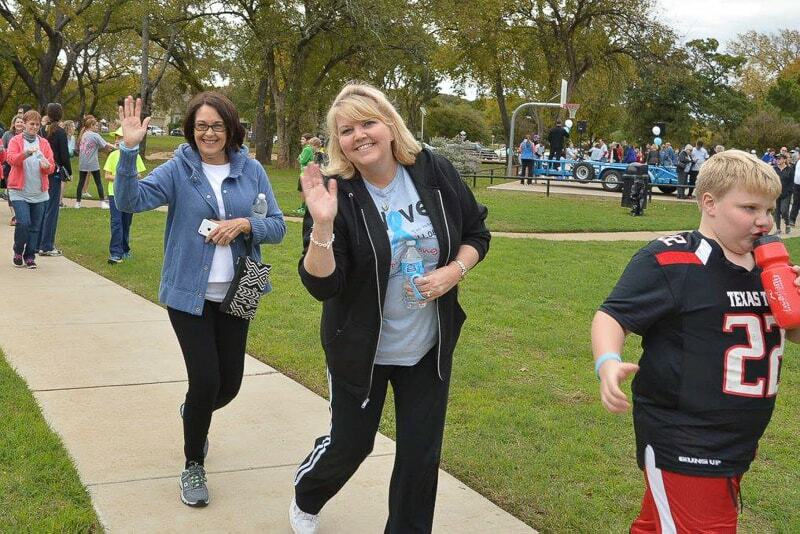 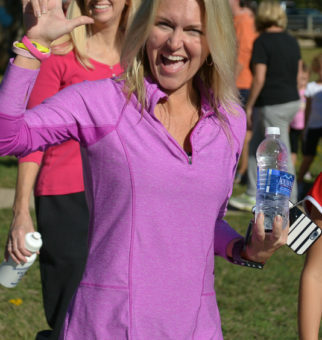 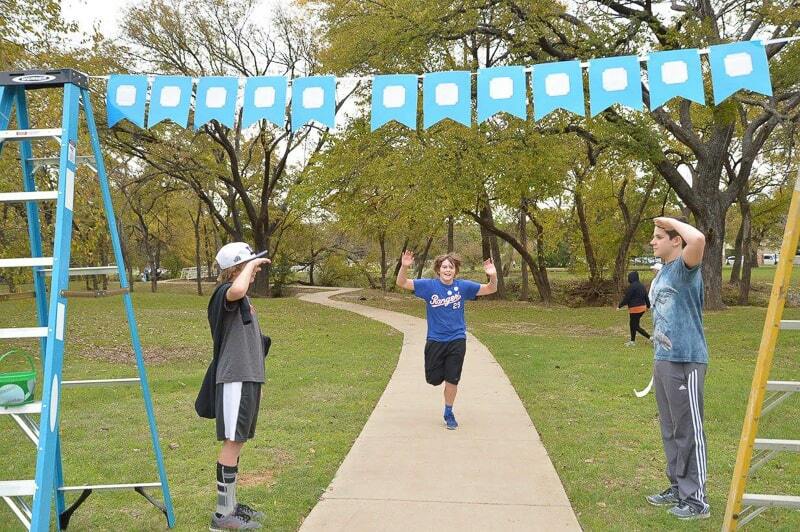 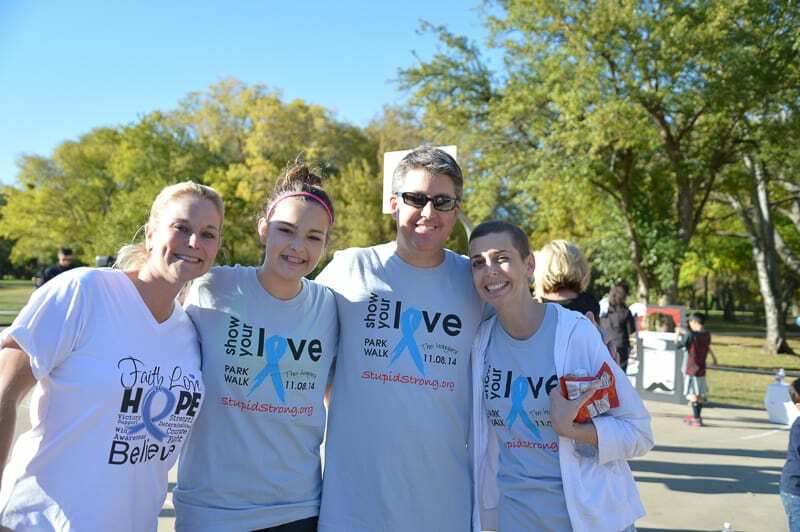 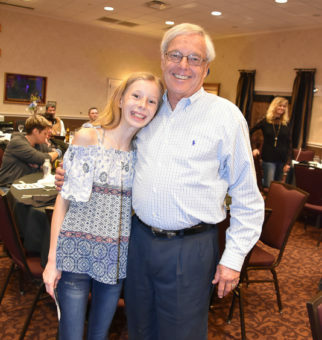 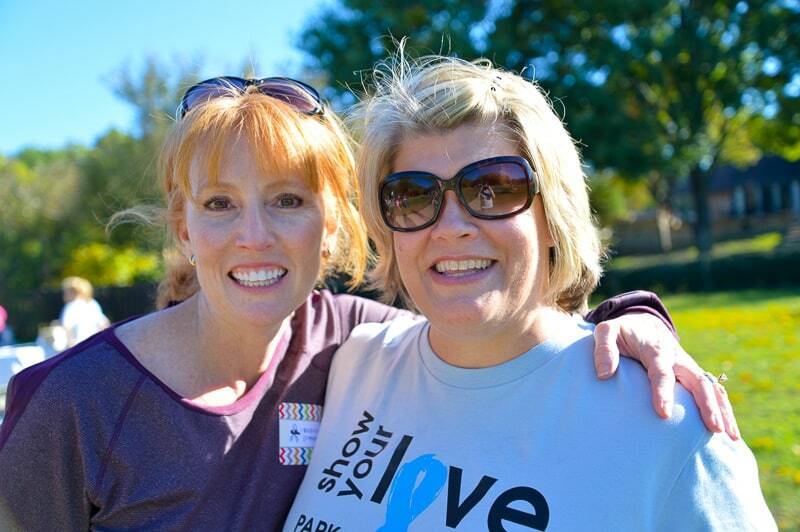 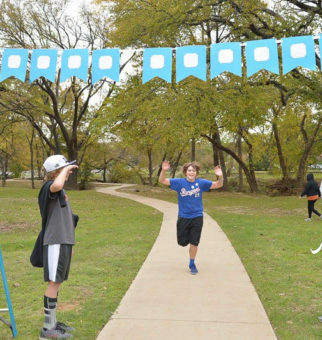 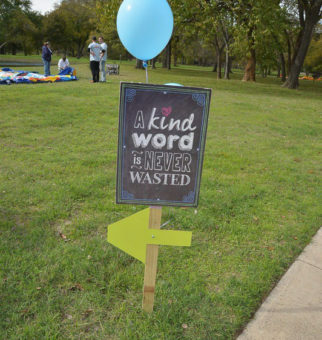 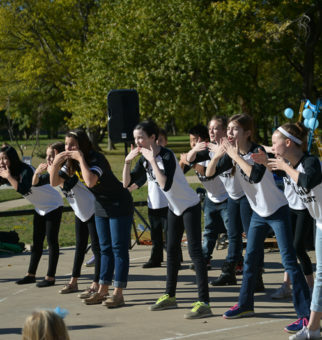 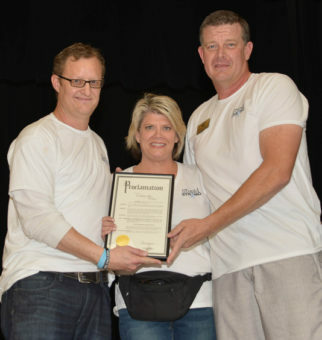 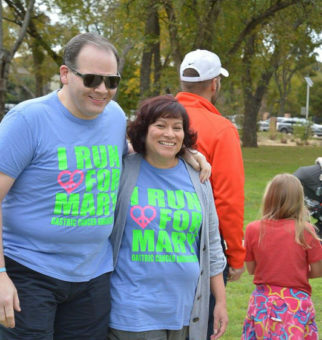 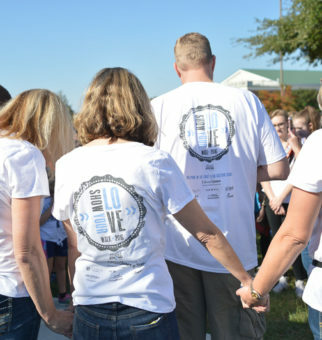 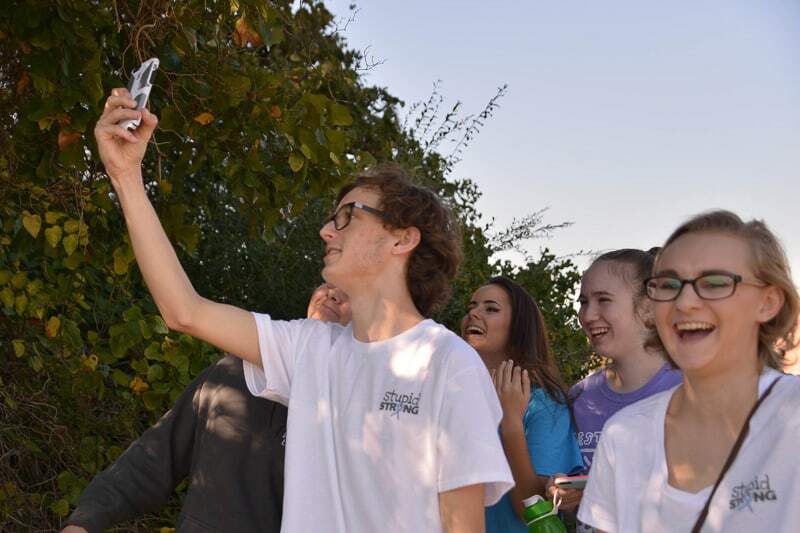 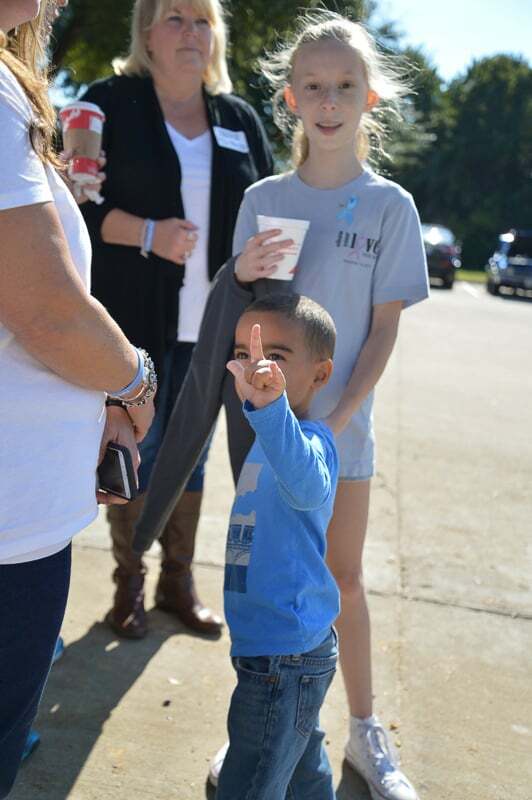 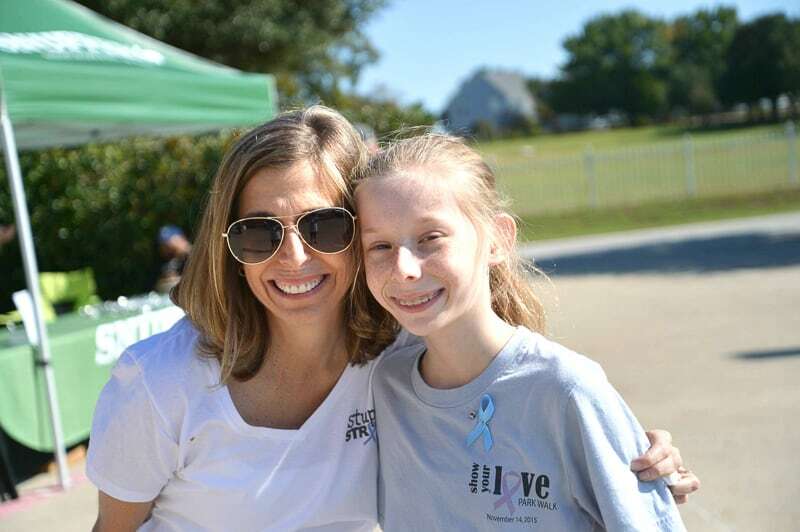 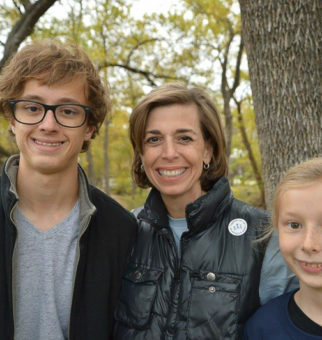 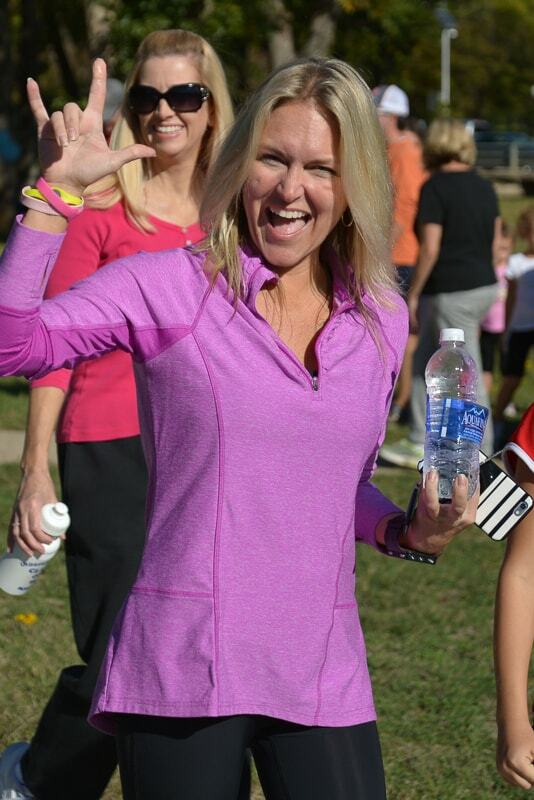 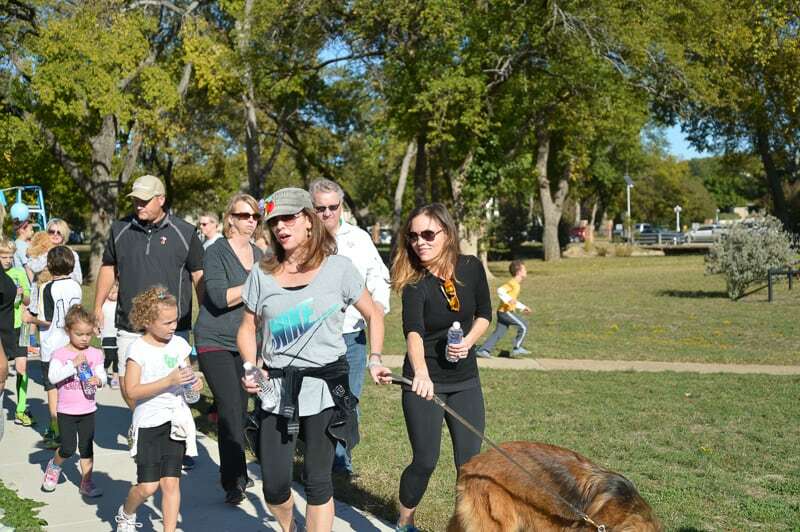 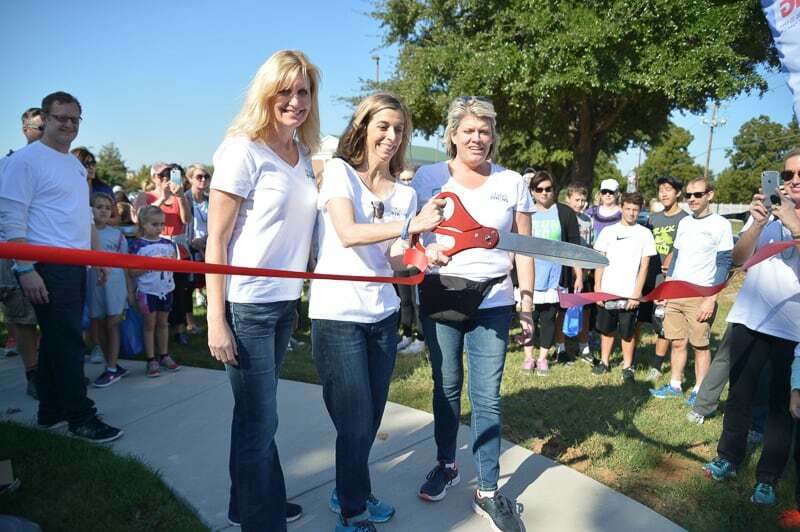 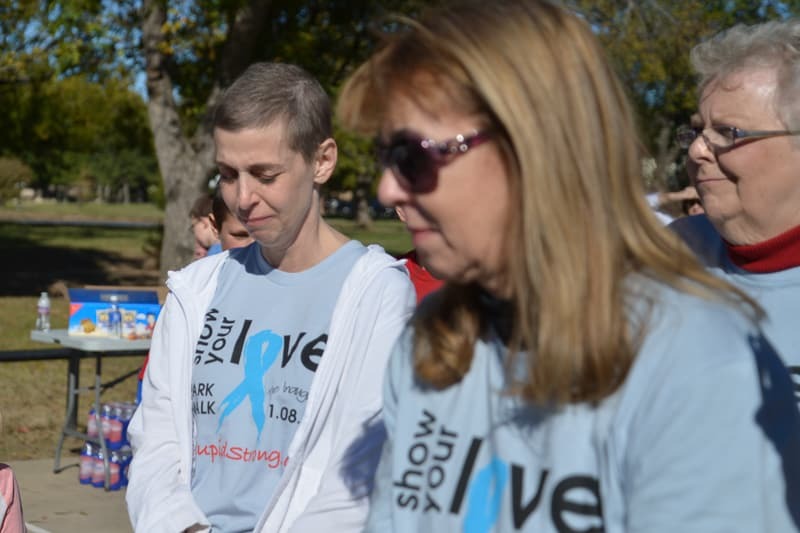 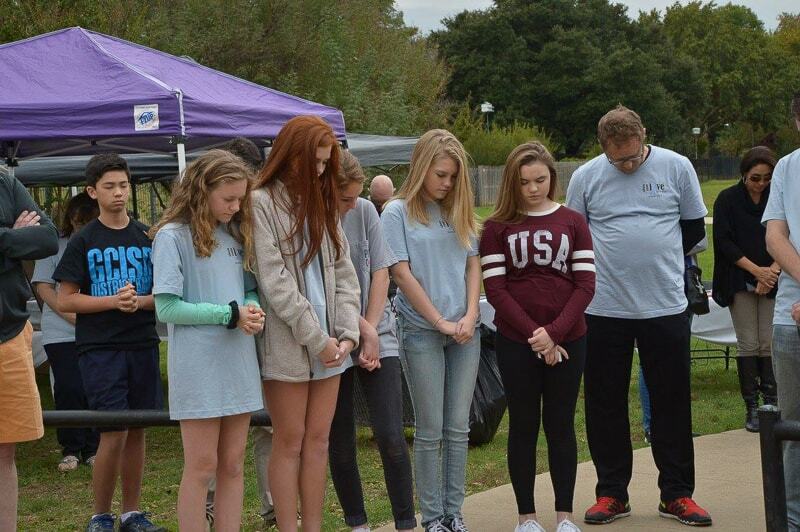 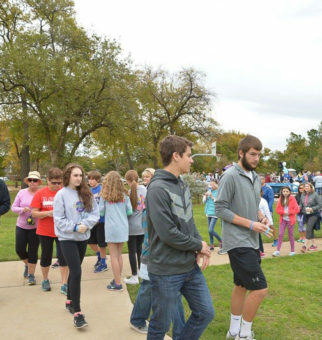 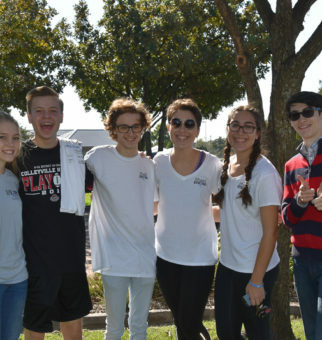 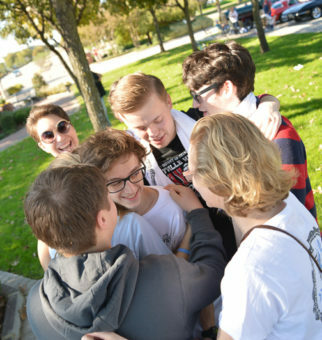 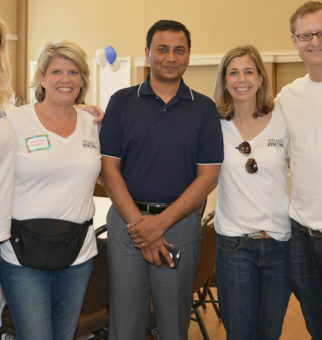 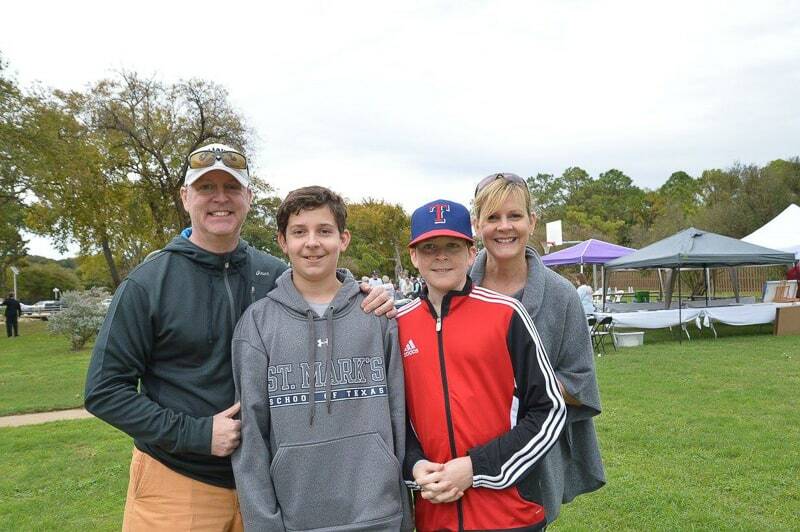 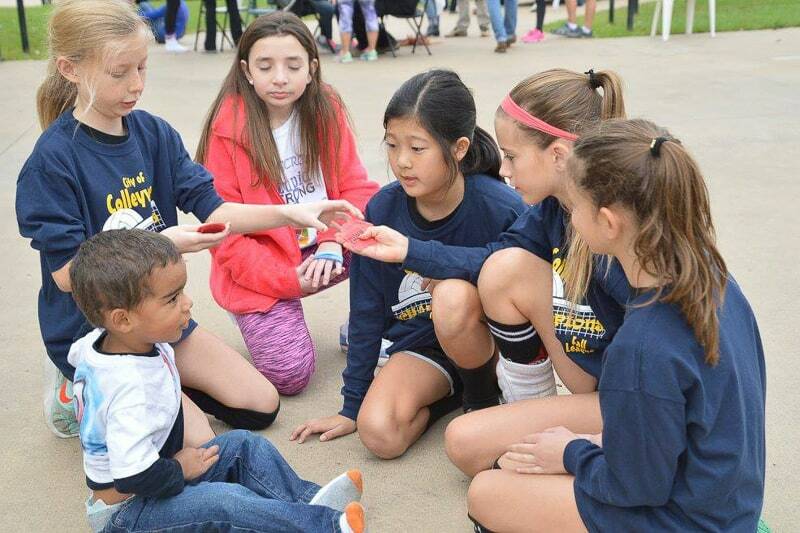 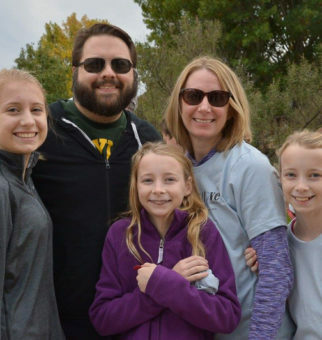 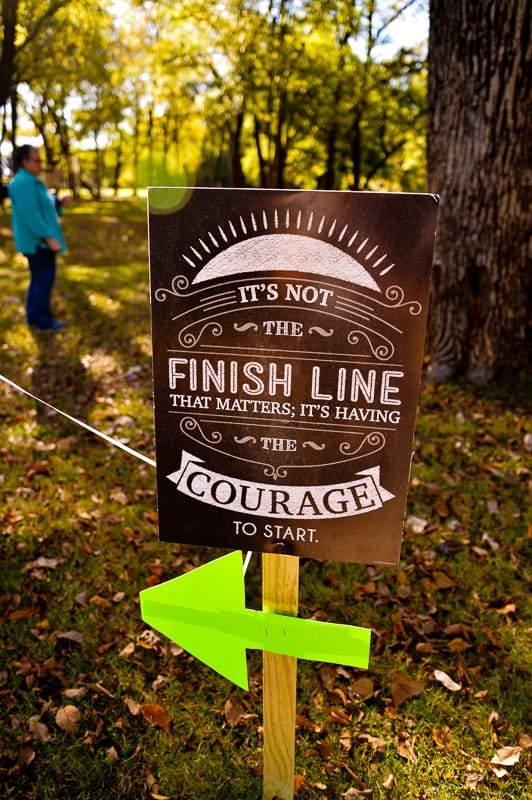 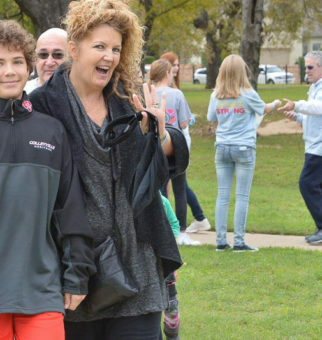 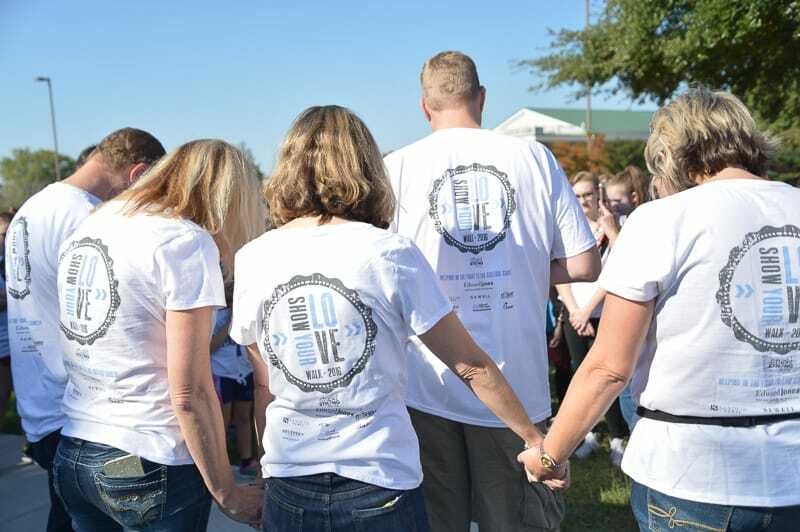 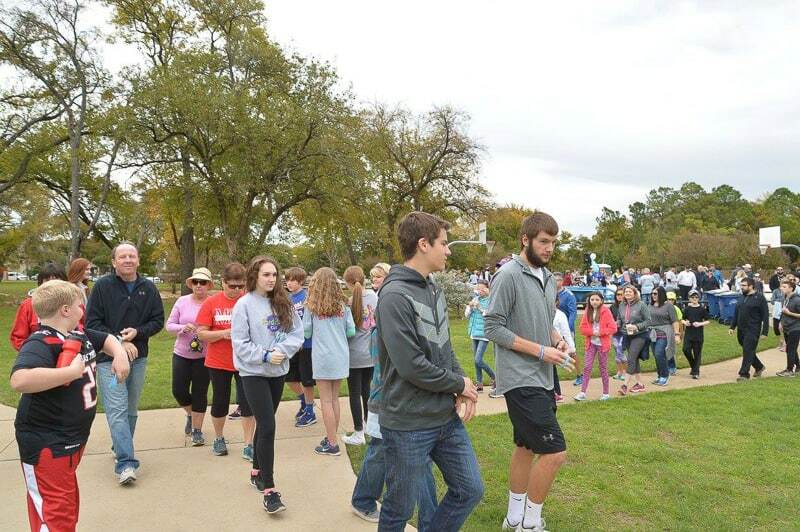 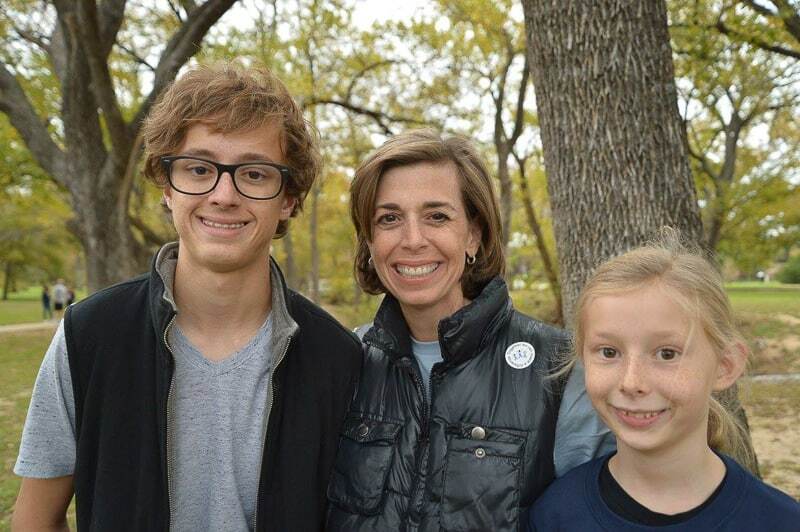 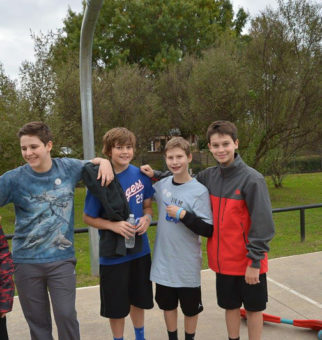 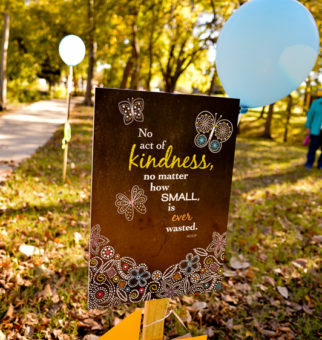 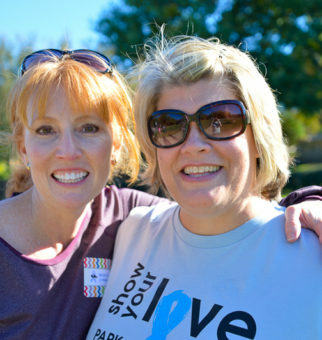 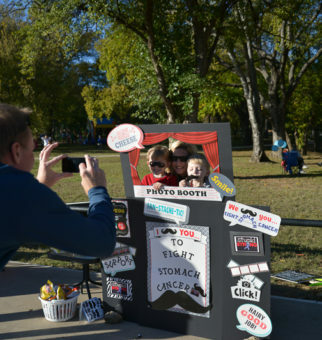 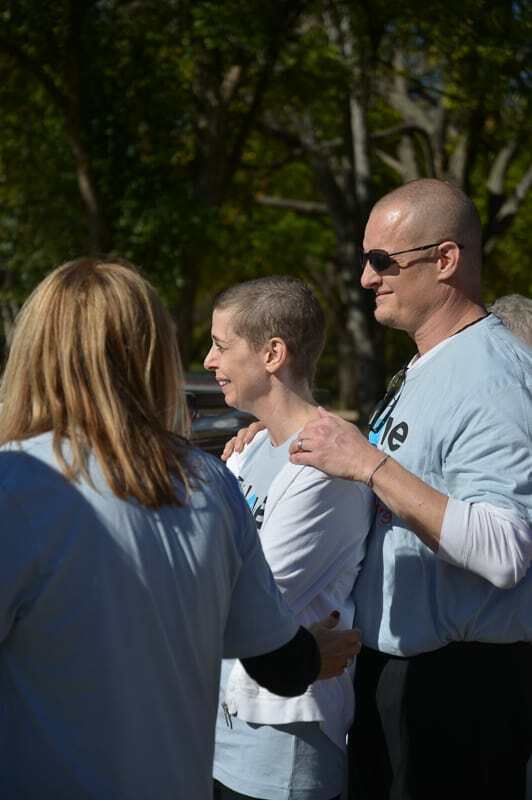 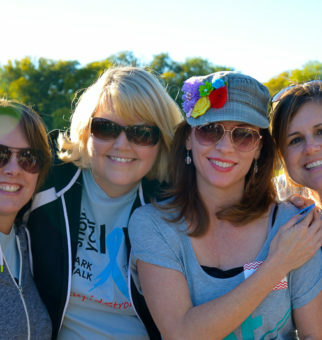 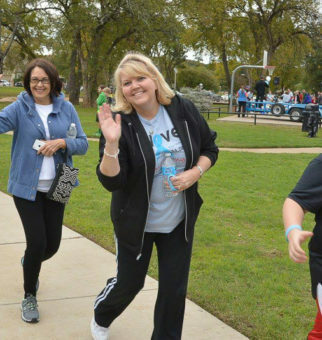 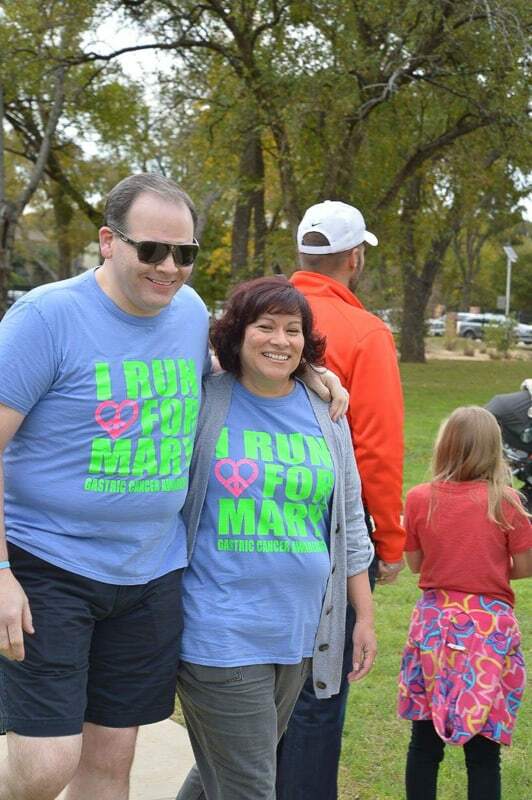 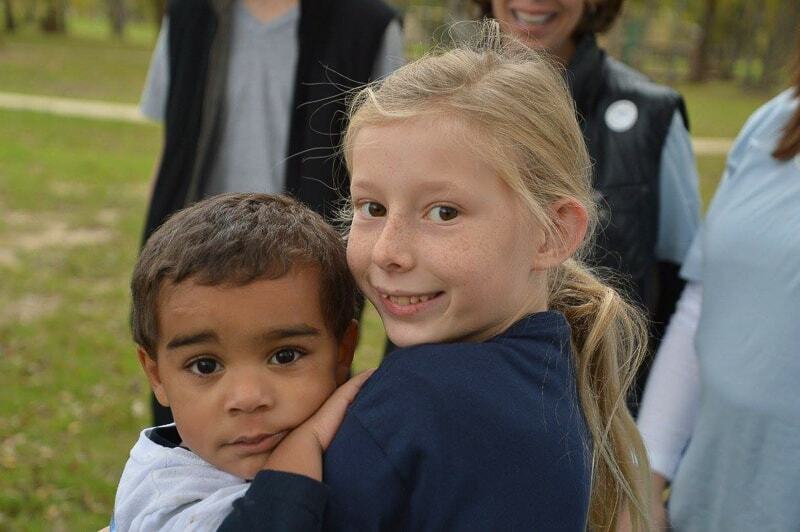 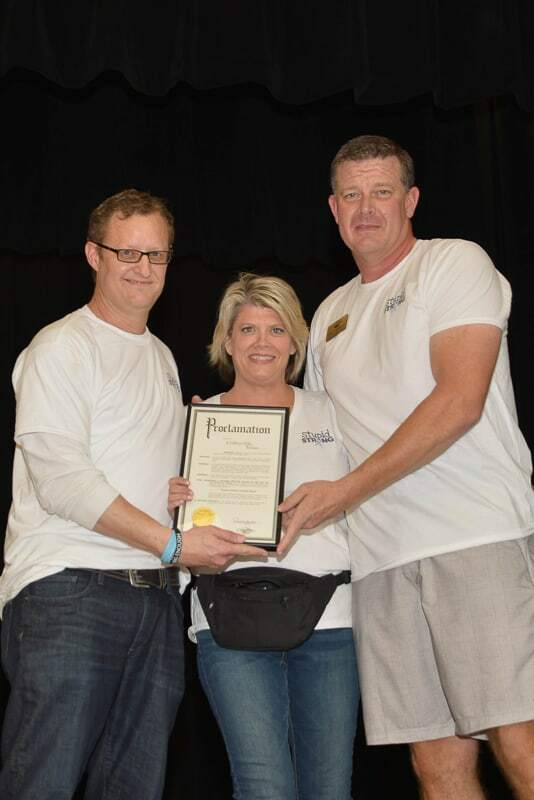 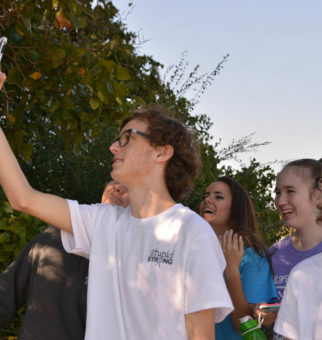 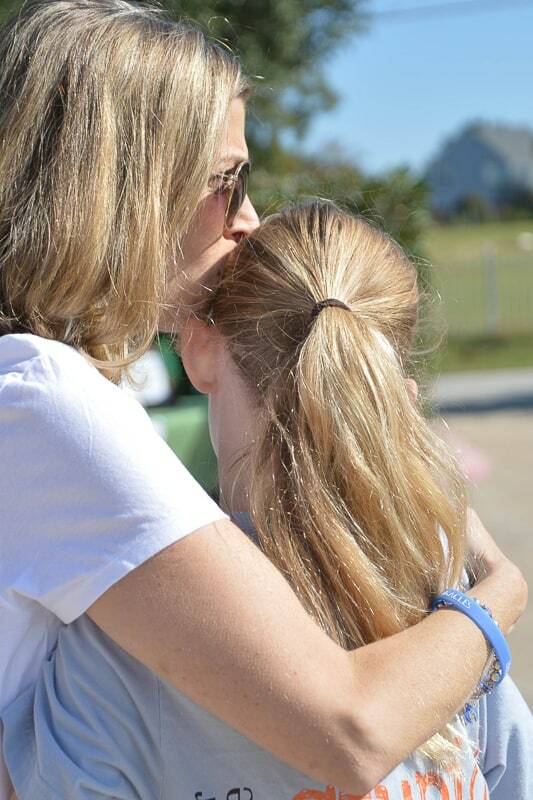 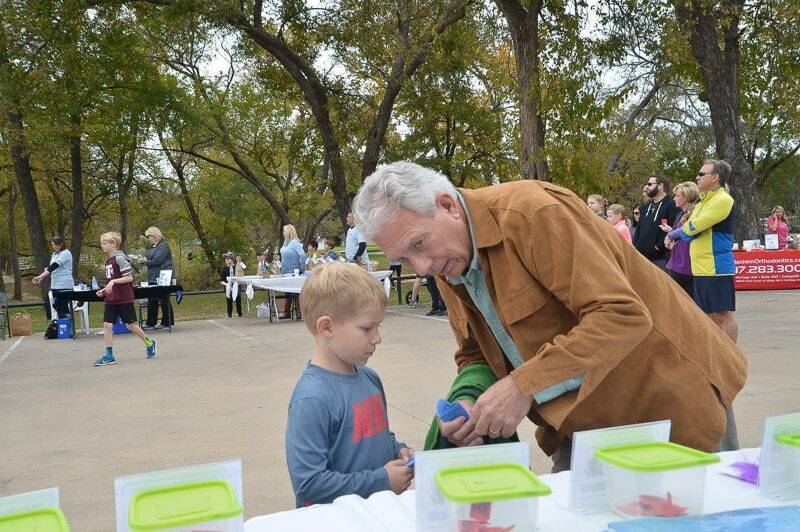 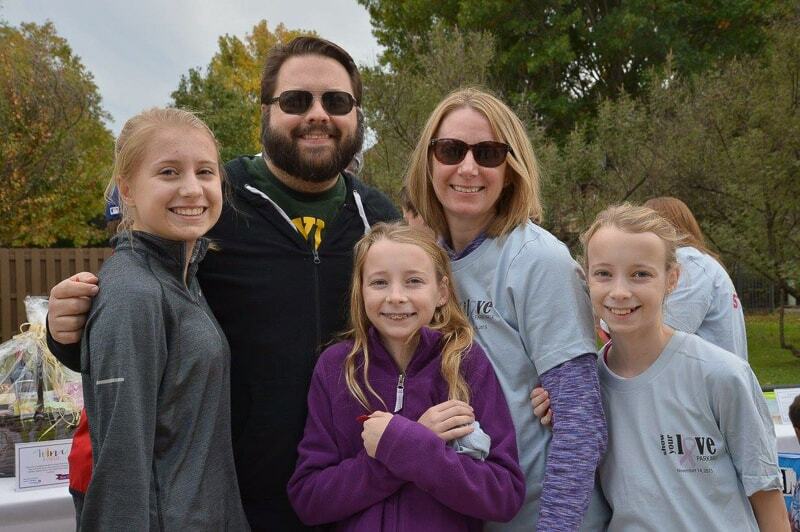 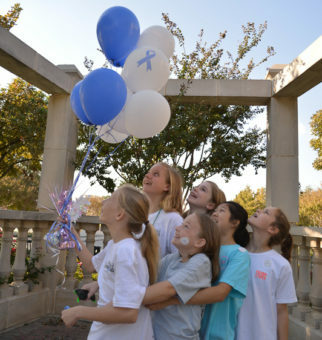 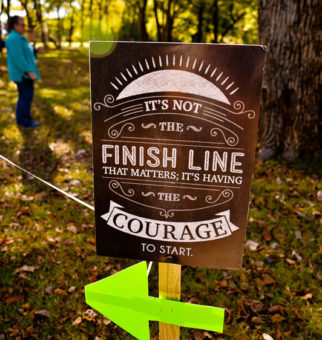 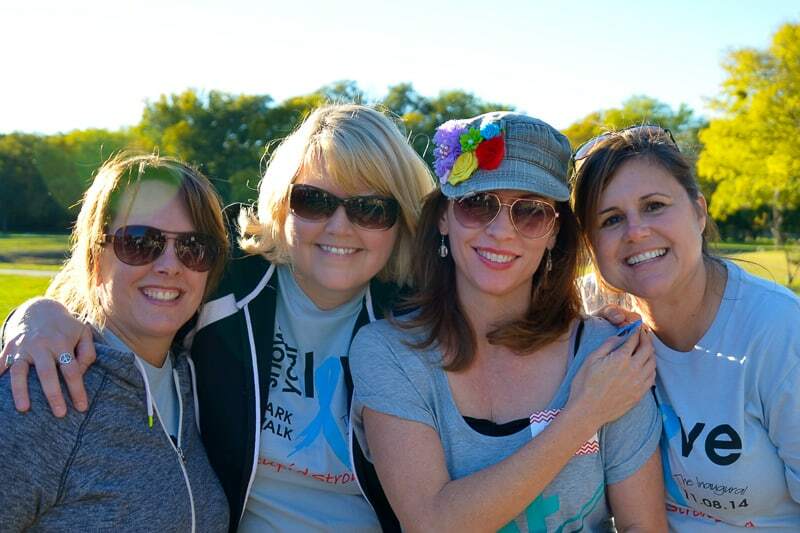 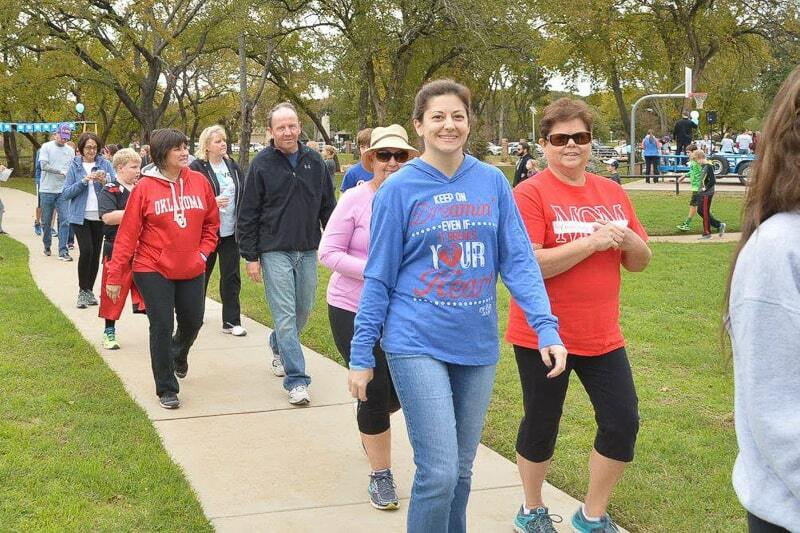 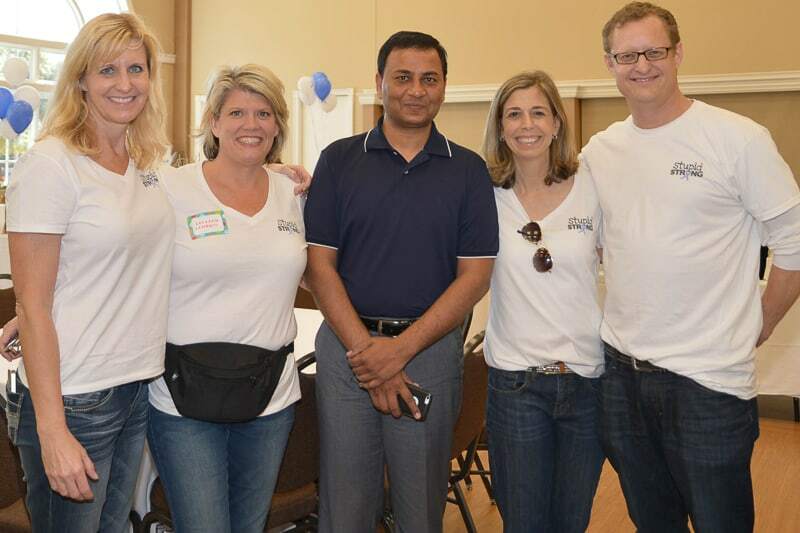 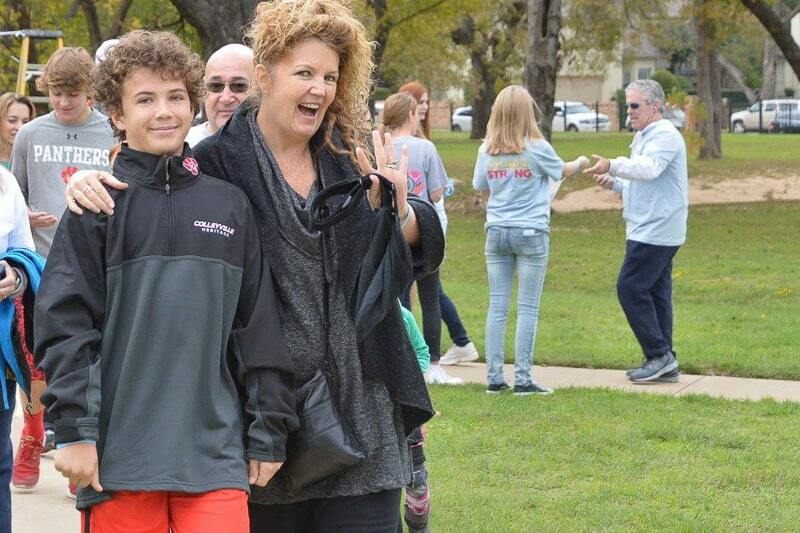 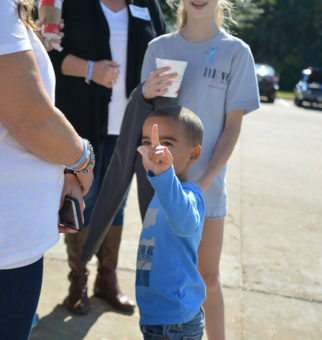 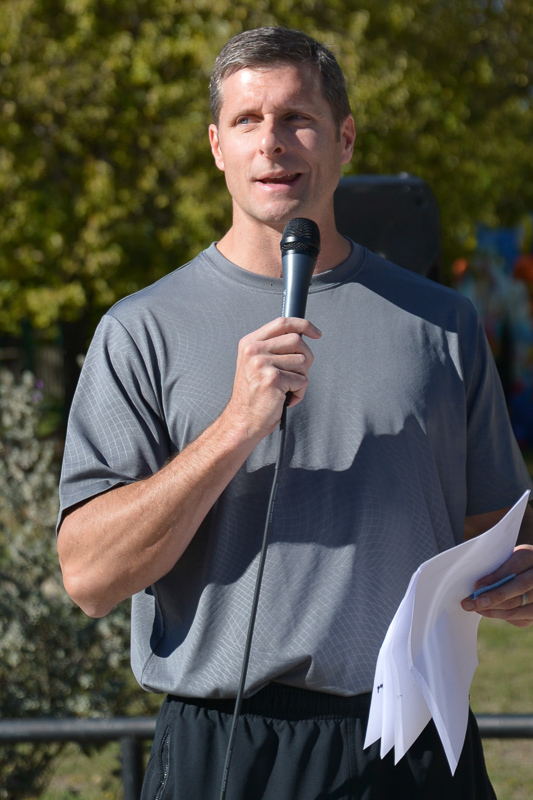 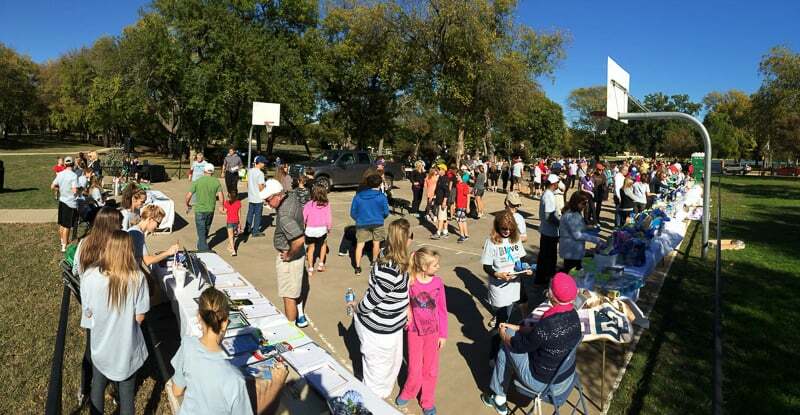 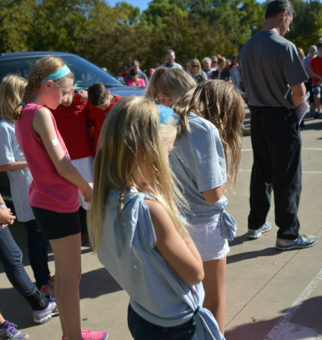 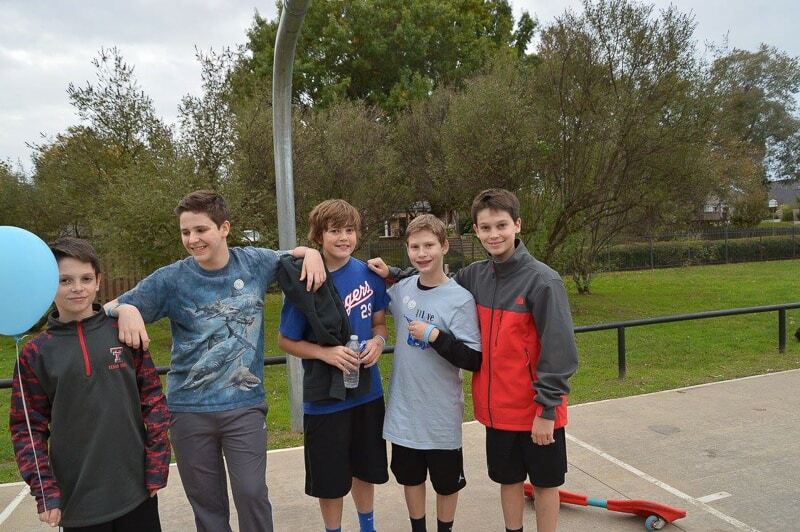 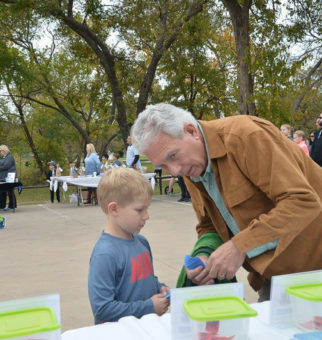 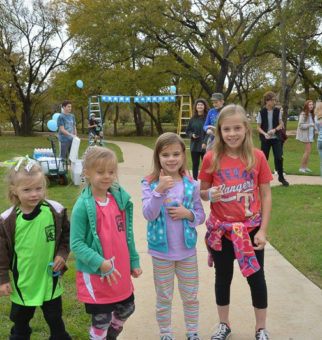 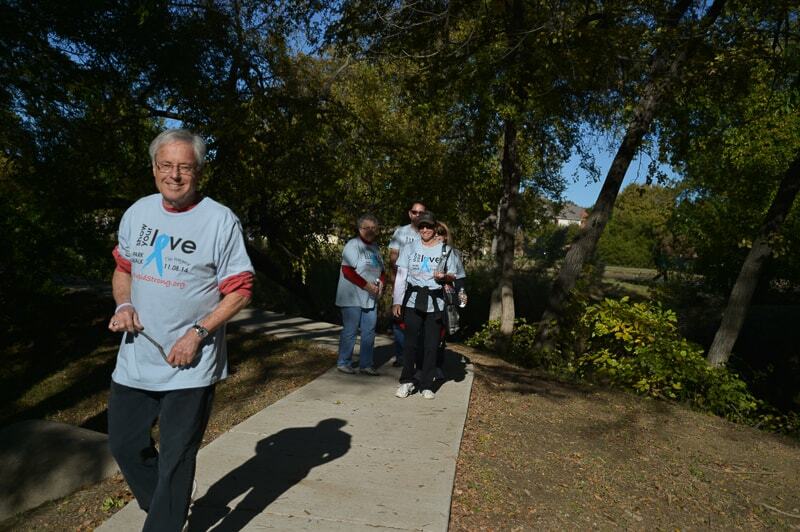 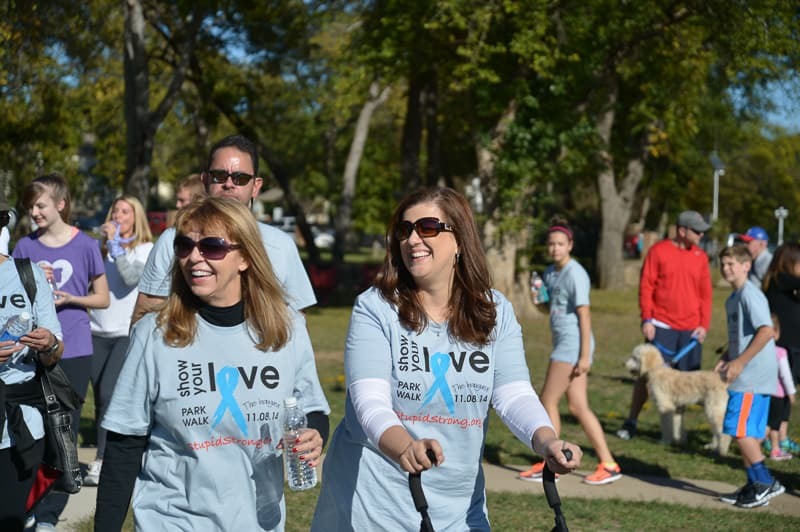 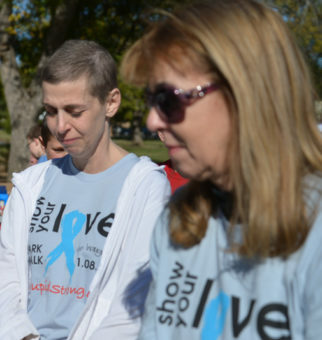 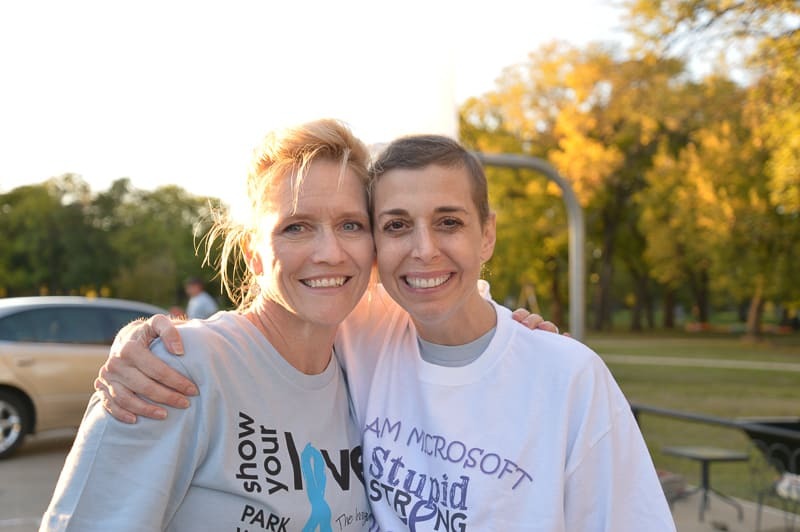 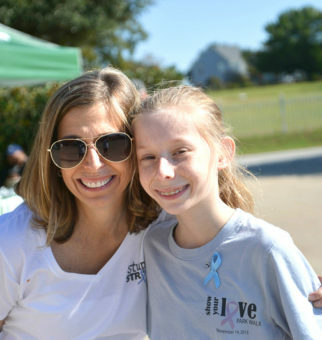 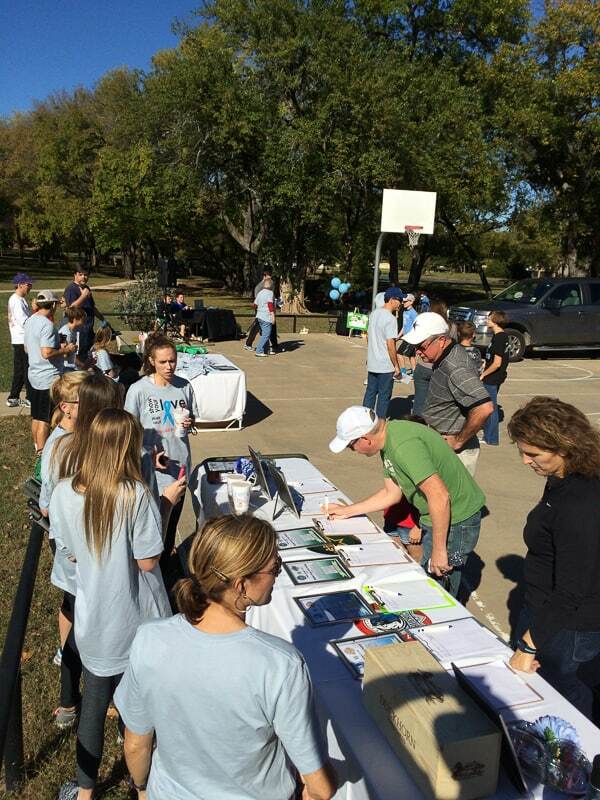 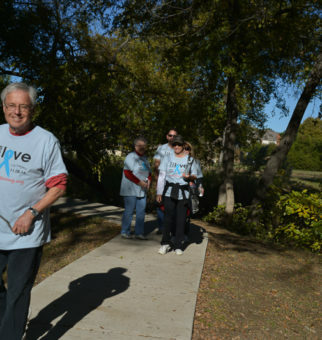 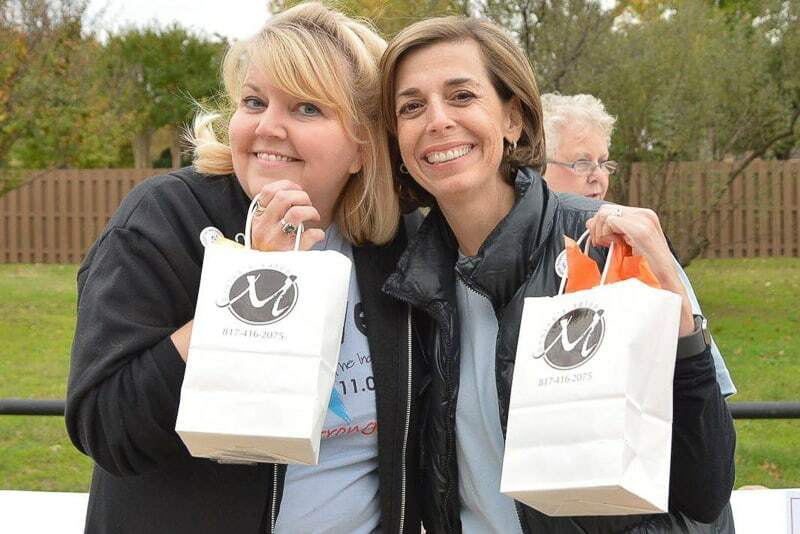 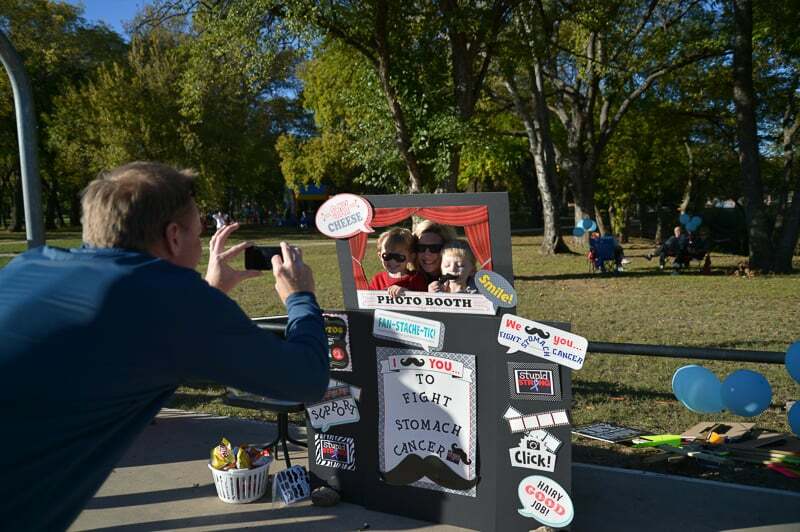 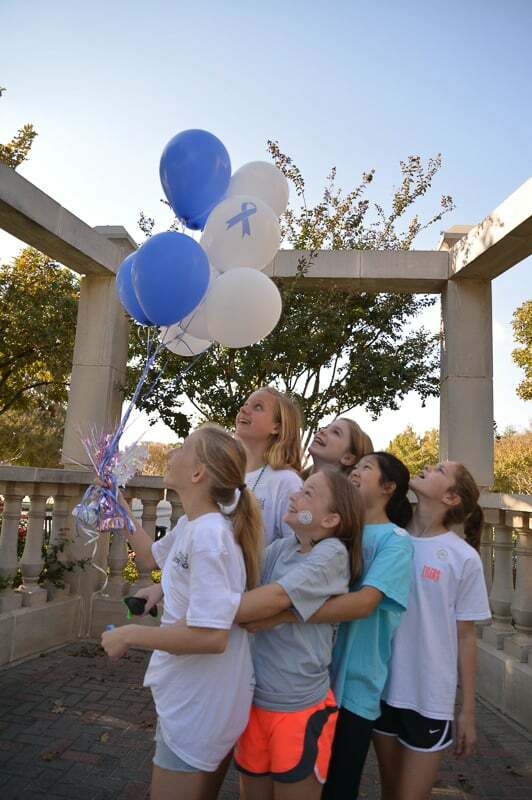 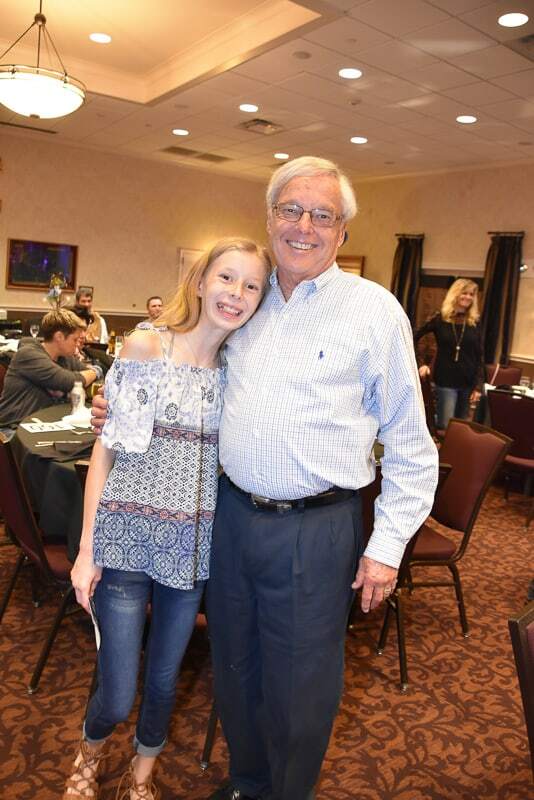 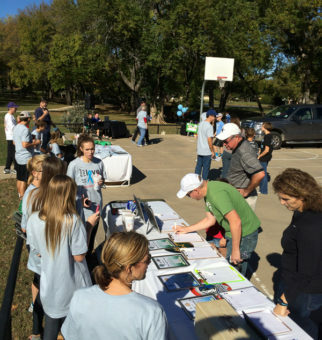 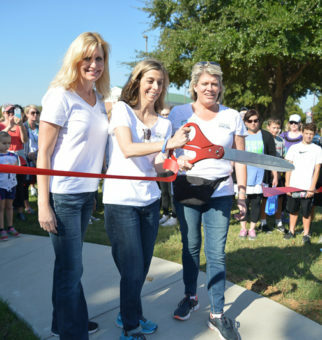 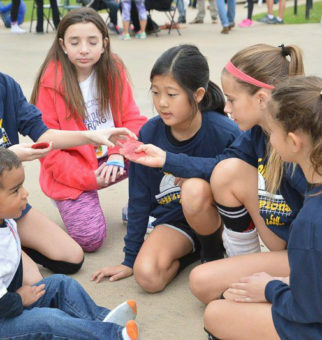 The event inspired a community to become involved and has grown multiple times over since we gathered at our local city park during Stomach Cancer Awareness month. 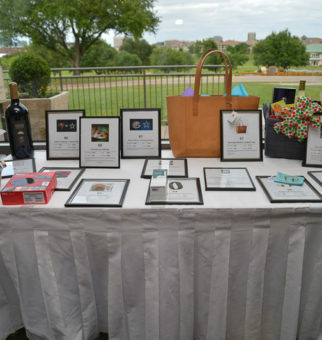 We are thankful to so many local businesses who contributed to our raffle and auction. 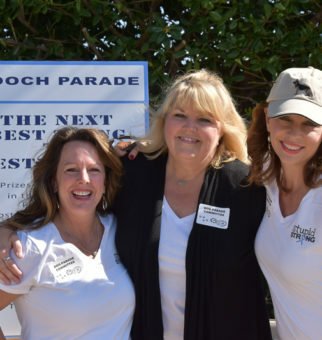 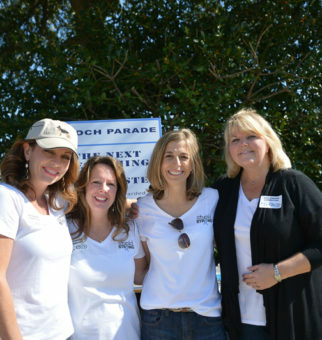  Stay in the loop and be the first to hear about our events. 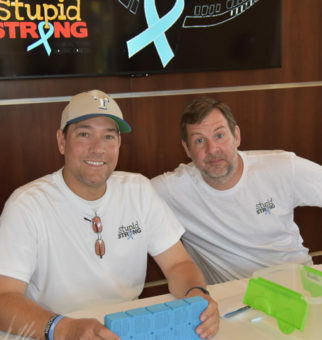 Join our mailing list for all of the exciting announcements from Stupid Strong!